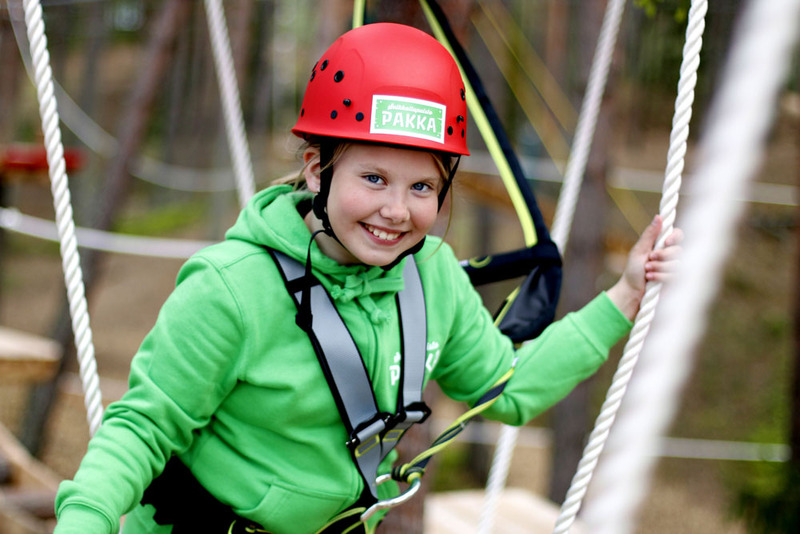 The pictures below offer a sample platter of all the fun things you can do at the Pakka Adventure Park! 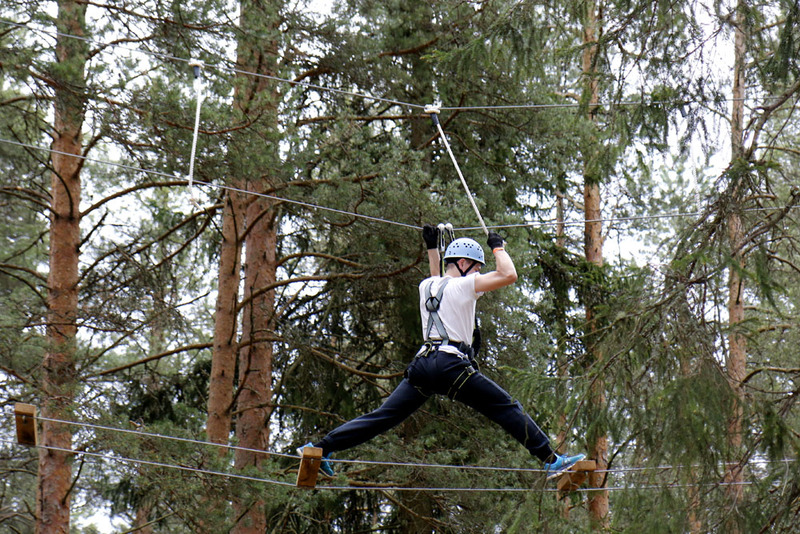 Get on our Facebook, Instagram and Twitter to see more pictures and exciting videos from the park. 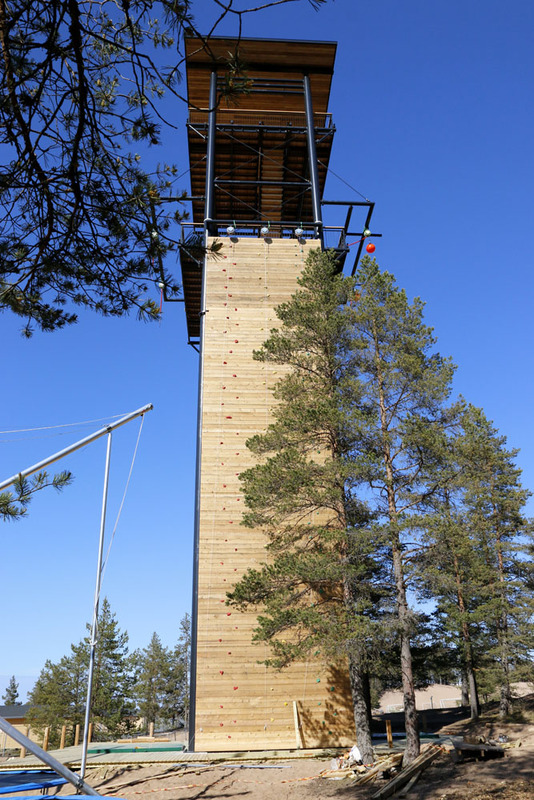 The X-Tower is now open! 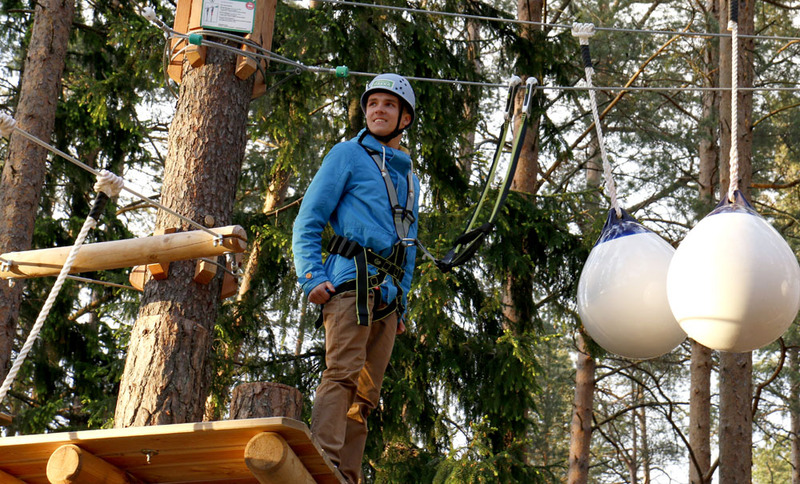 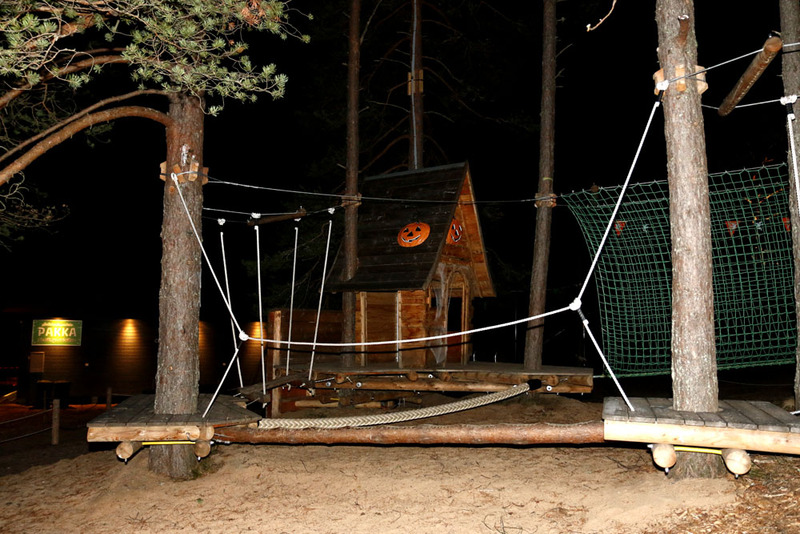 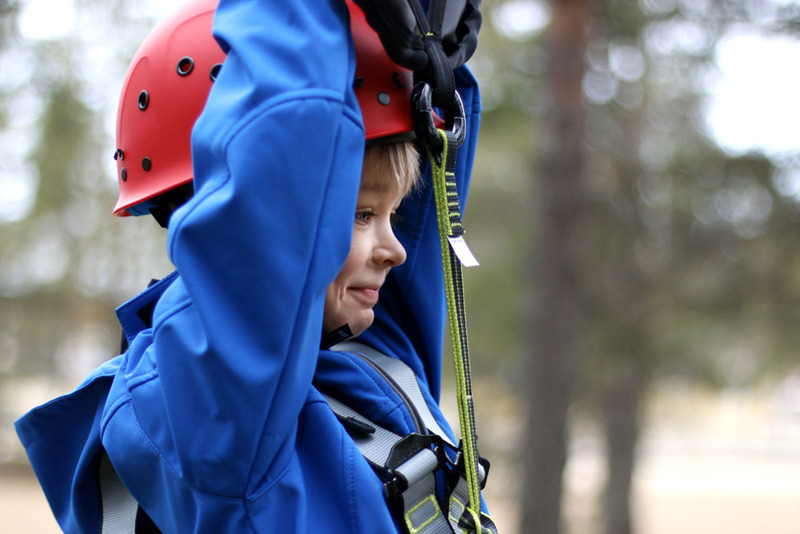 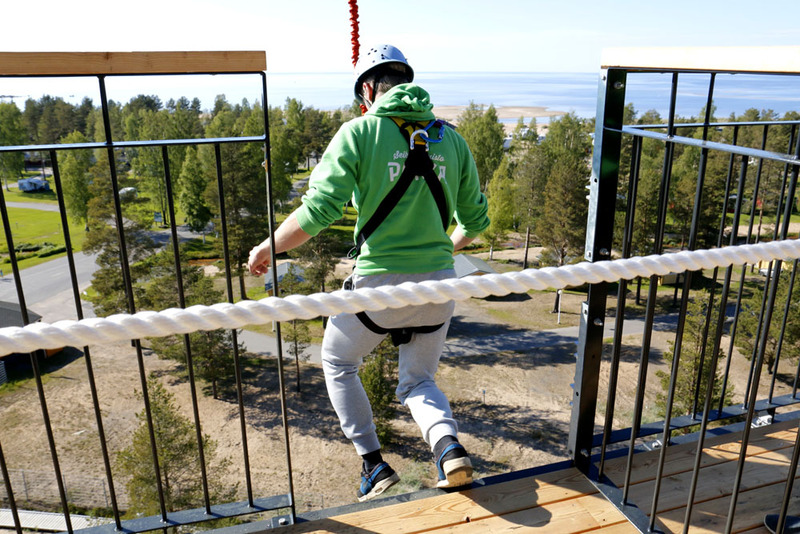 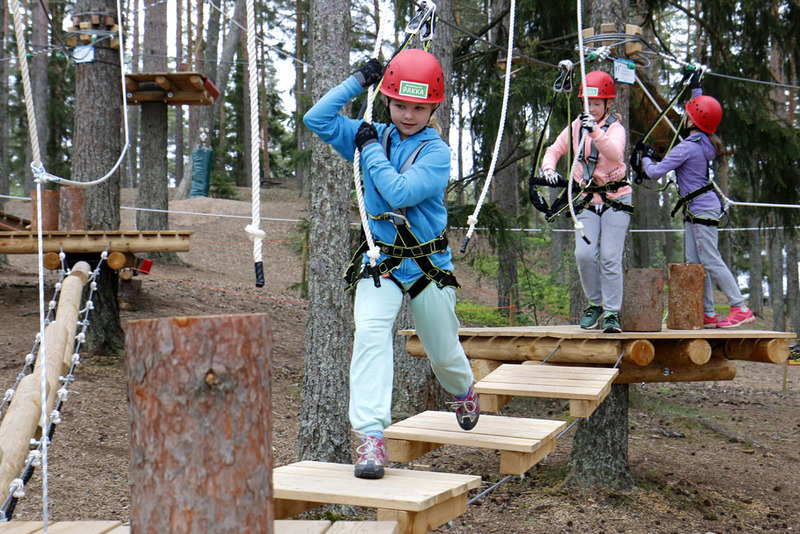 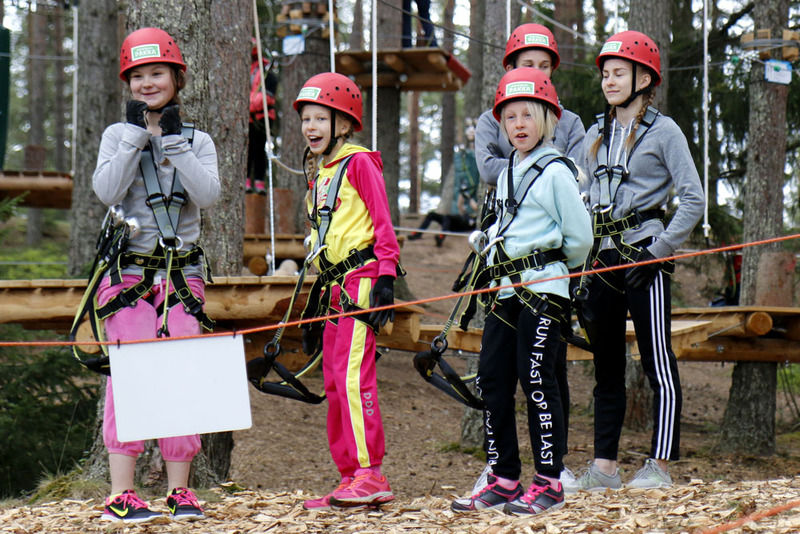 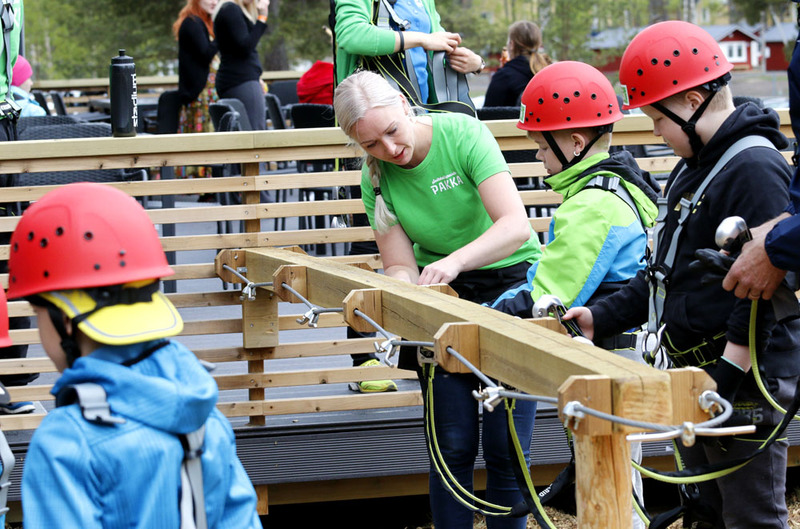 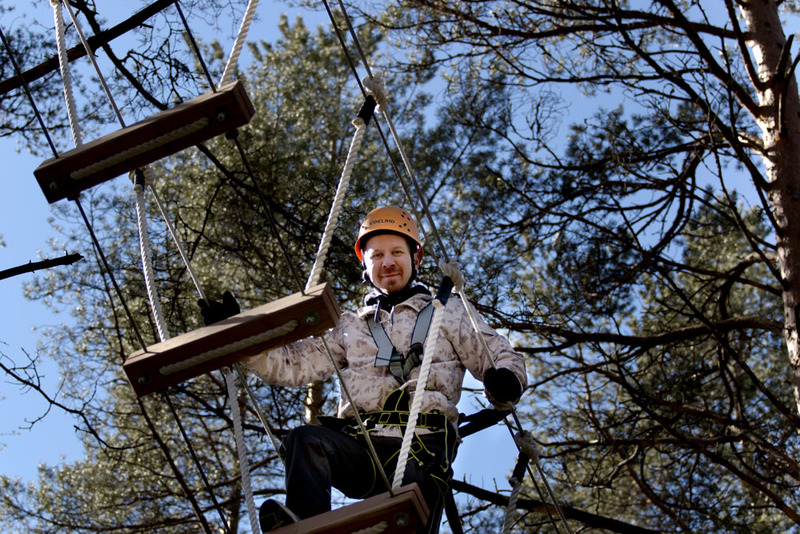 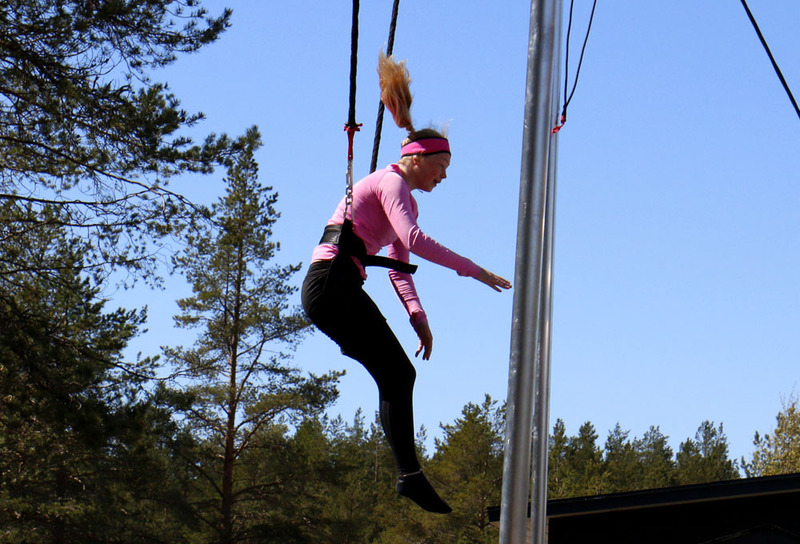 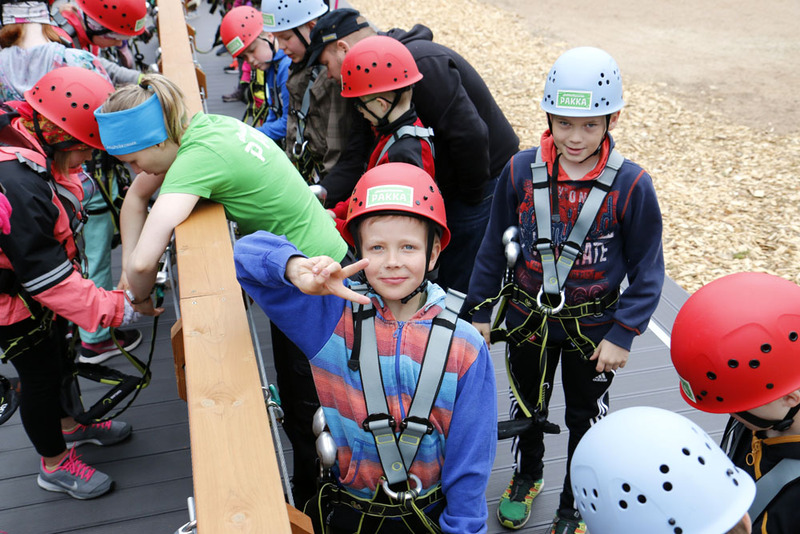 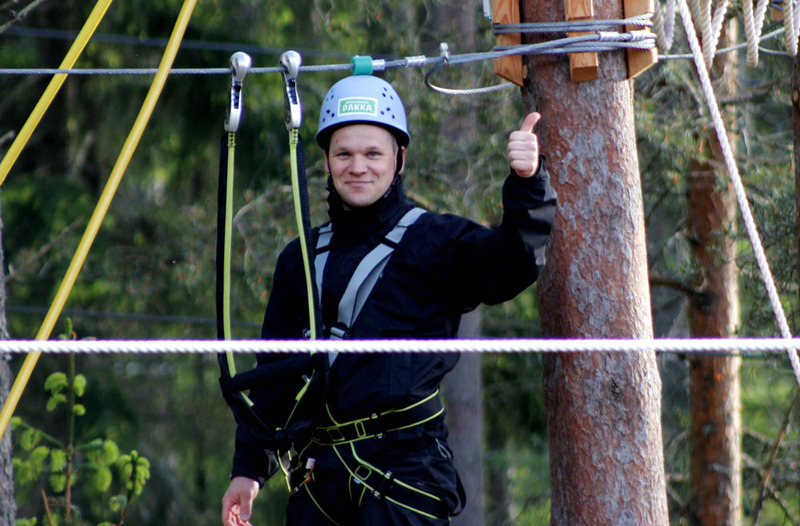 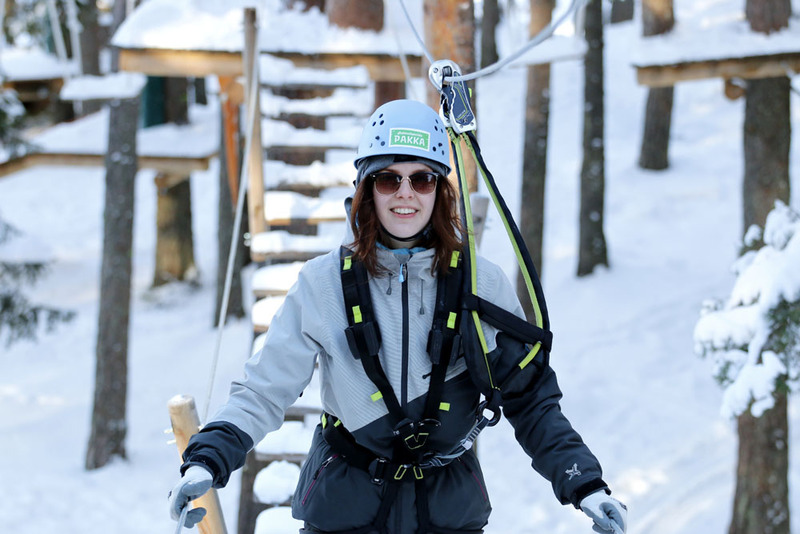 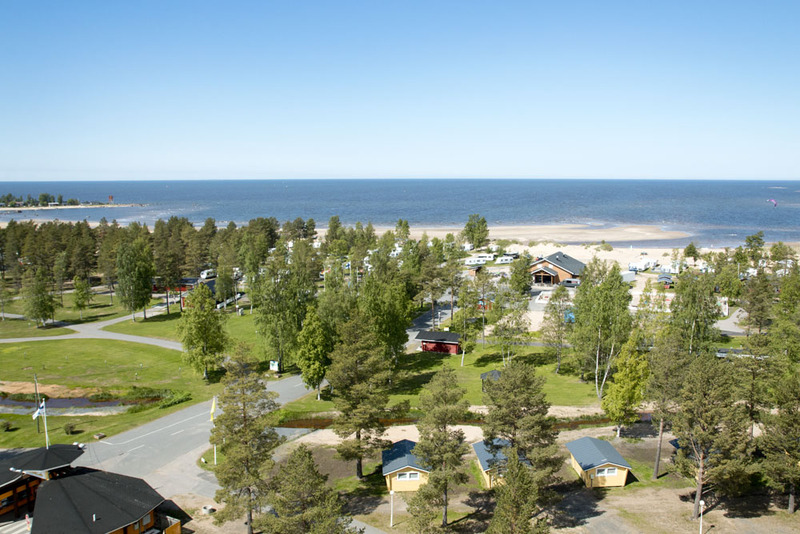 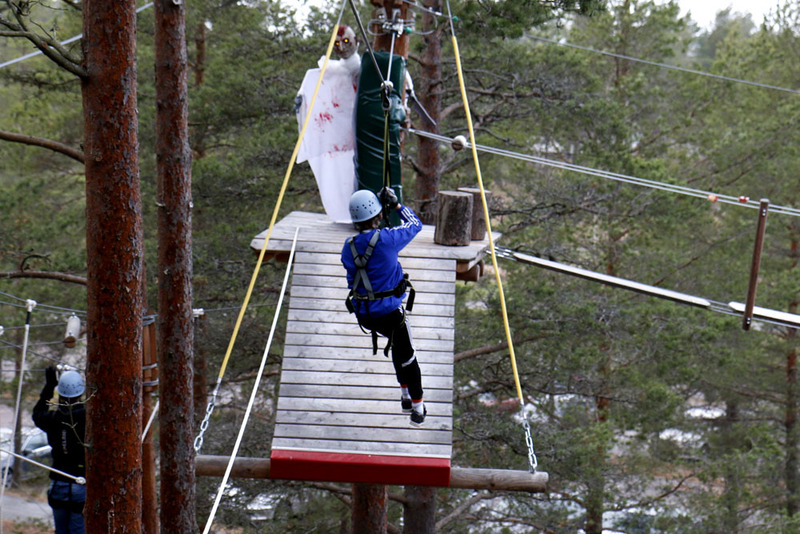 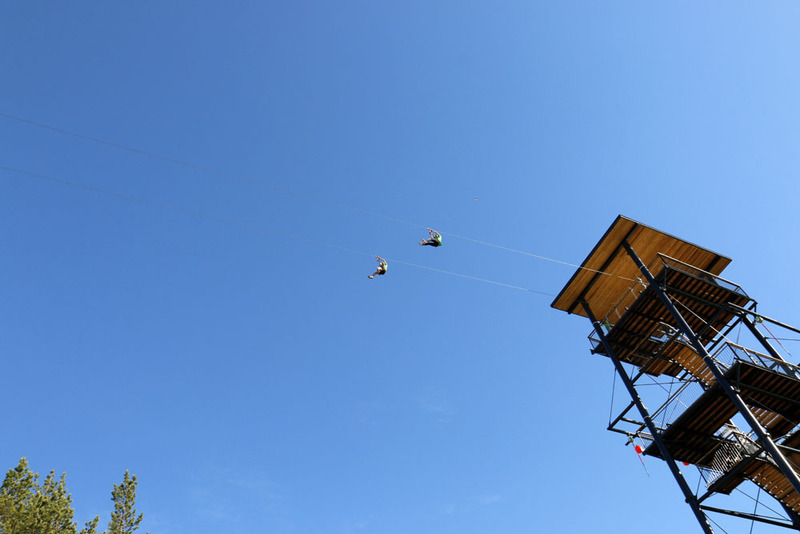 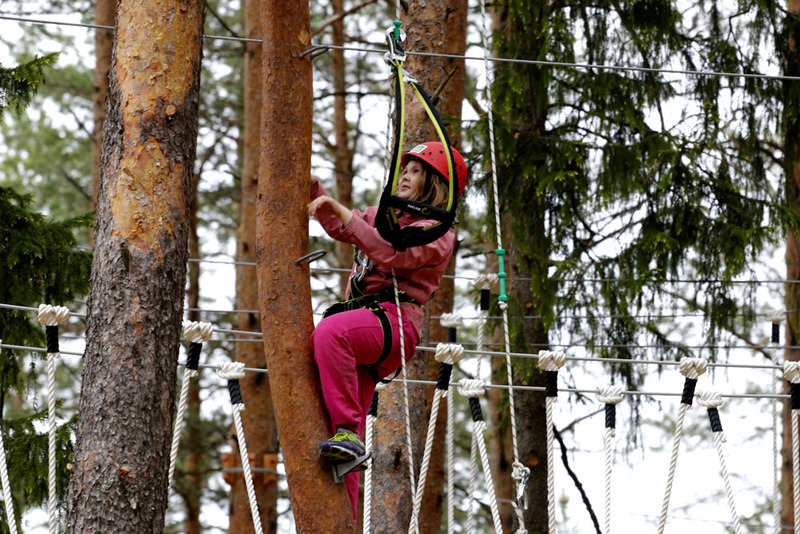 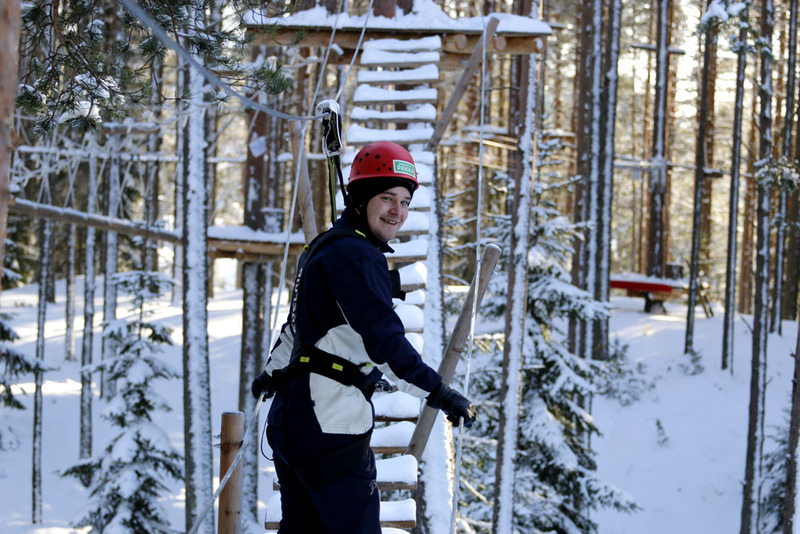 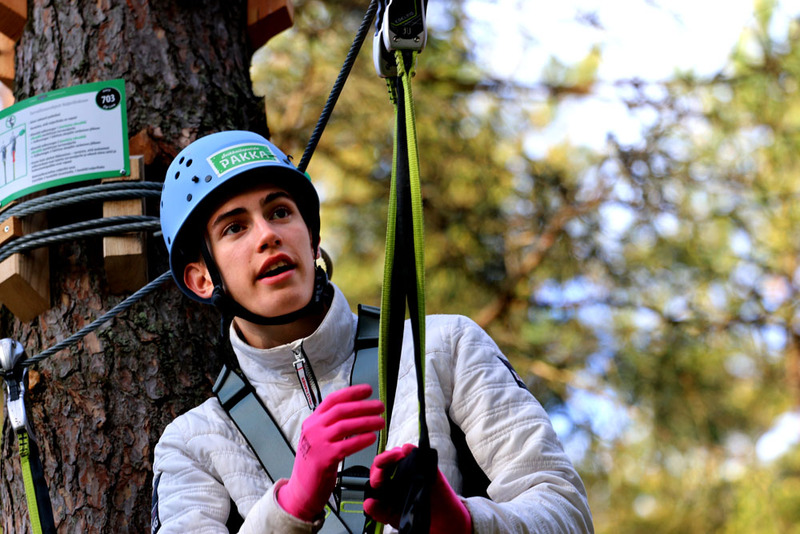 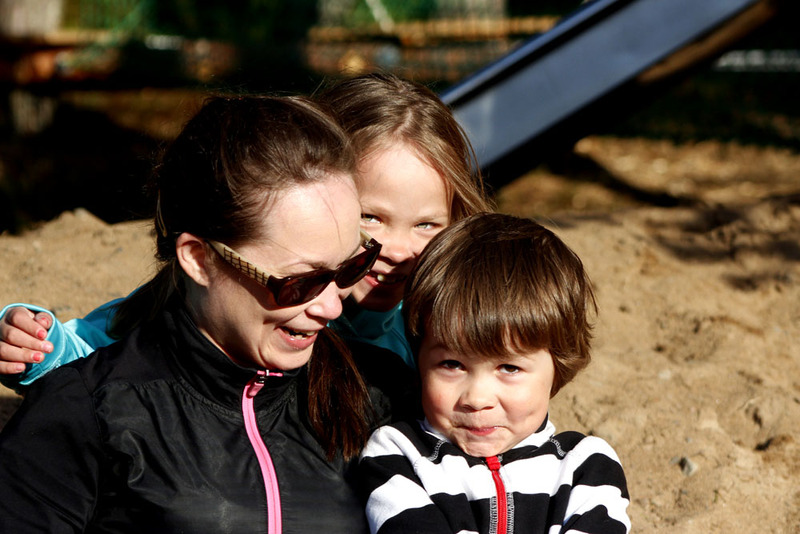 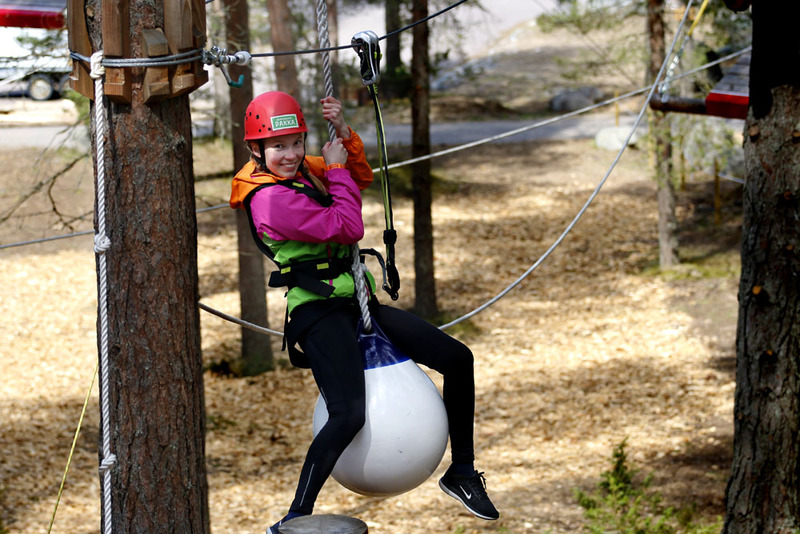 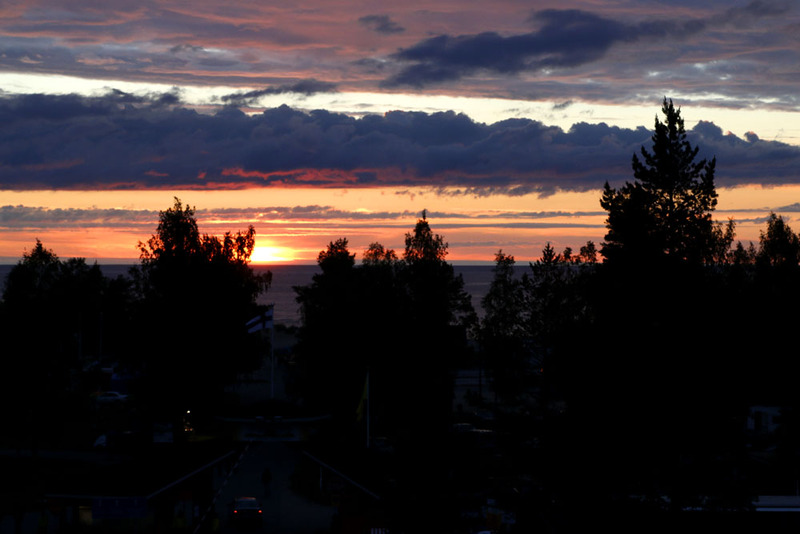 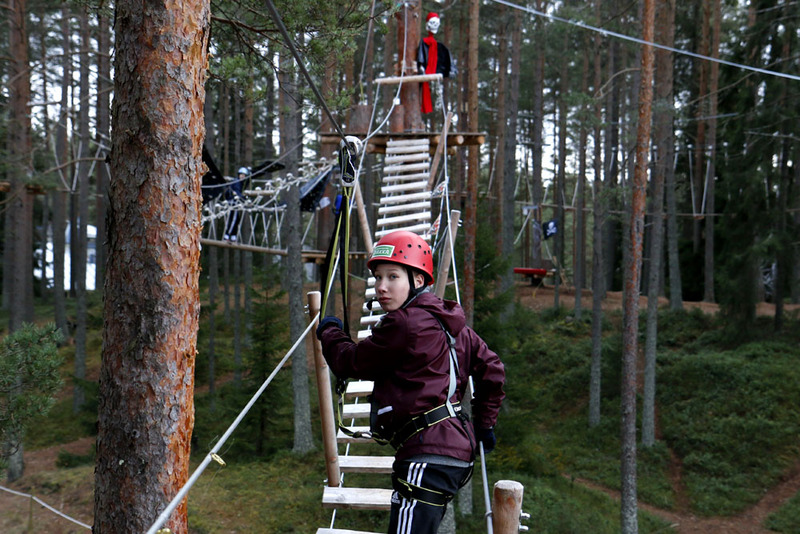 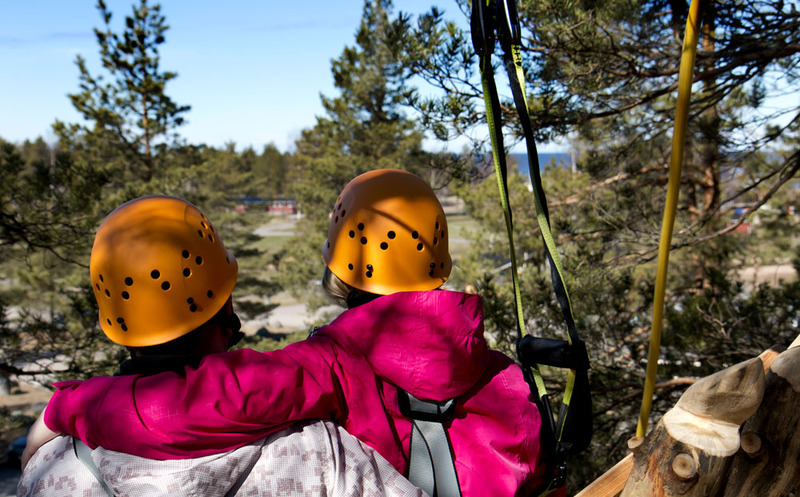 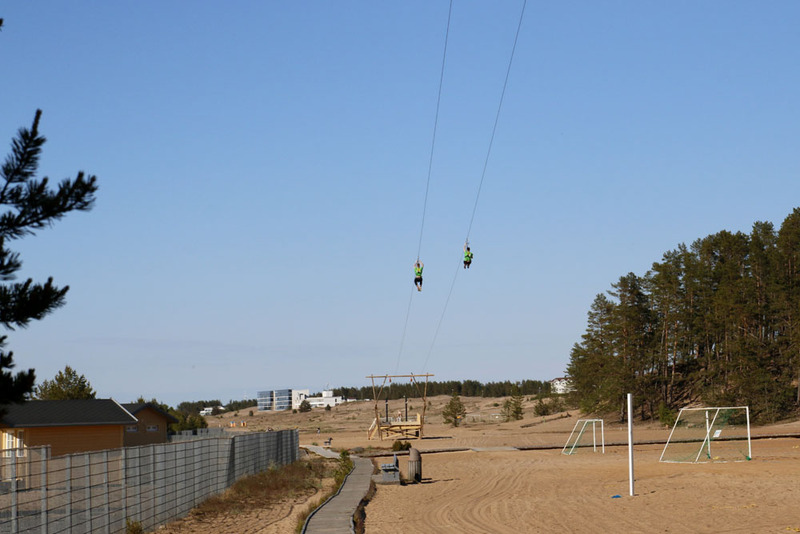 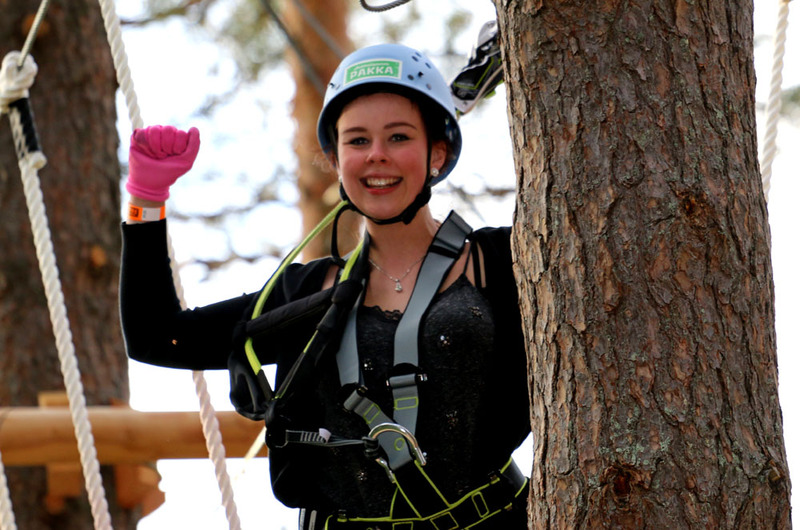 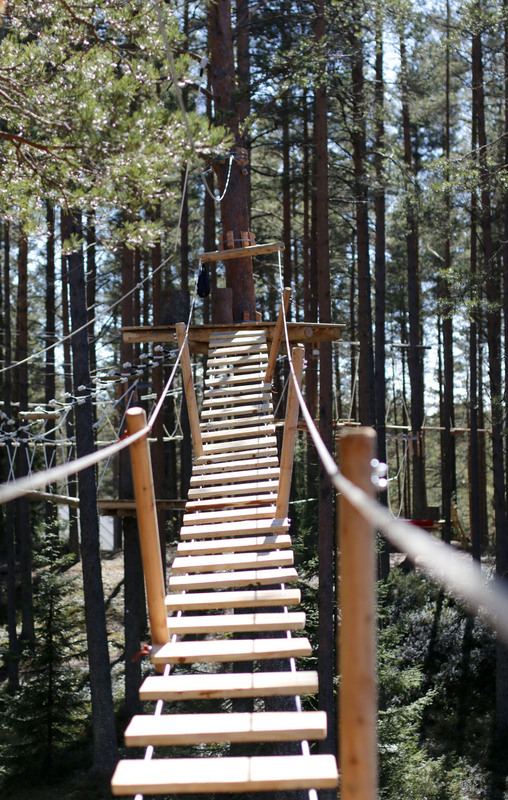 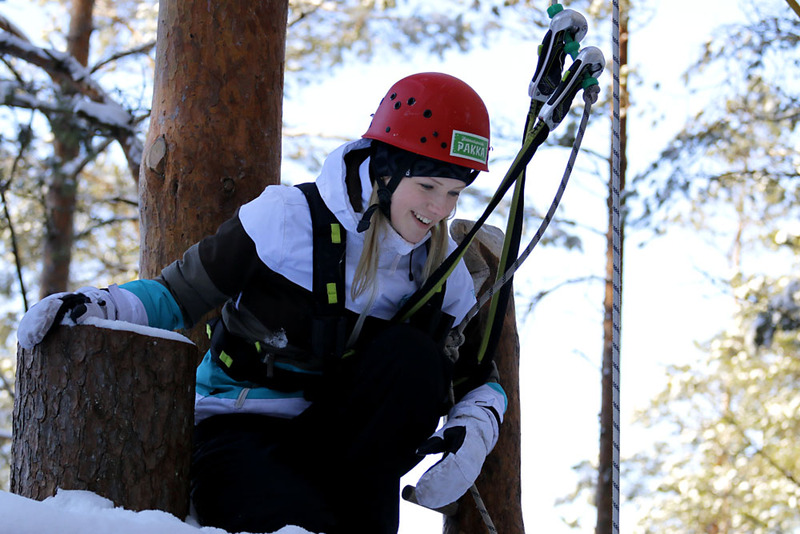 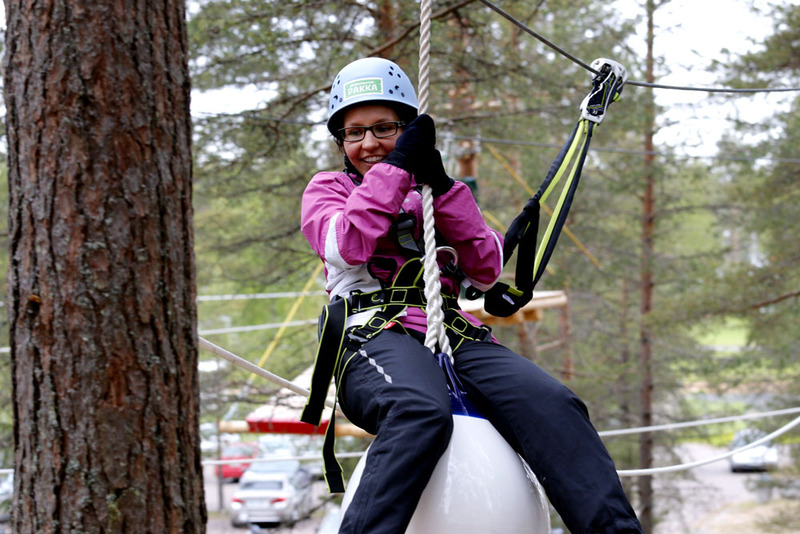 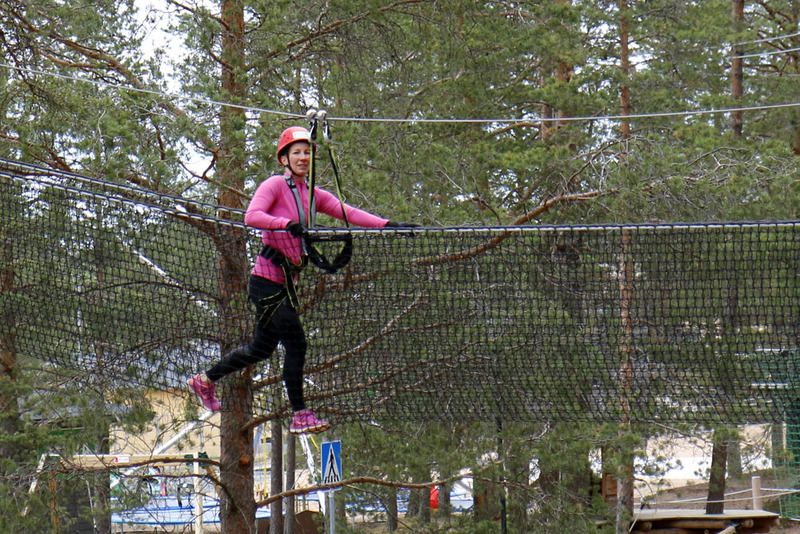 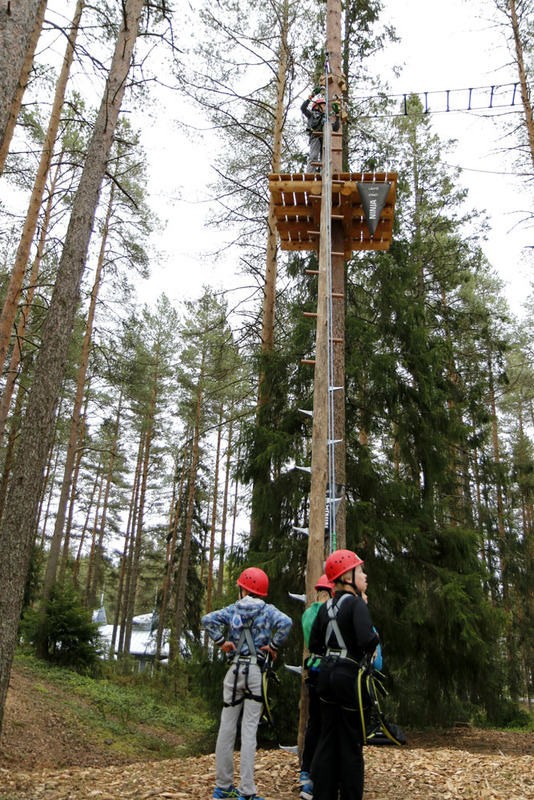 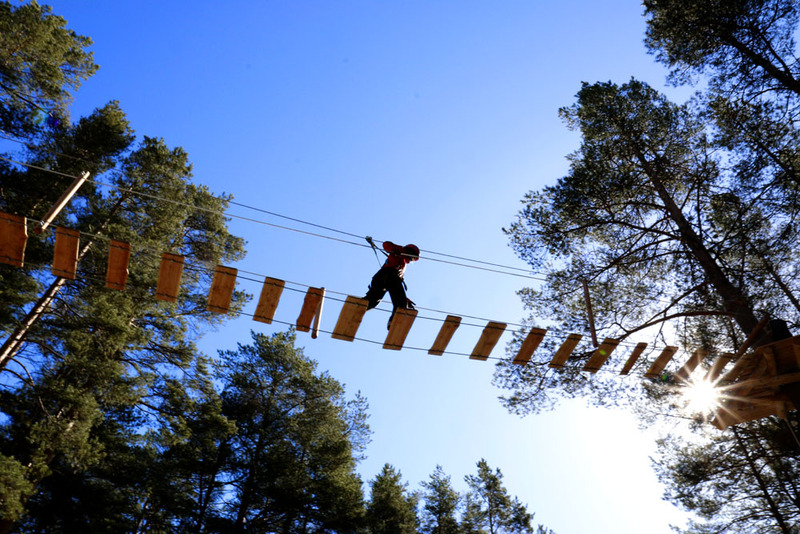 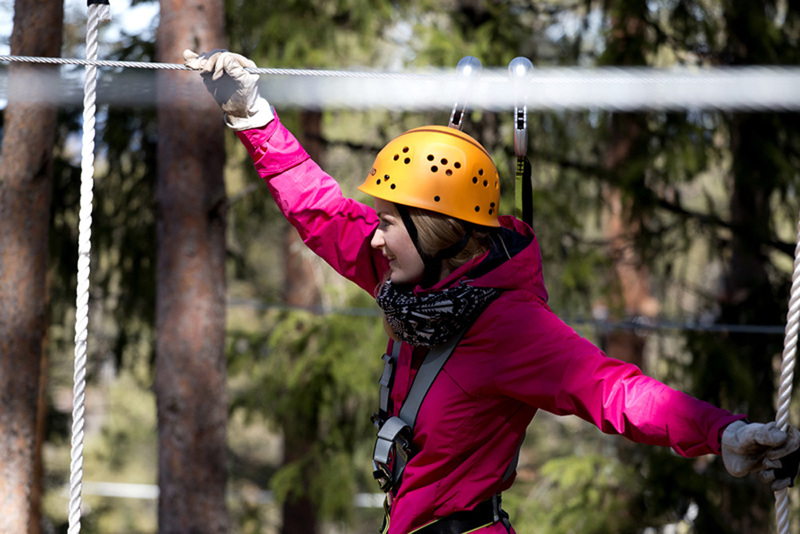 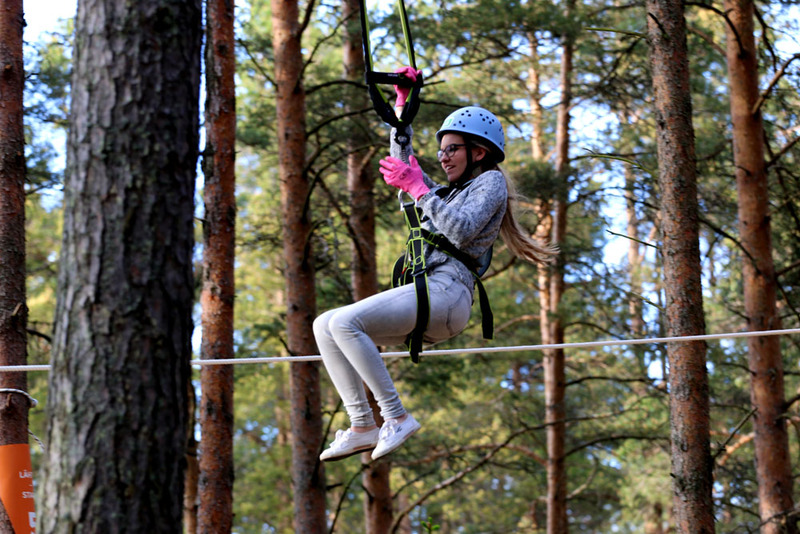 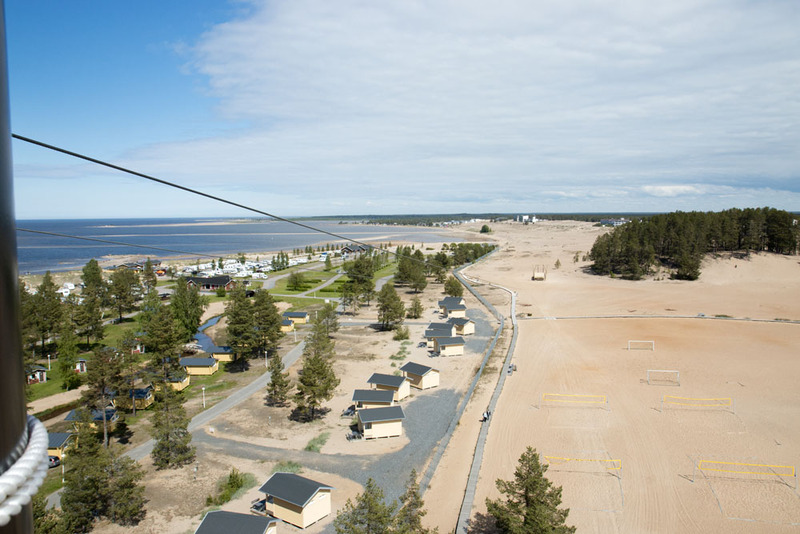 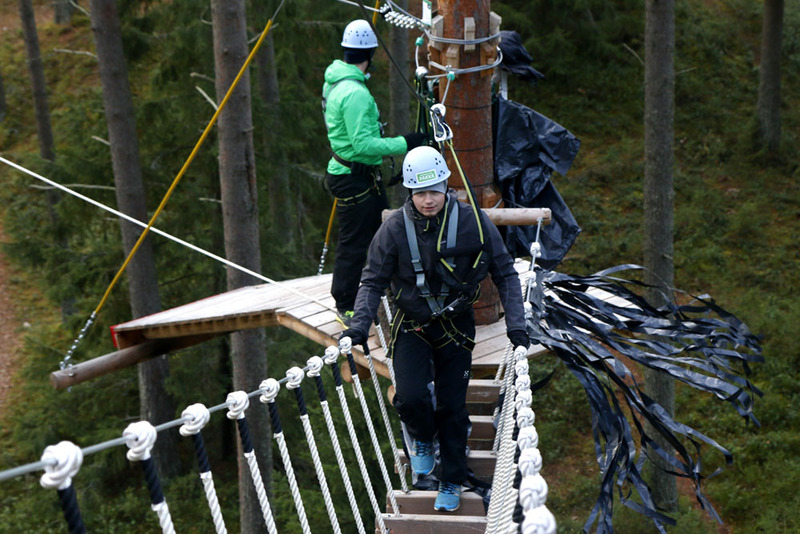 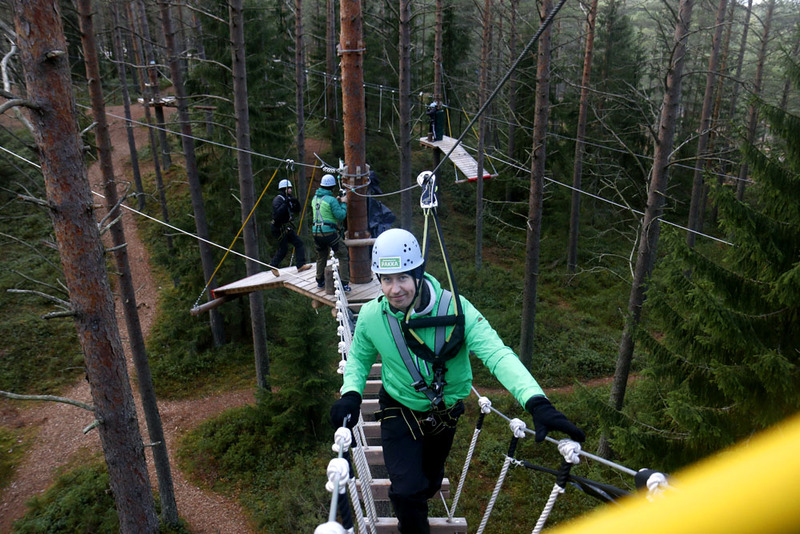 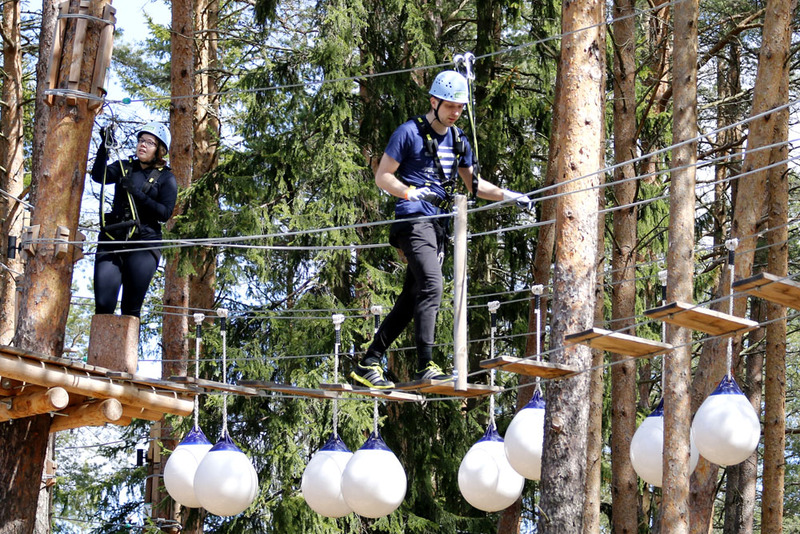 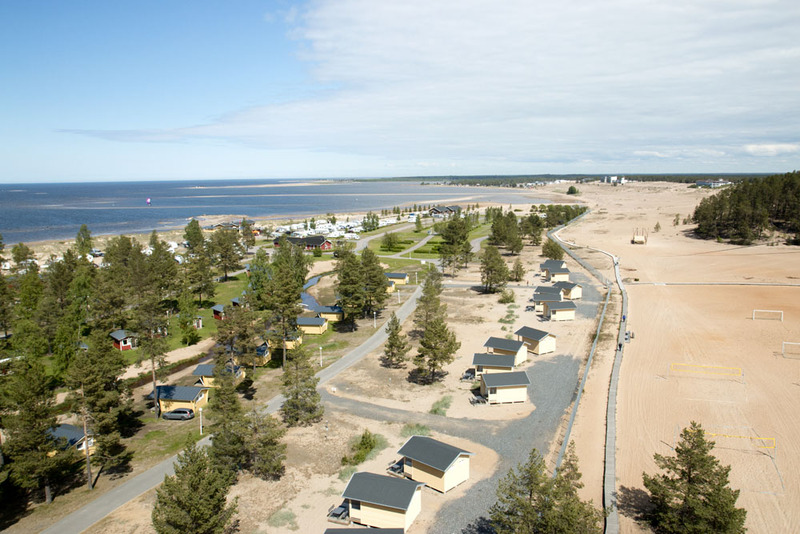 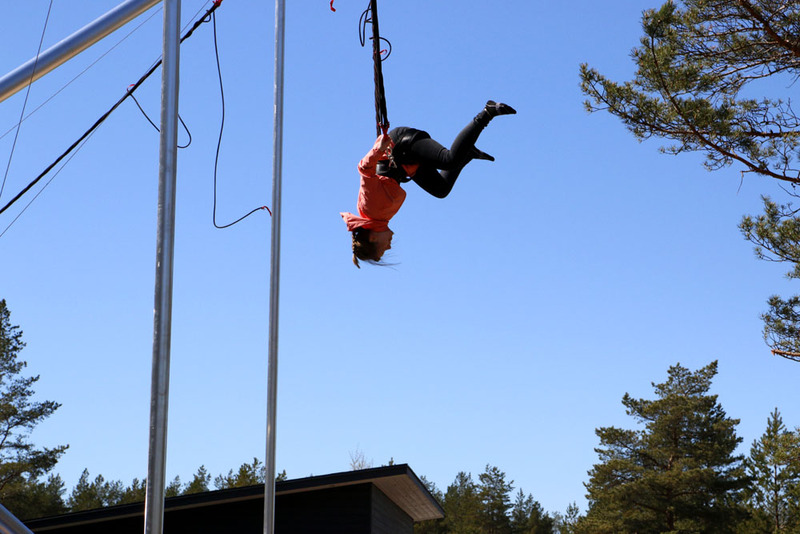 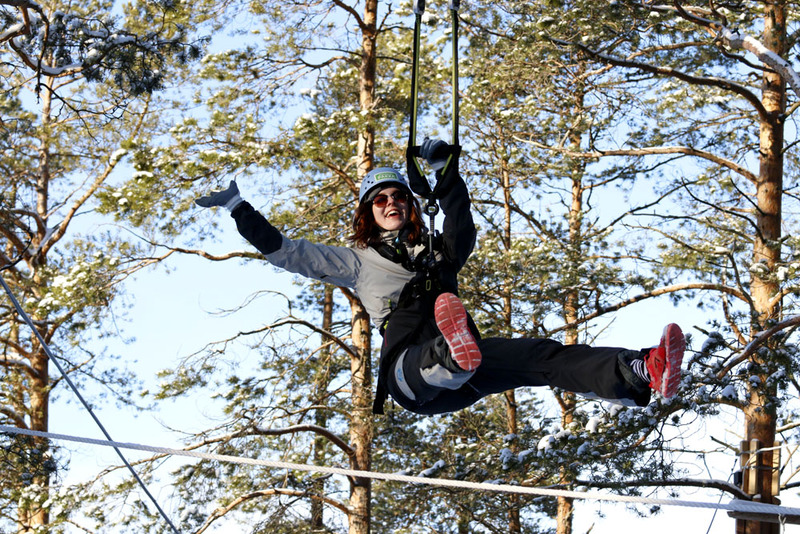 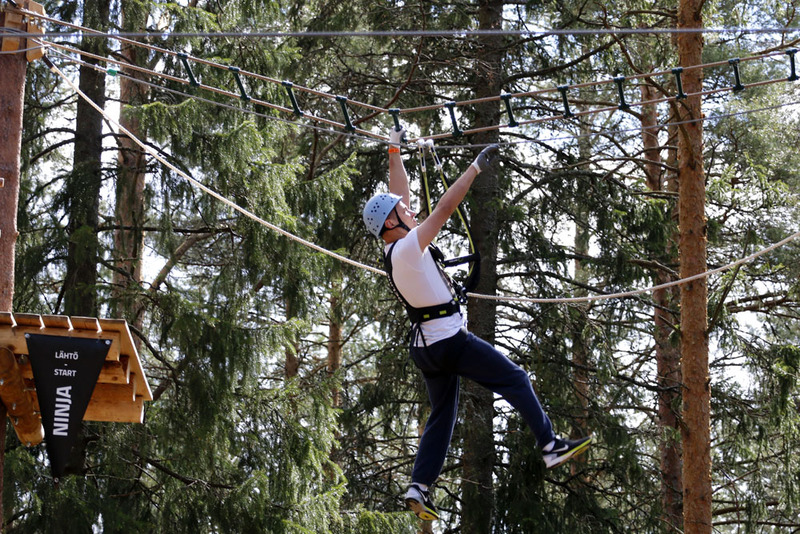 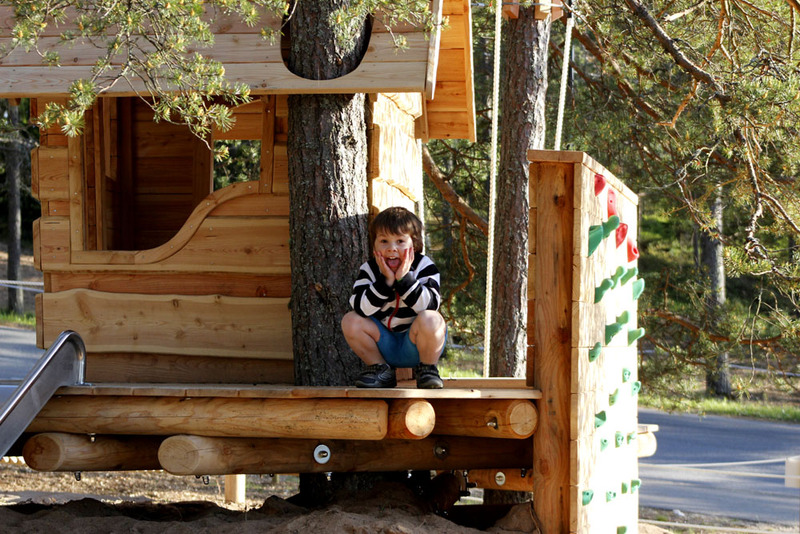 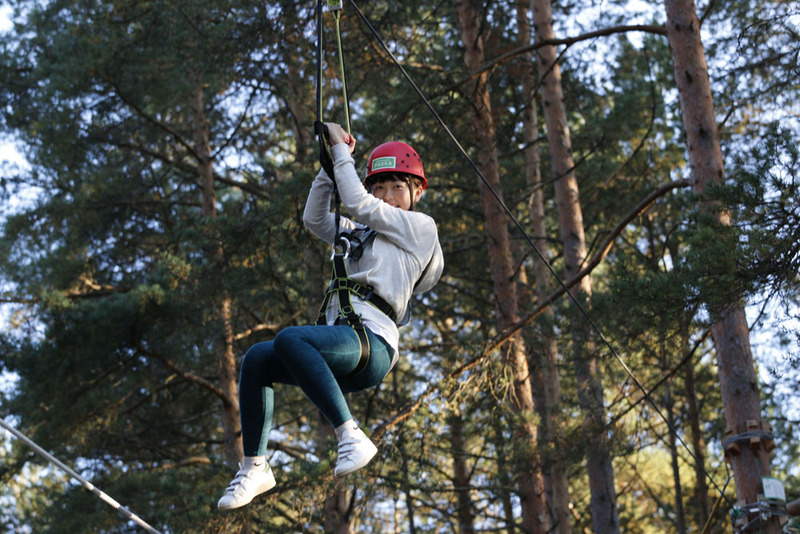 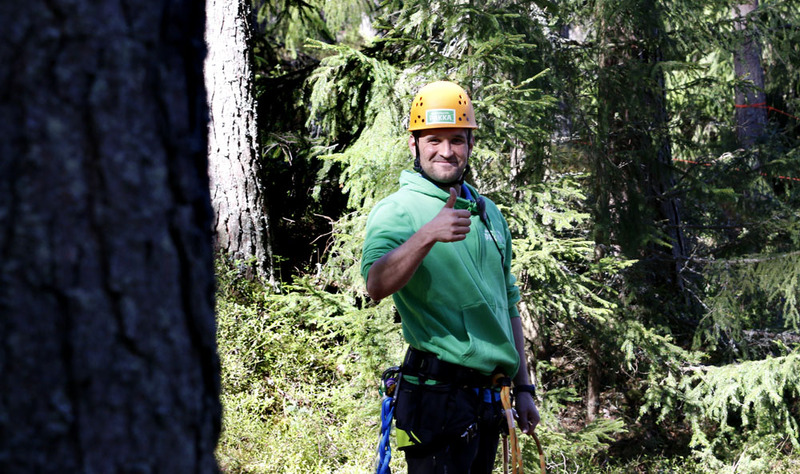 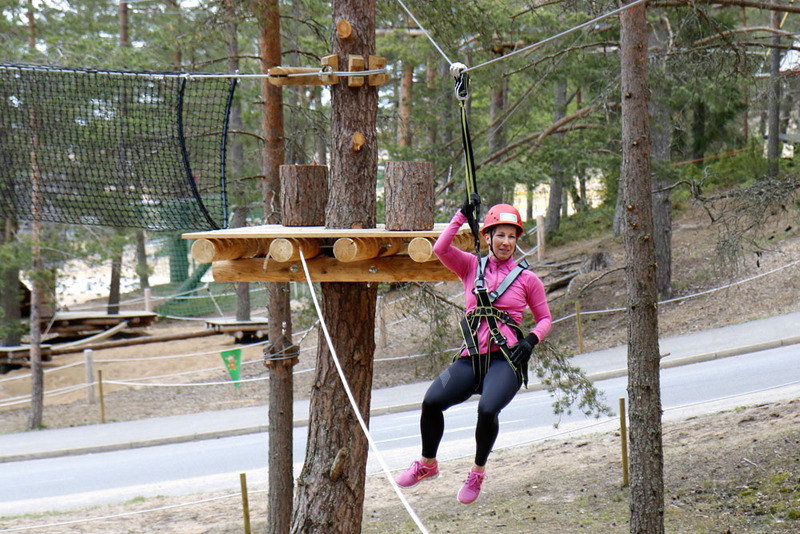 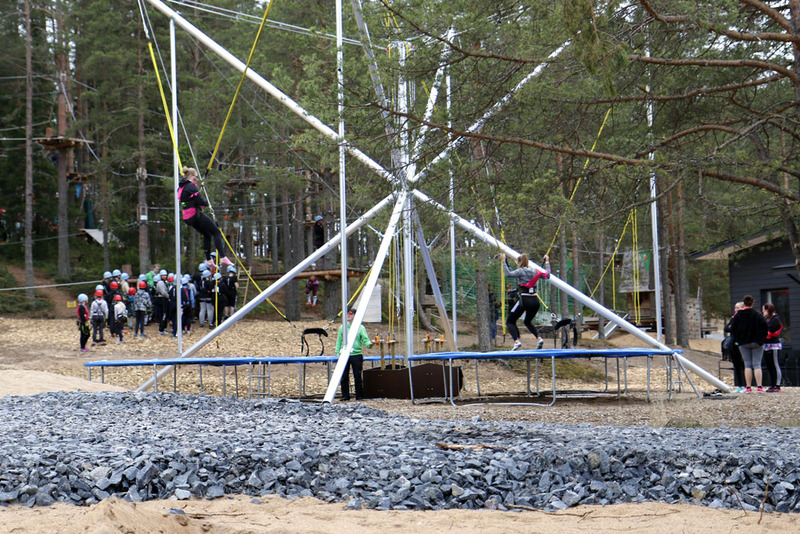 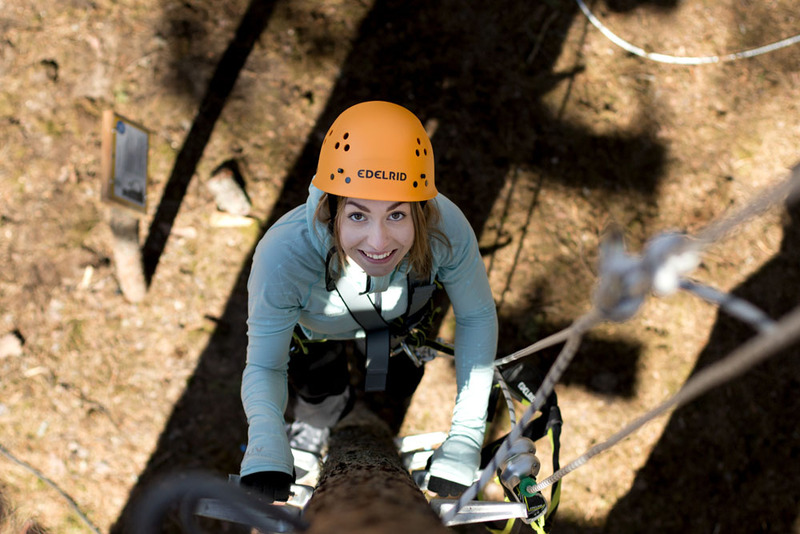 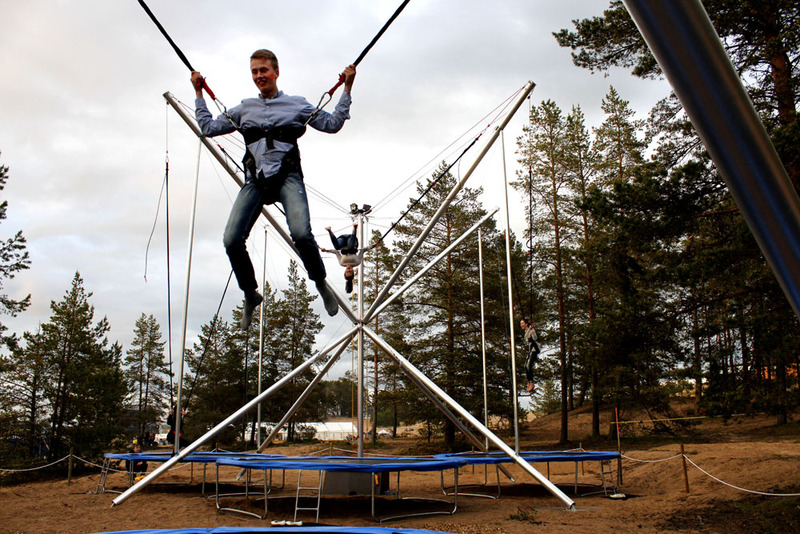 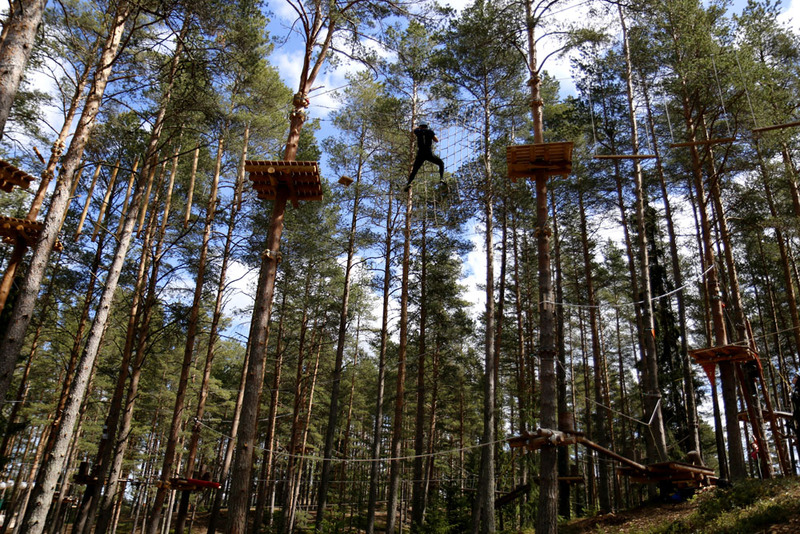 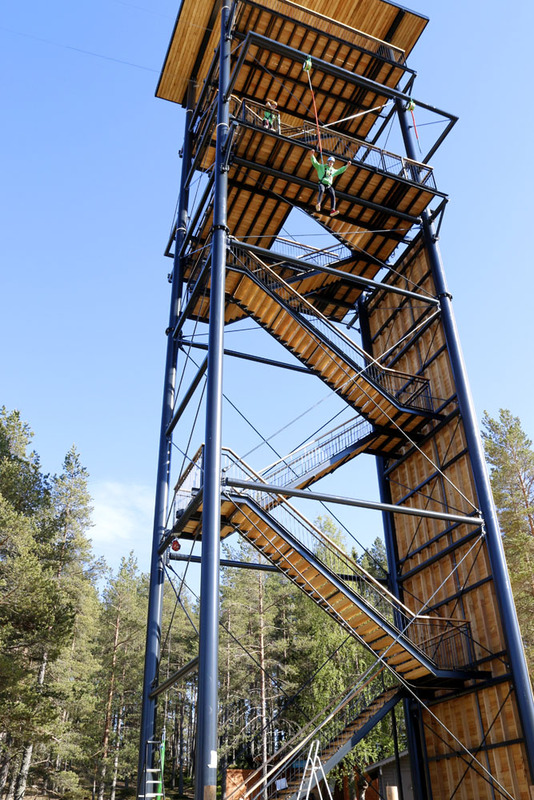 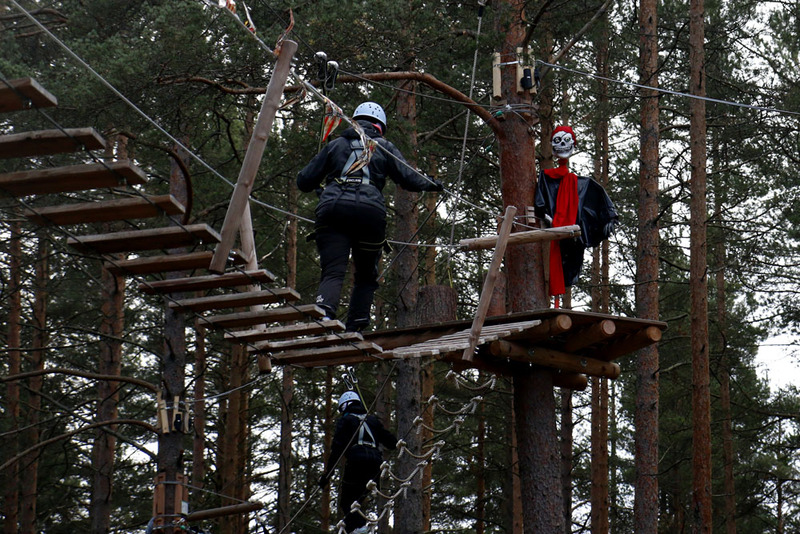 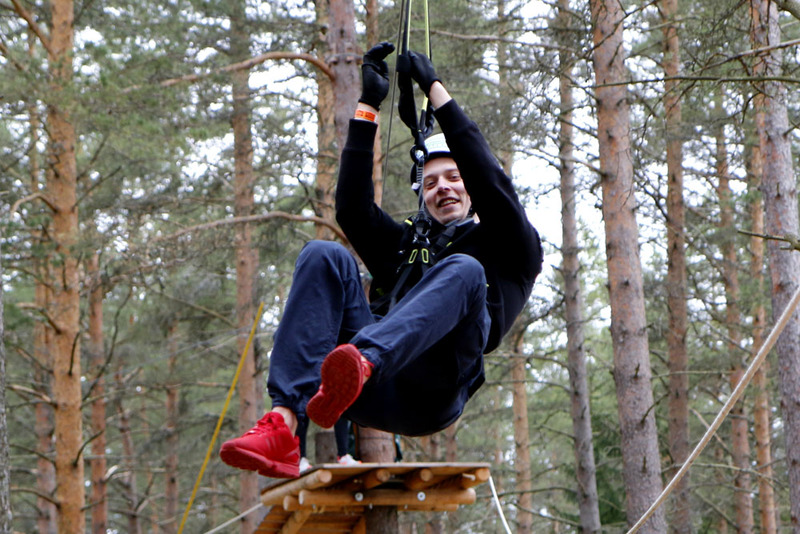 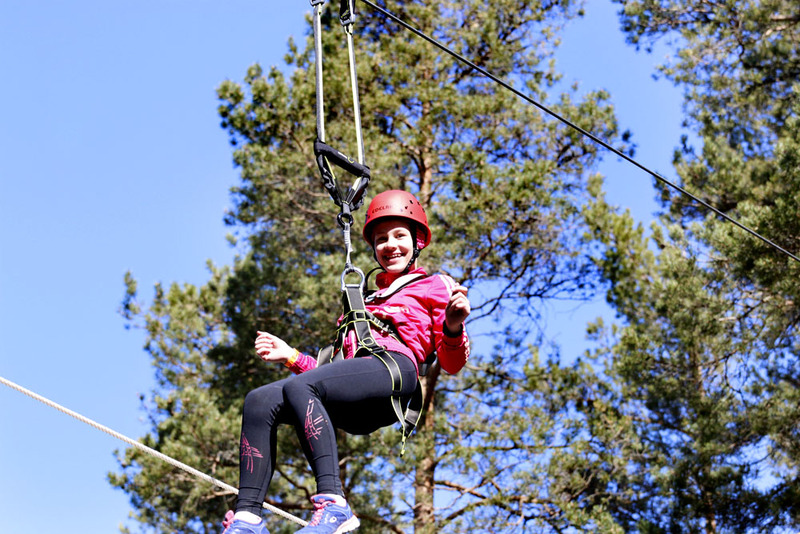 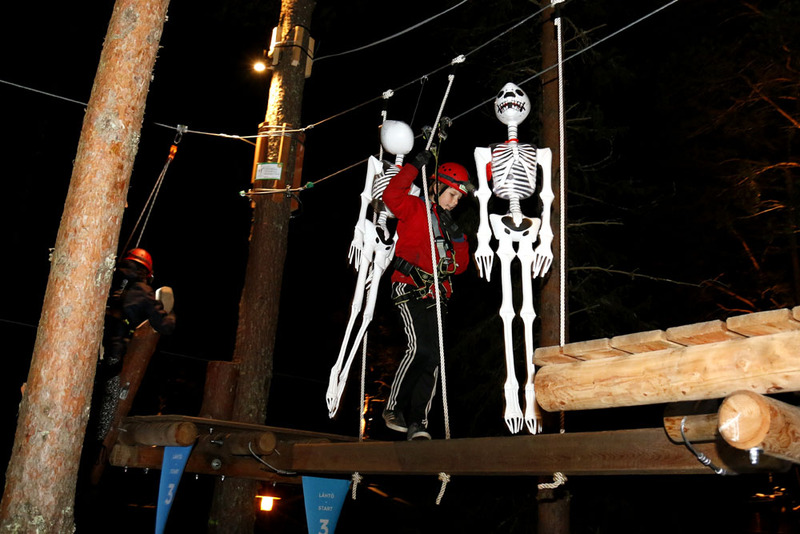 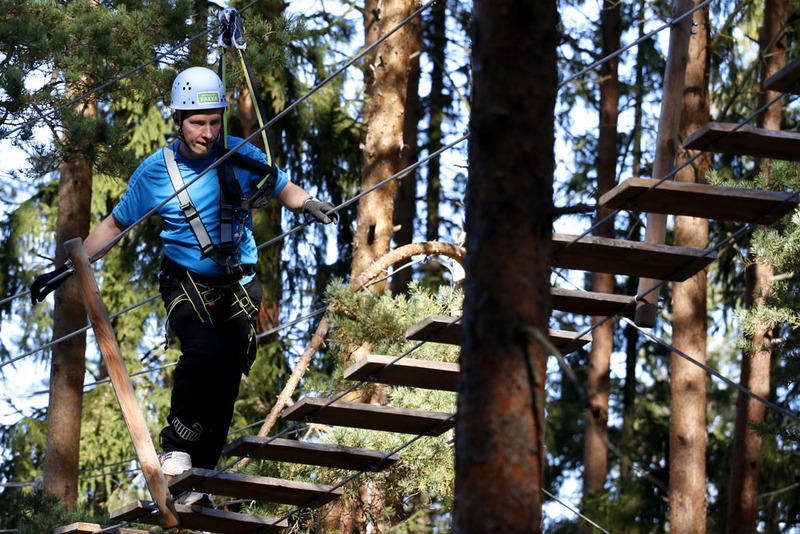 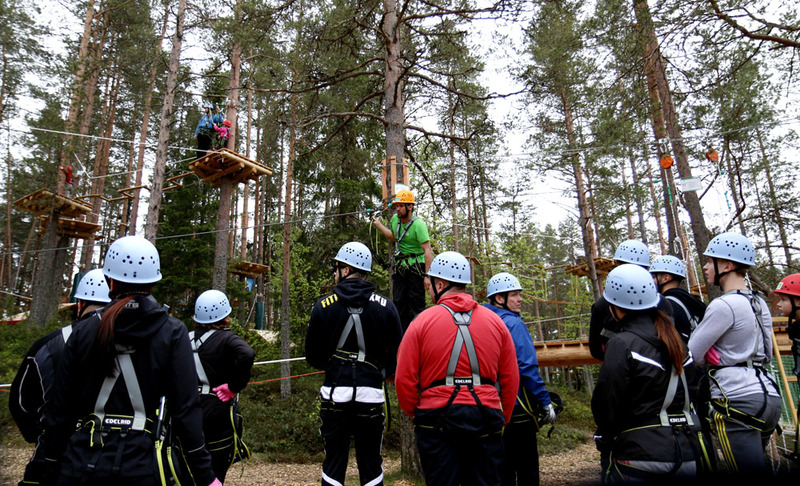 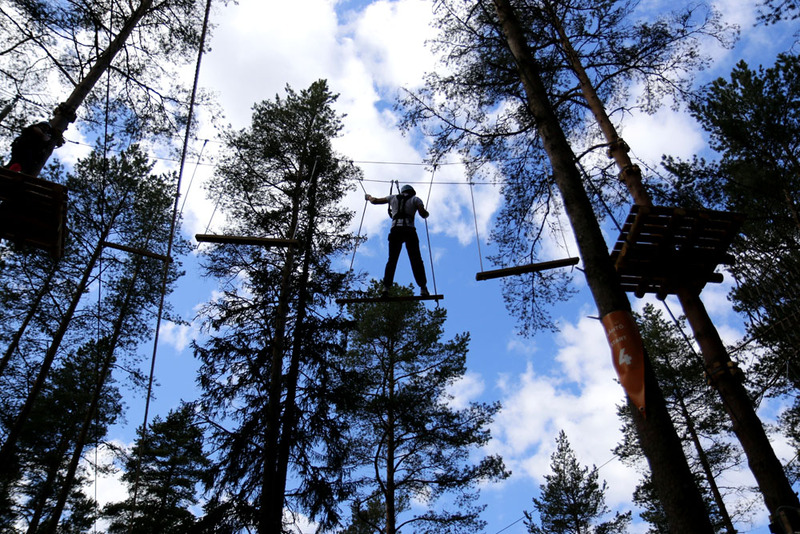 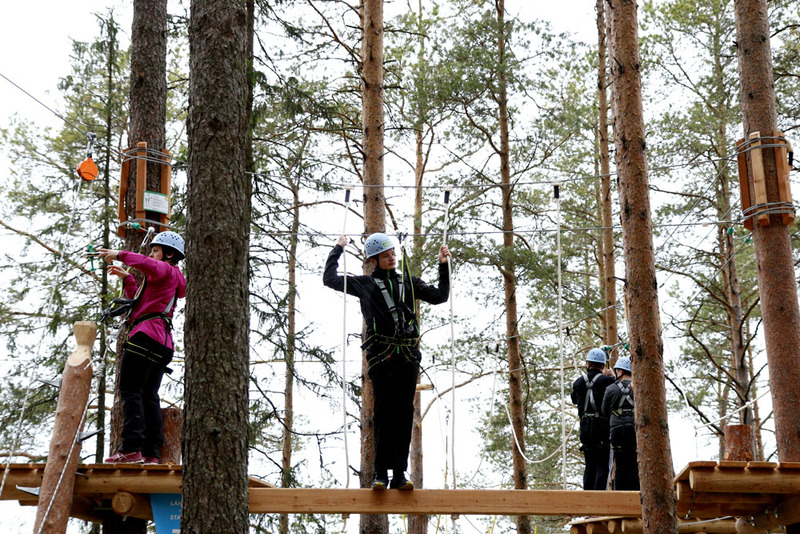 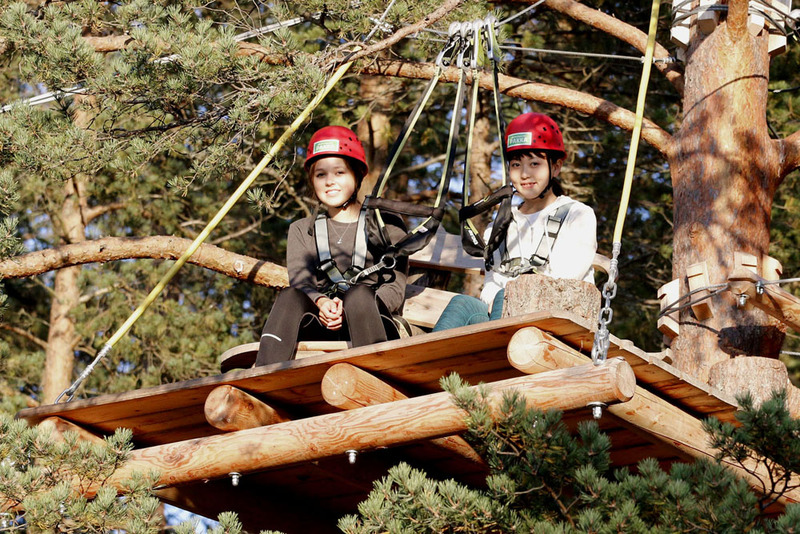 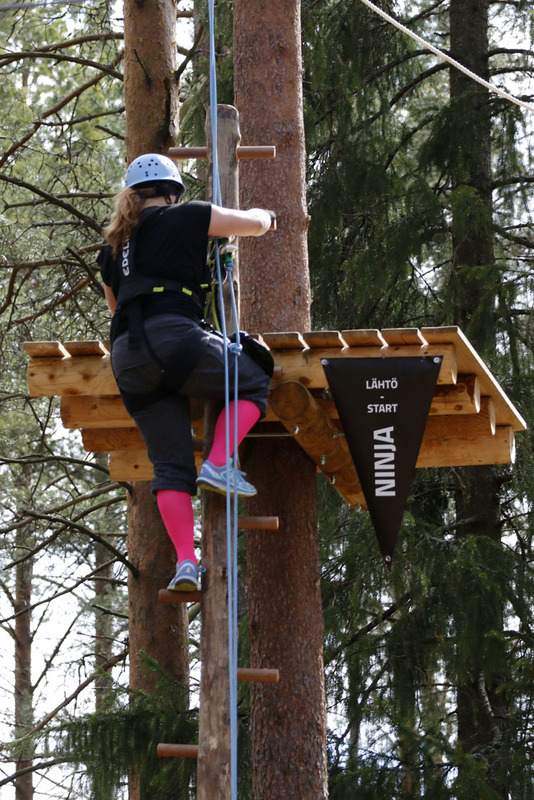 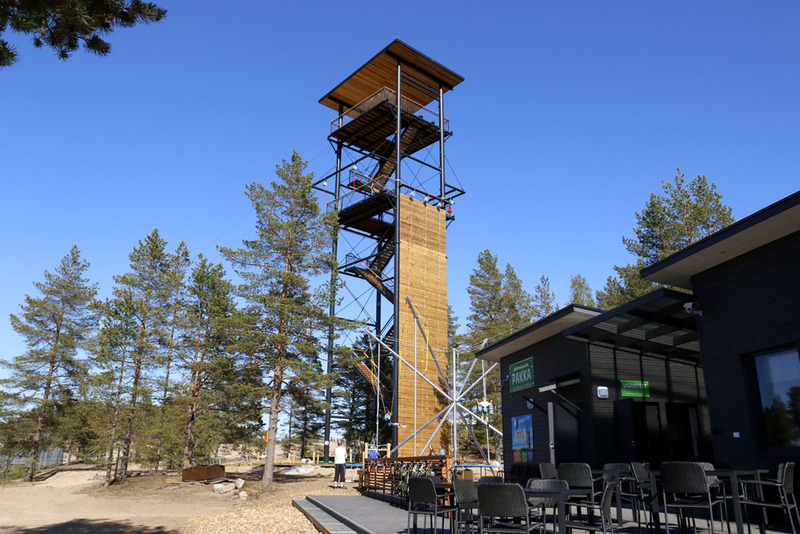 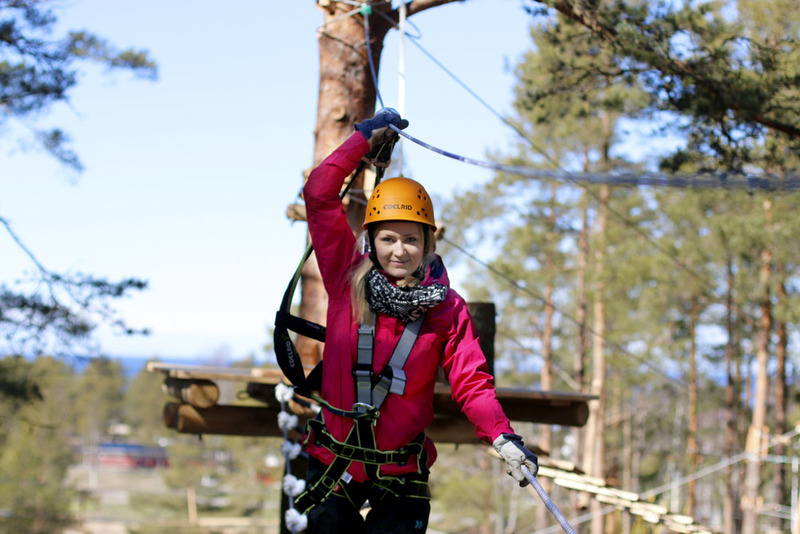 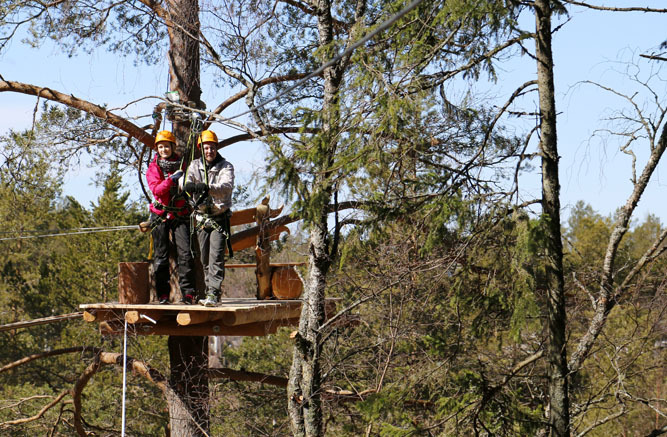 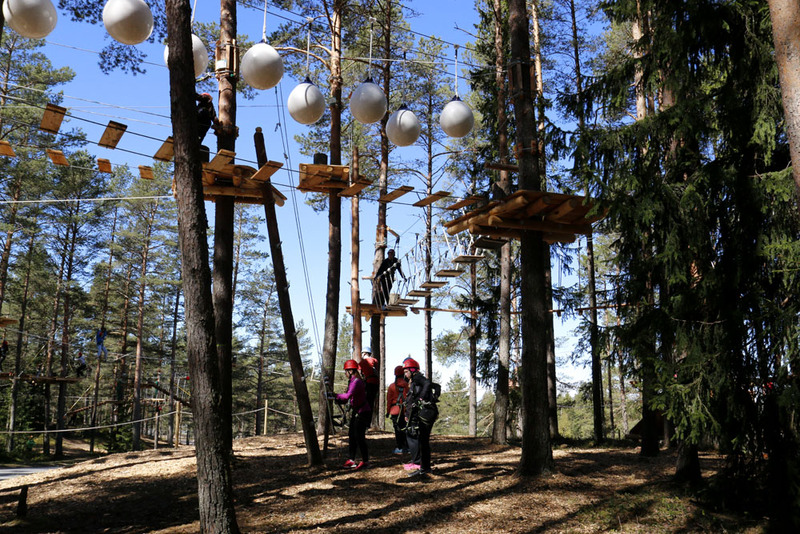 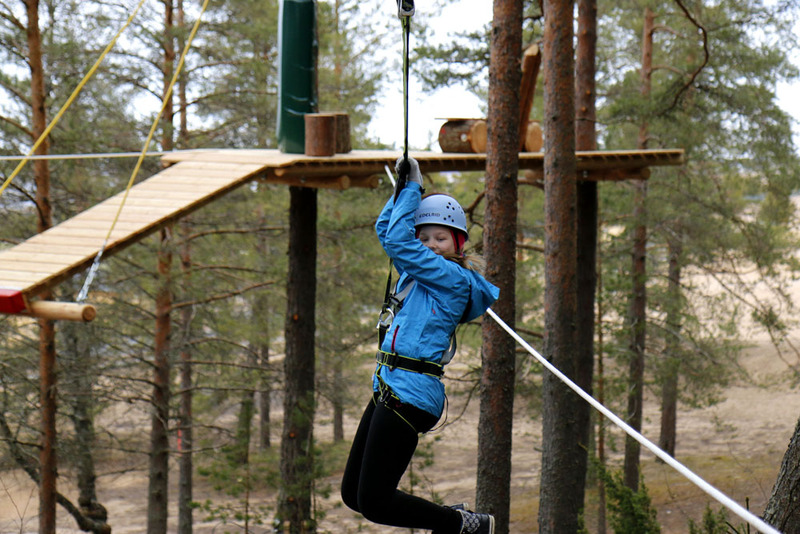 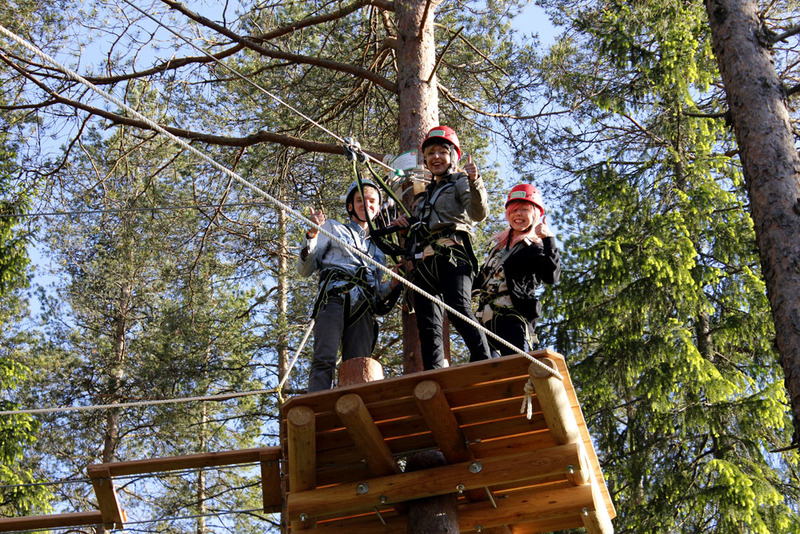 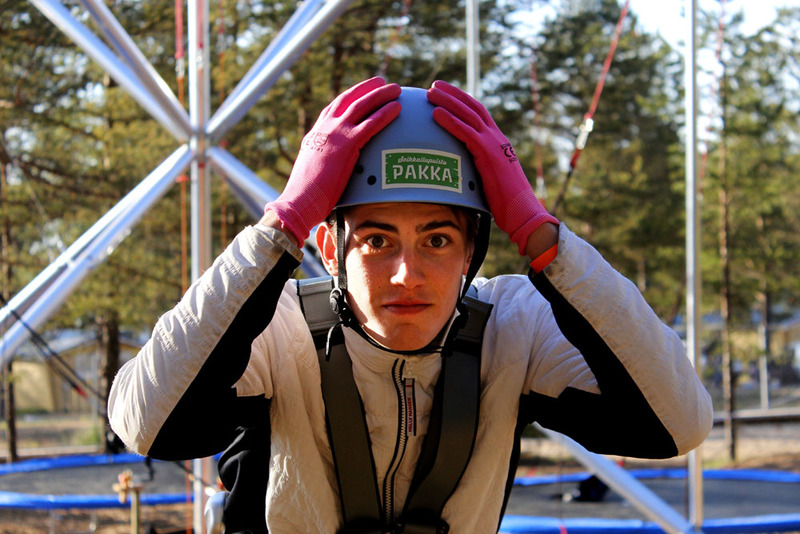 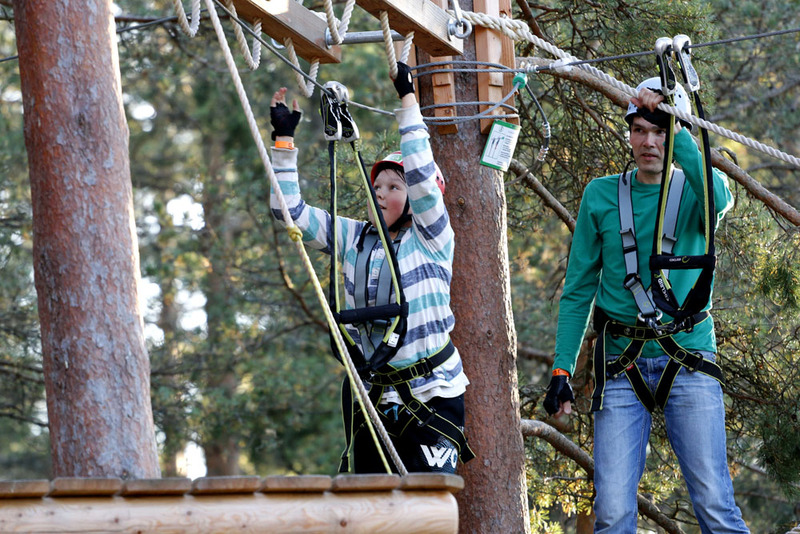 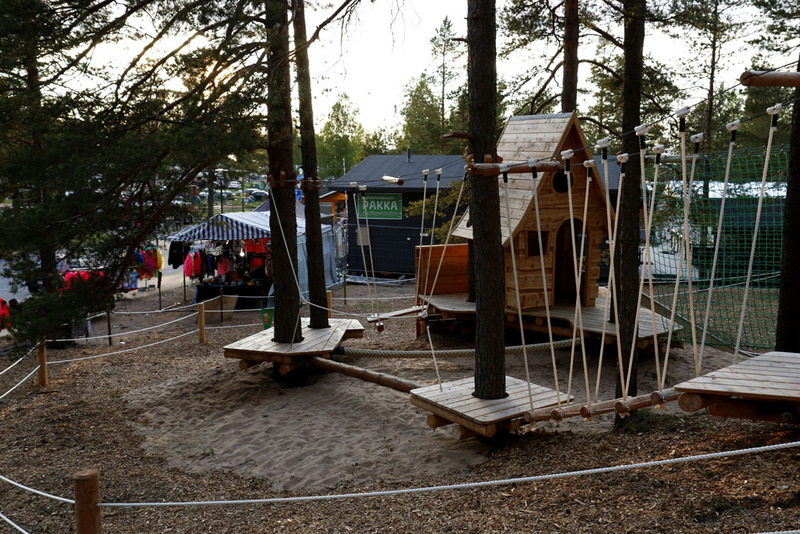 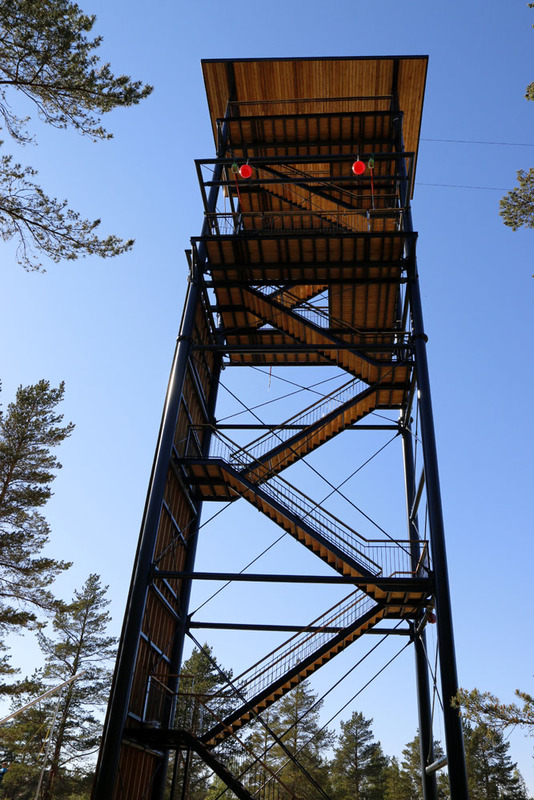 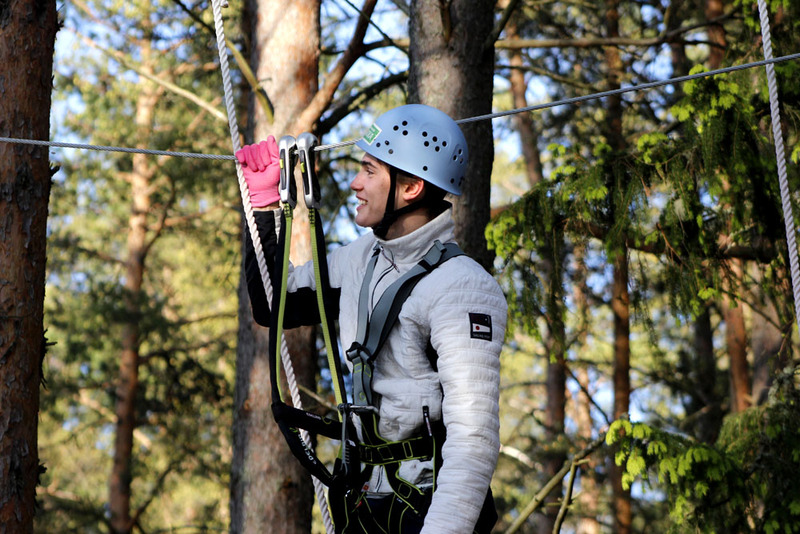 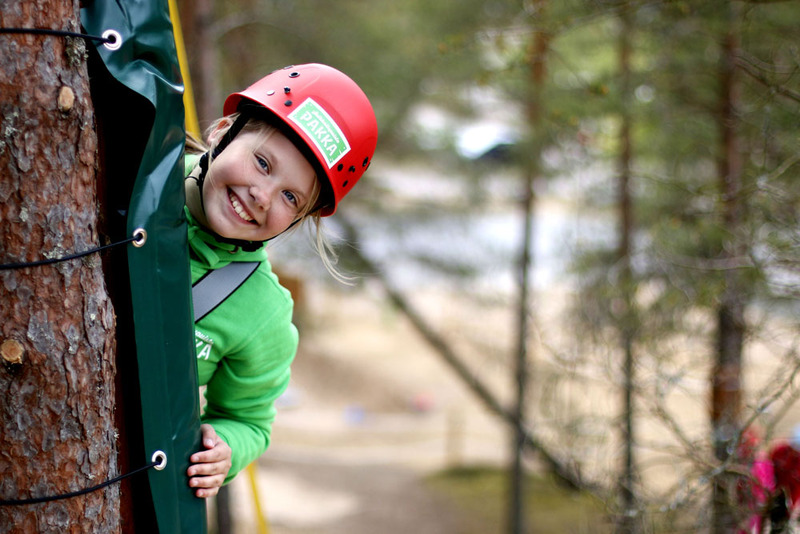 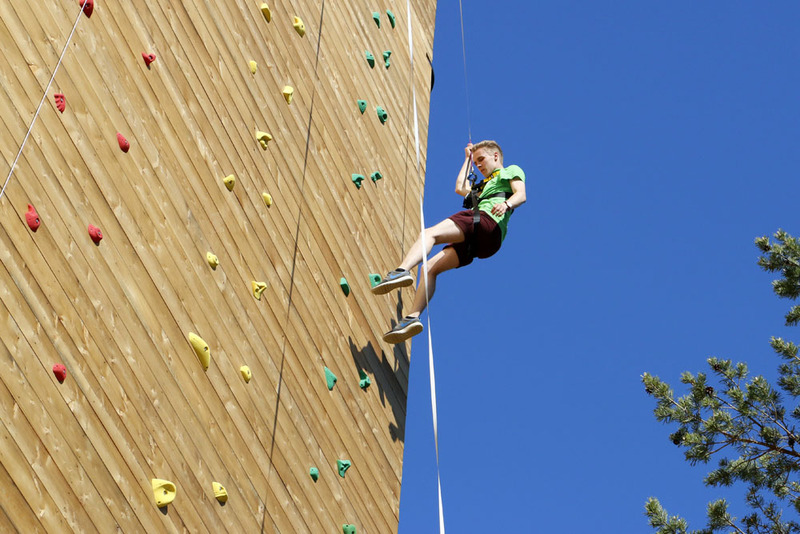 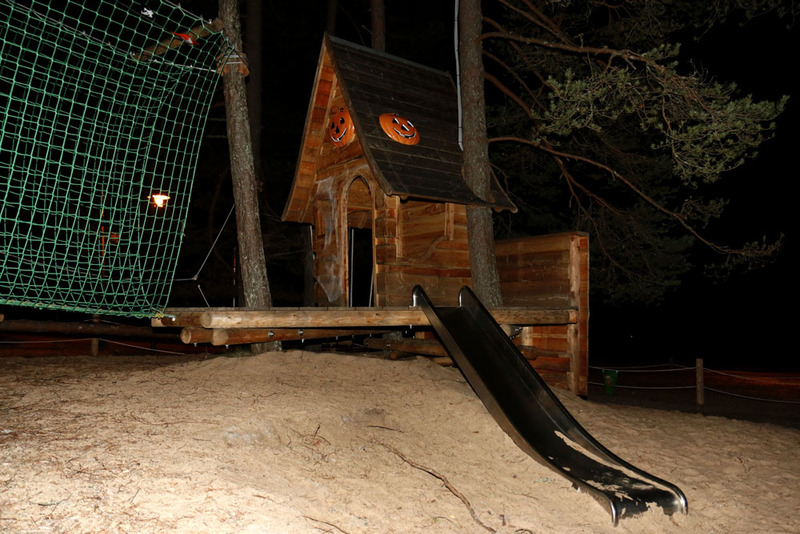 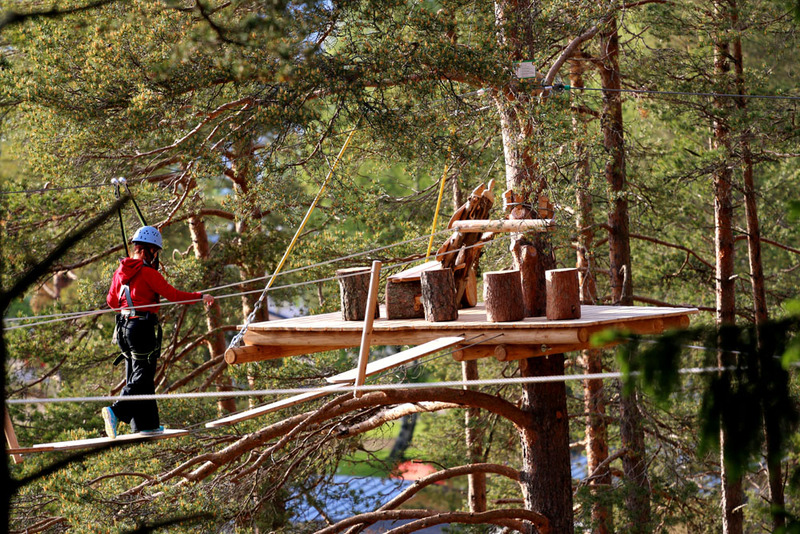 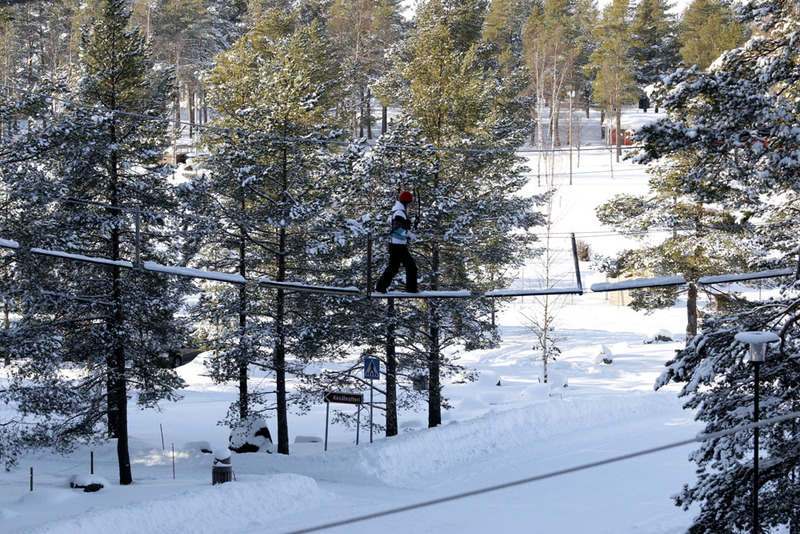 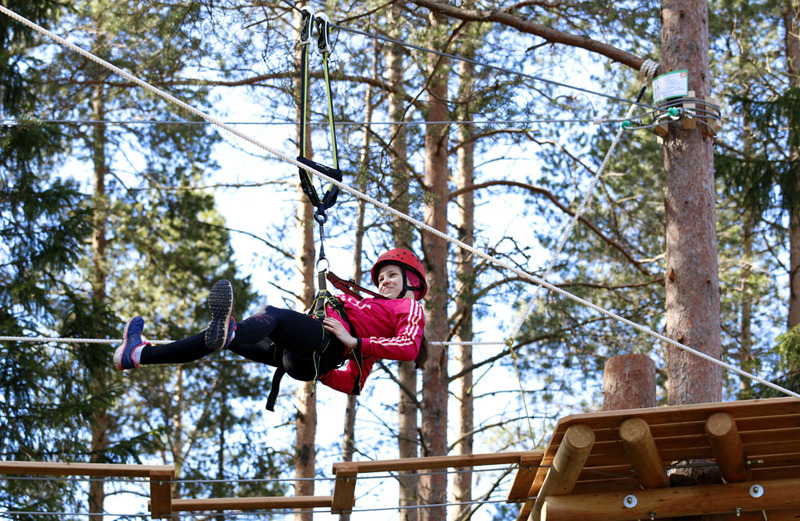 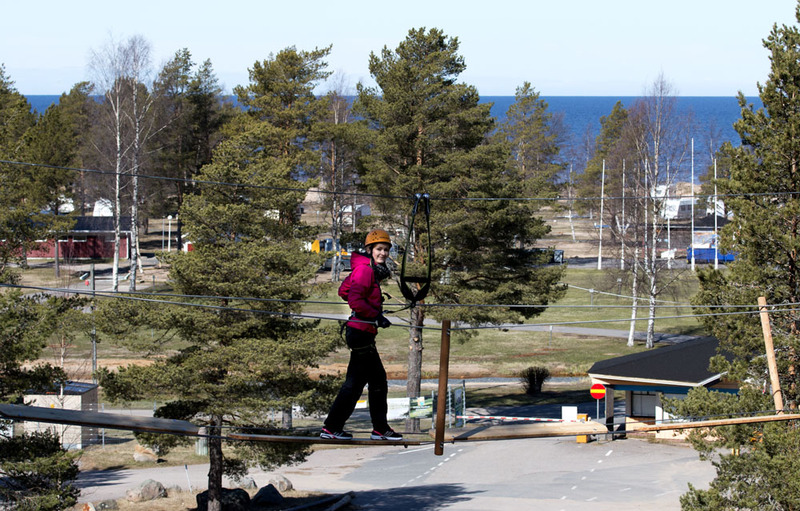 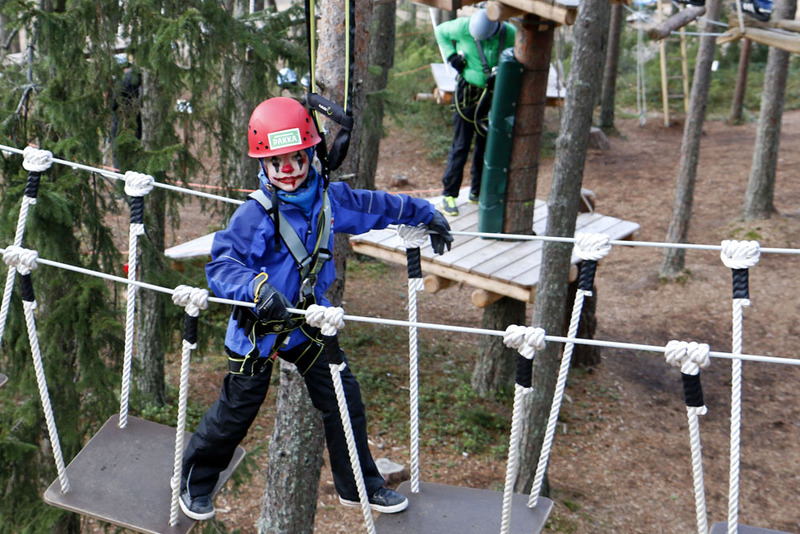 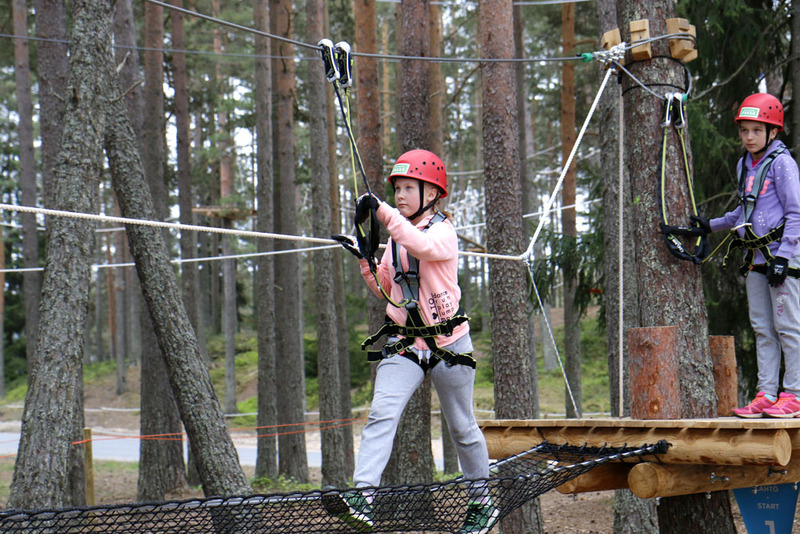 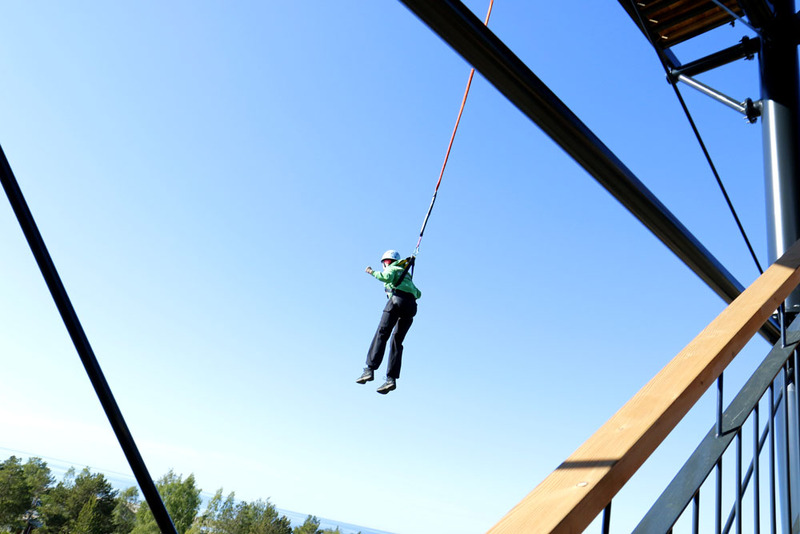 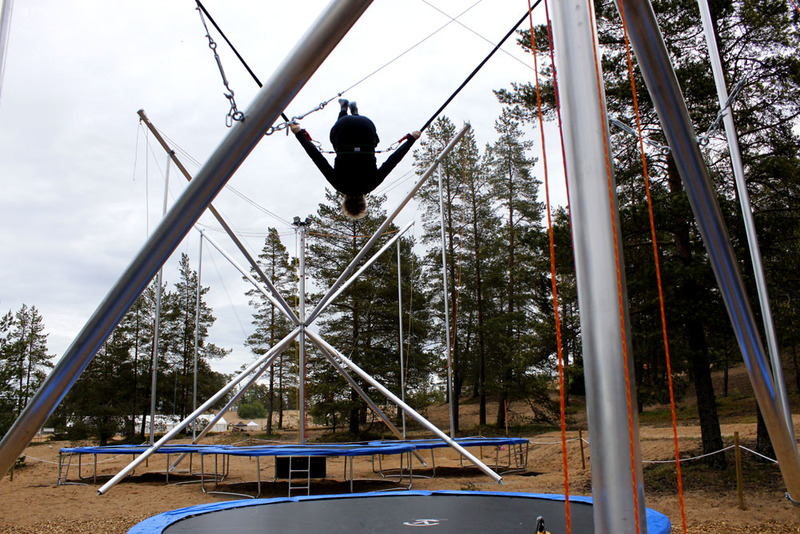 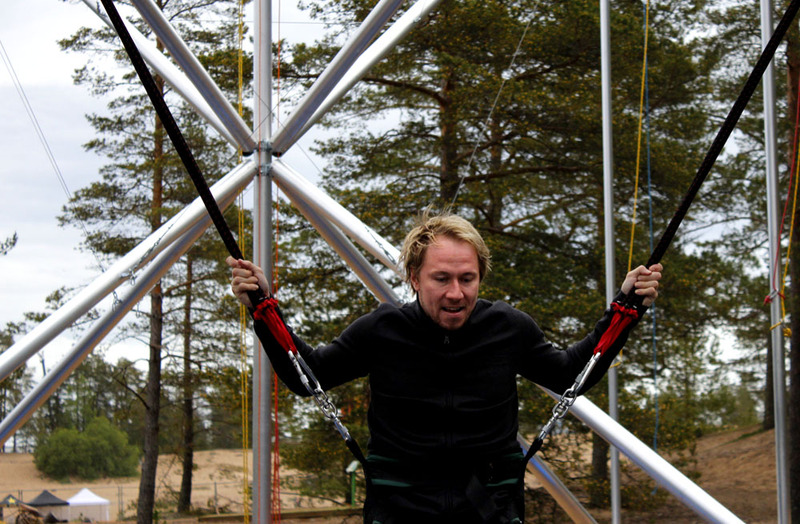 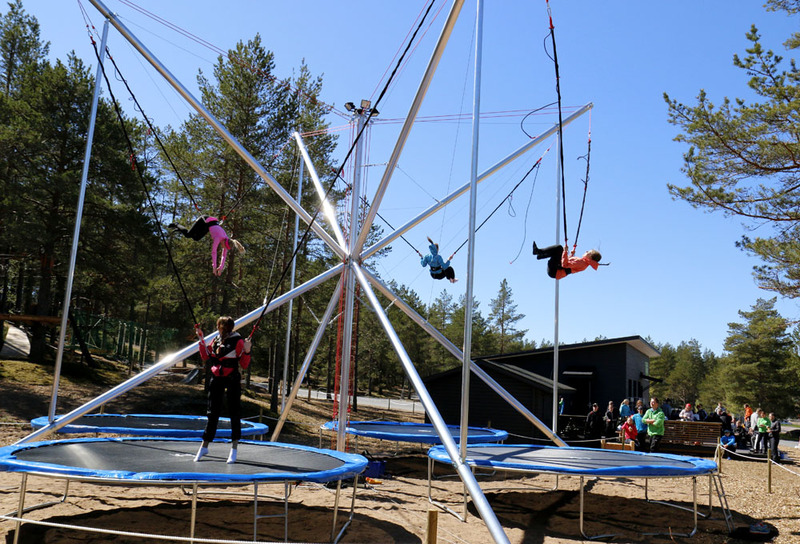 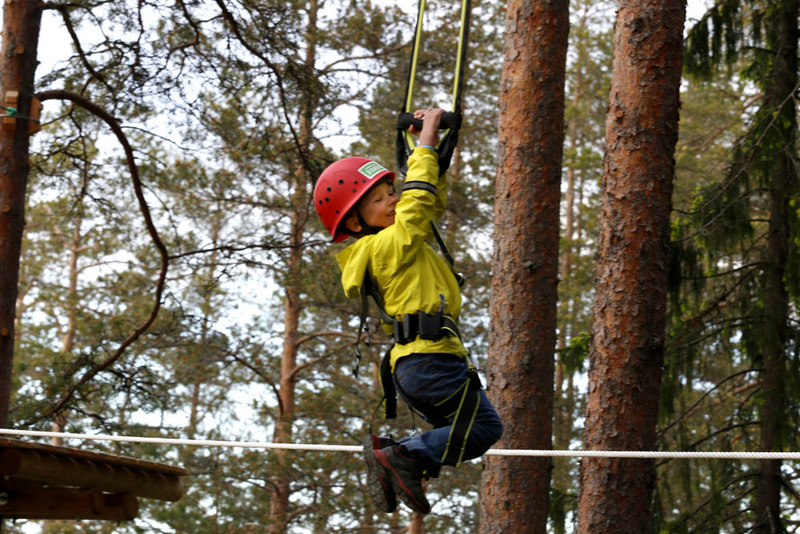 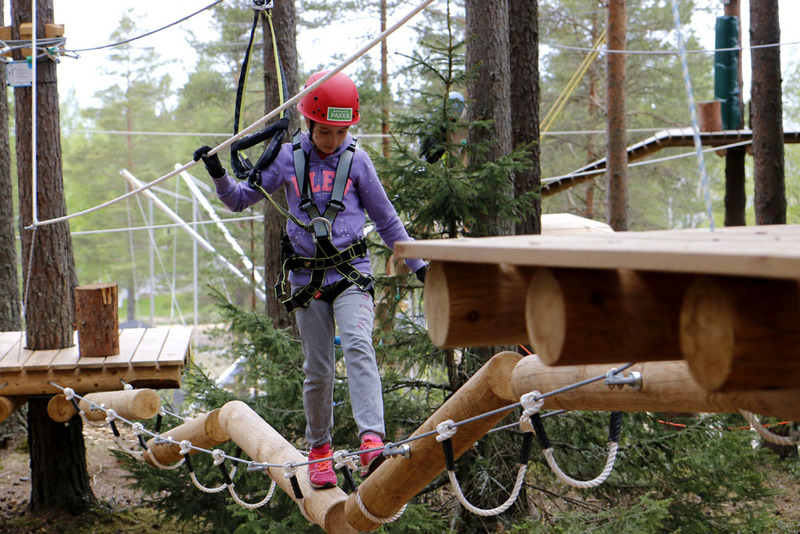 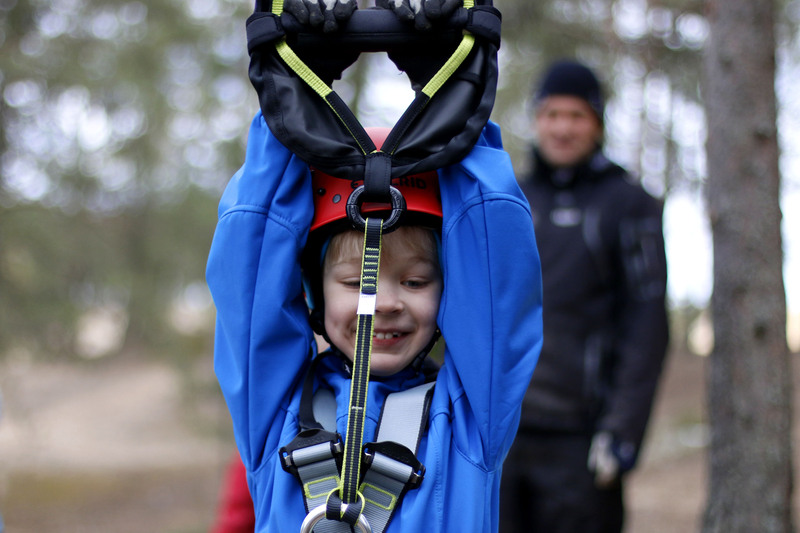 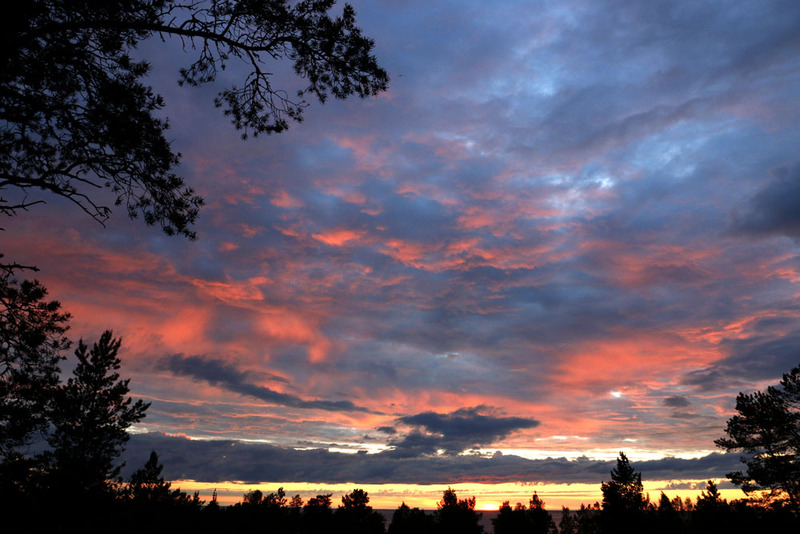 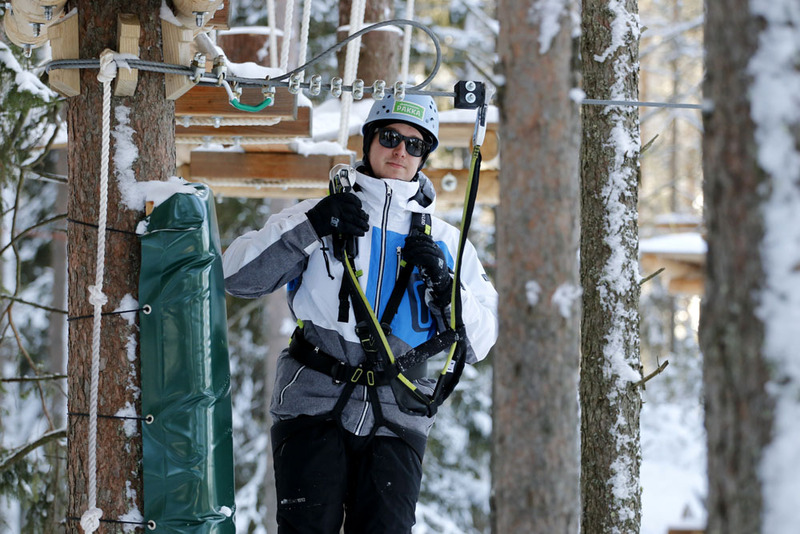 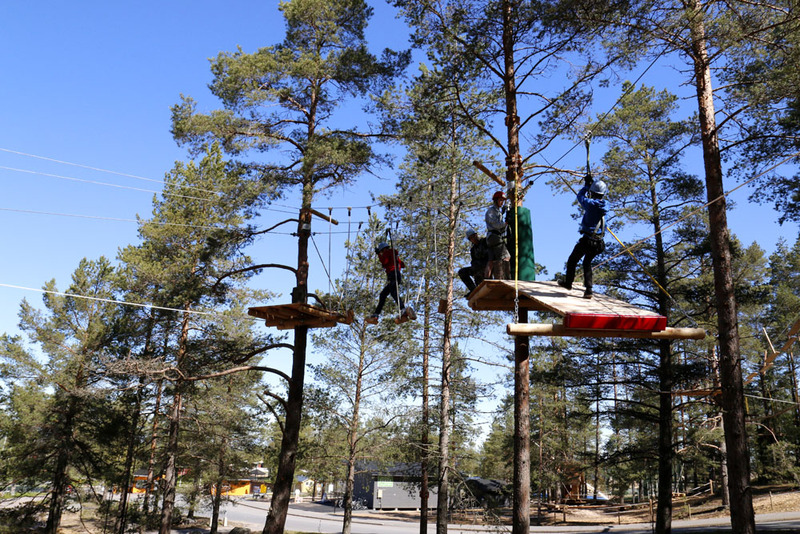 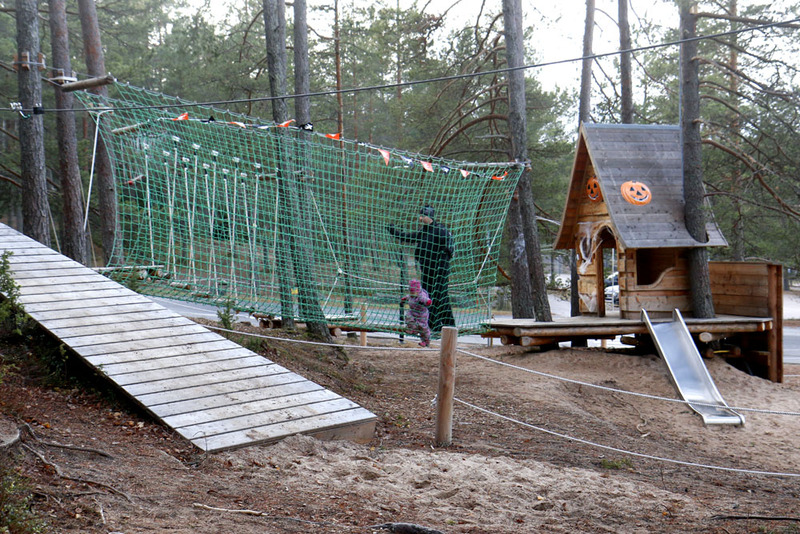 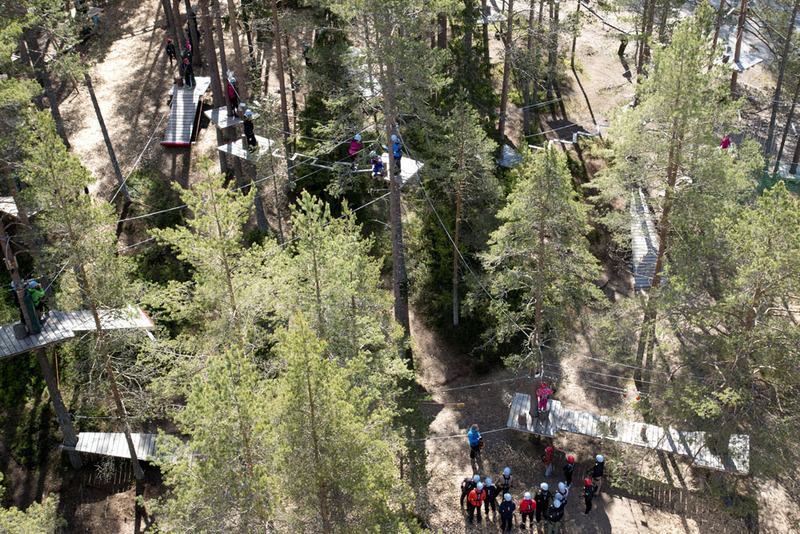 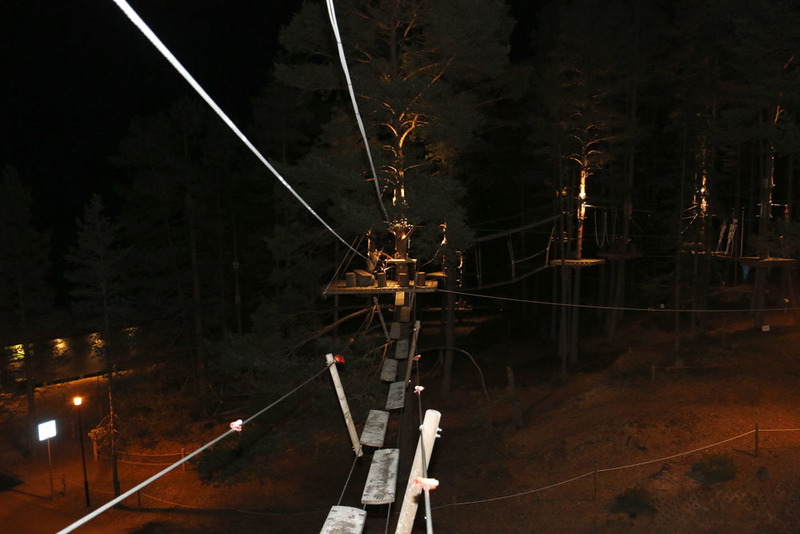 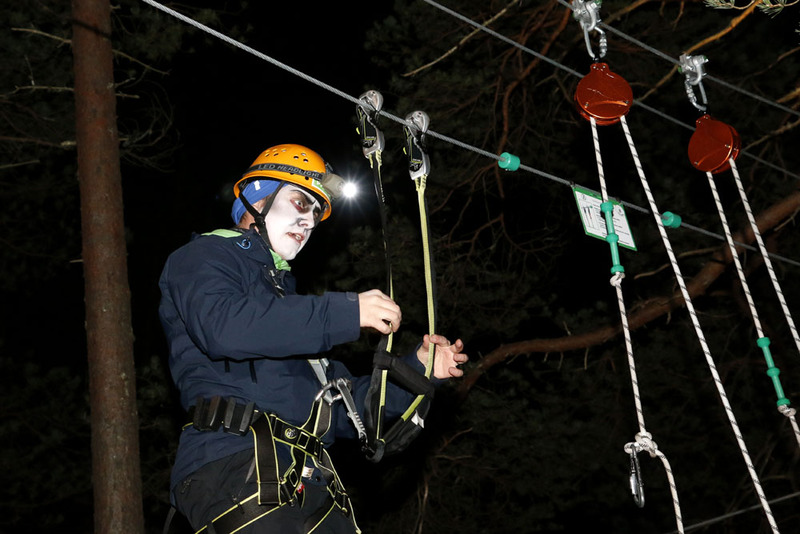 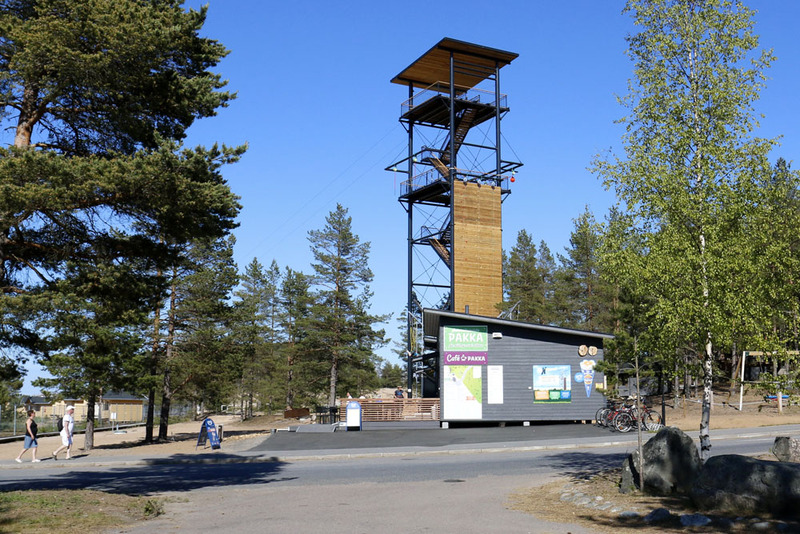 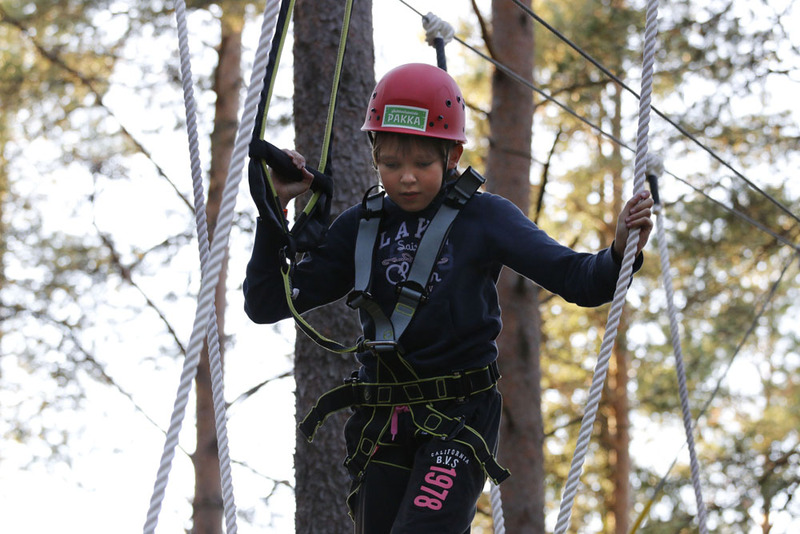 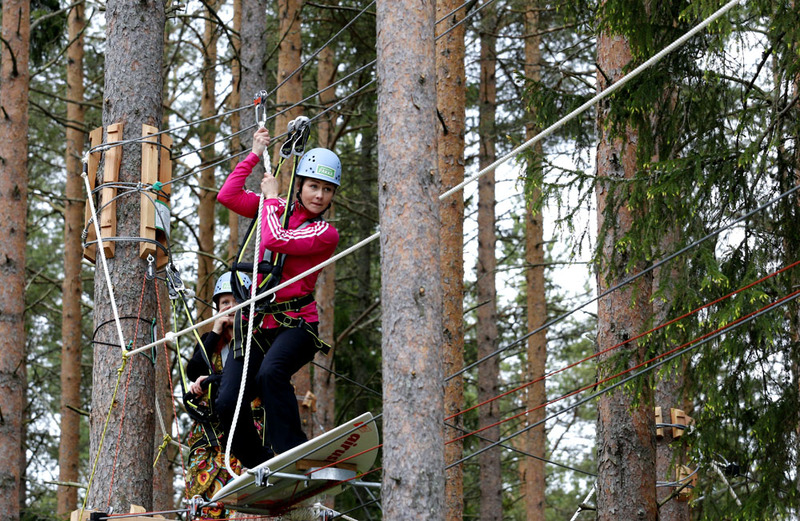 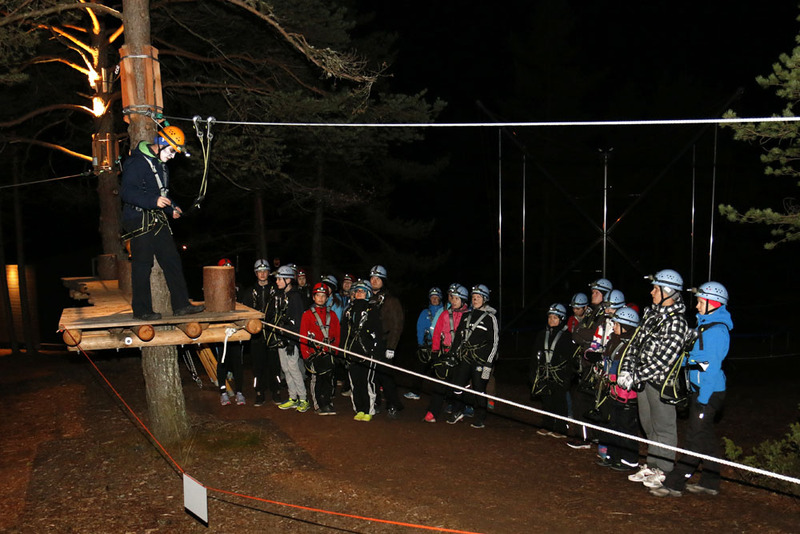 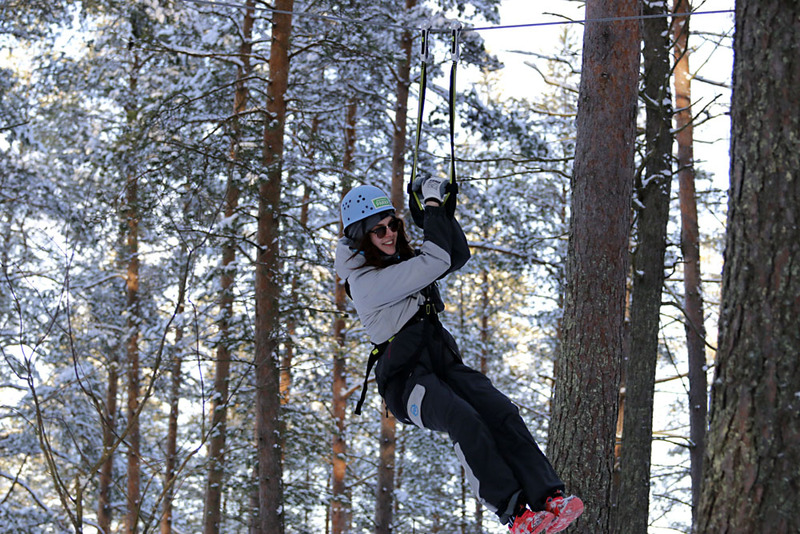 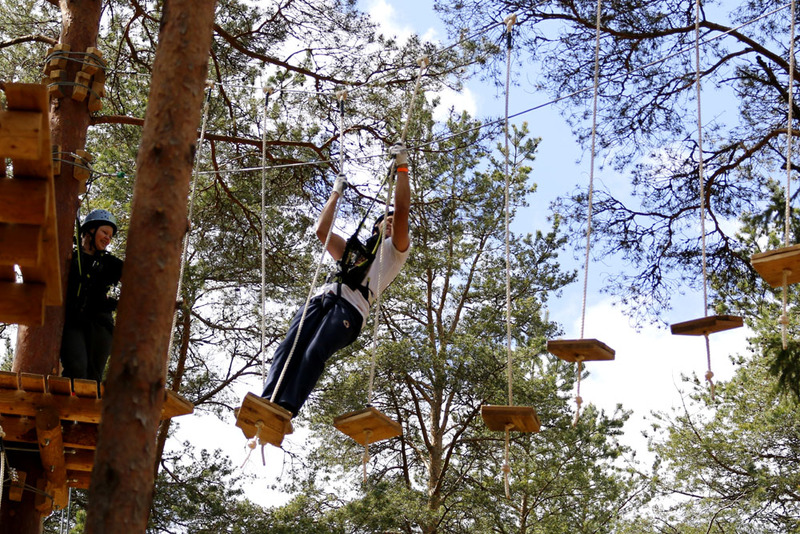 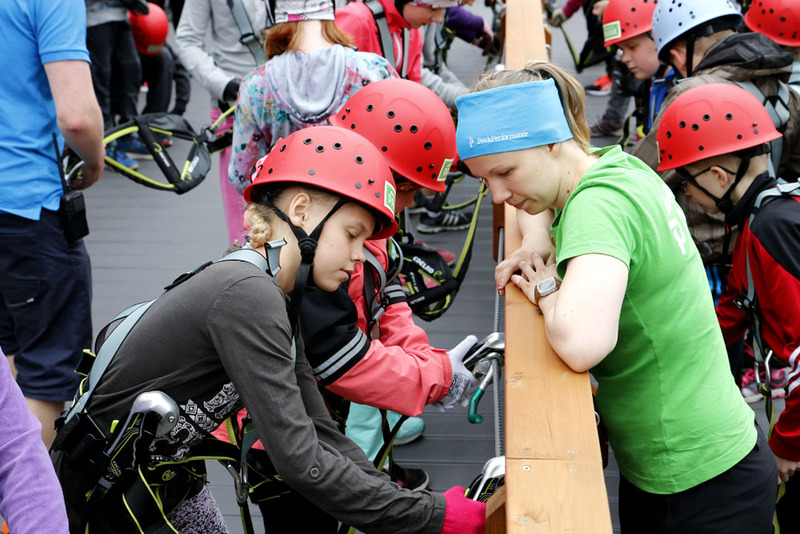 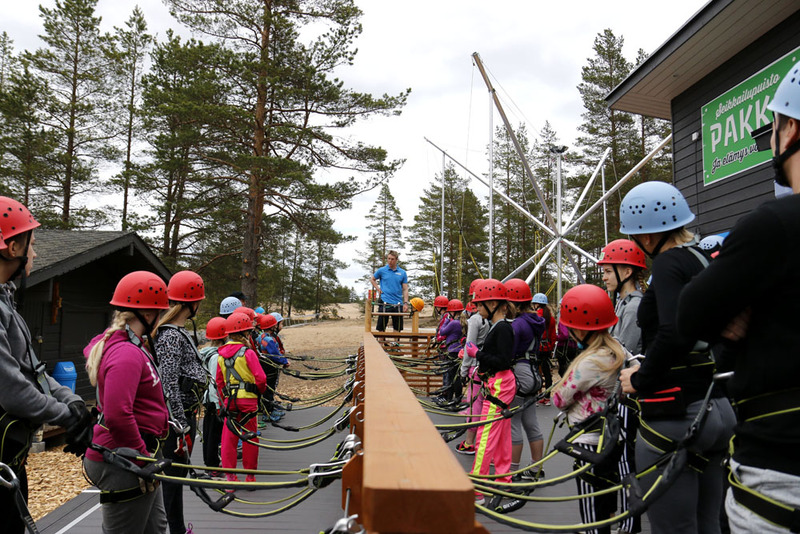 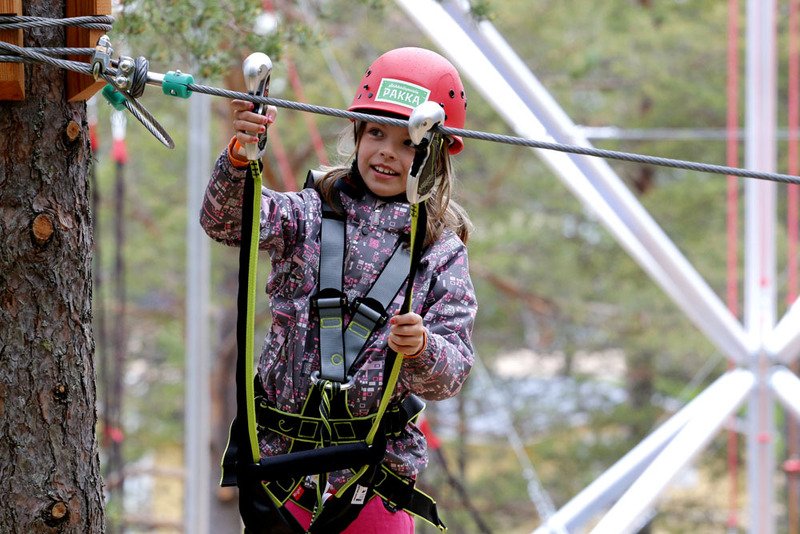 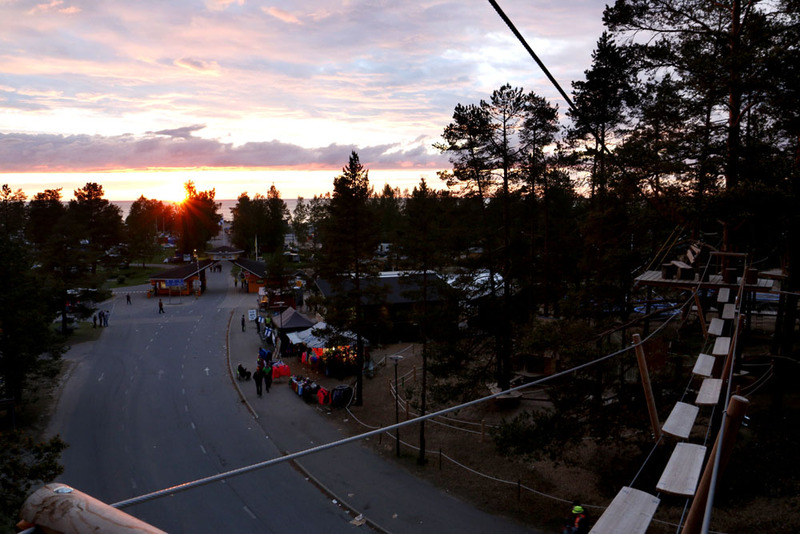 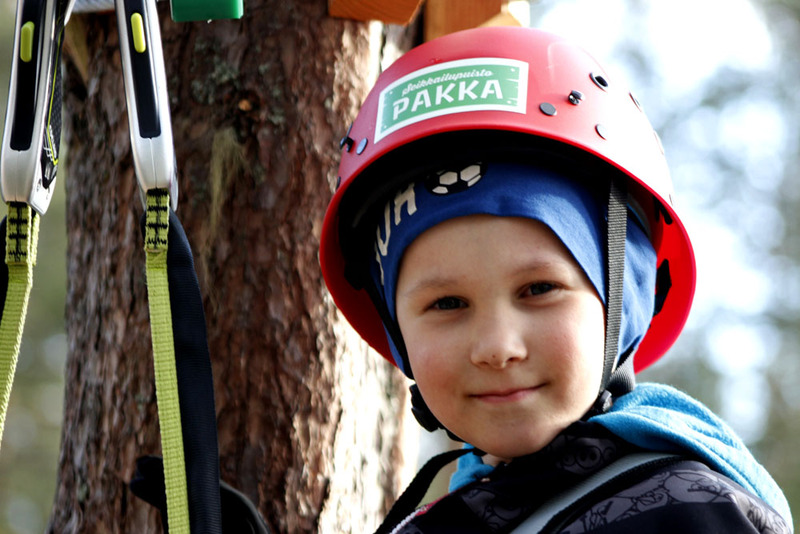 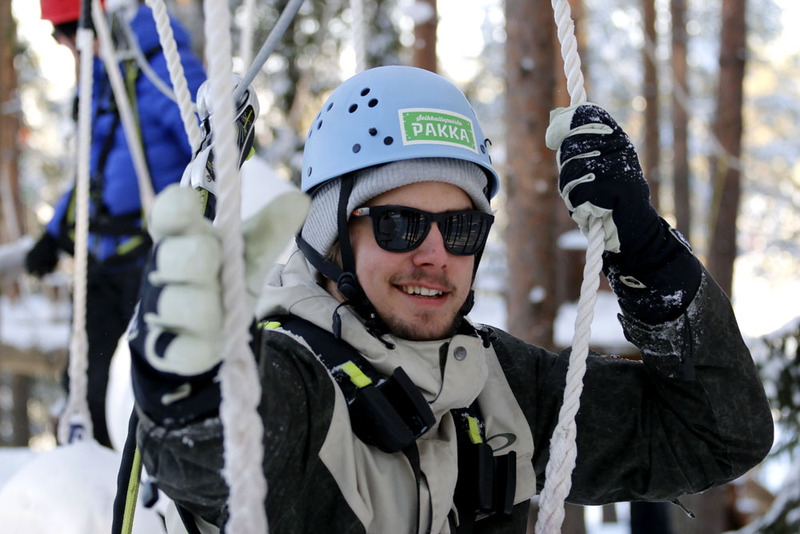 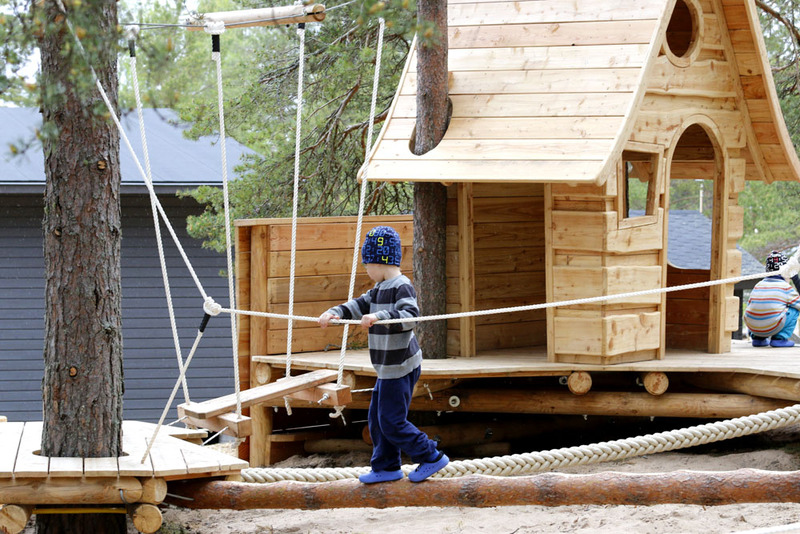 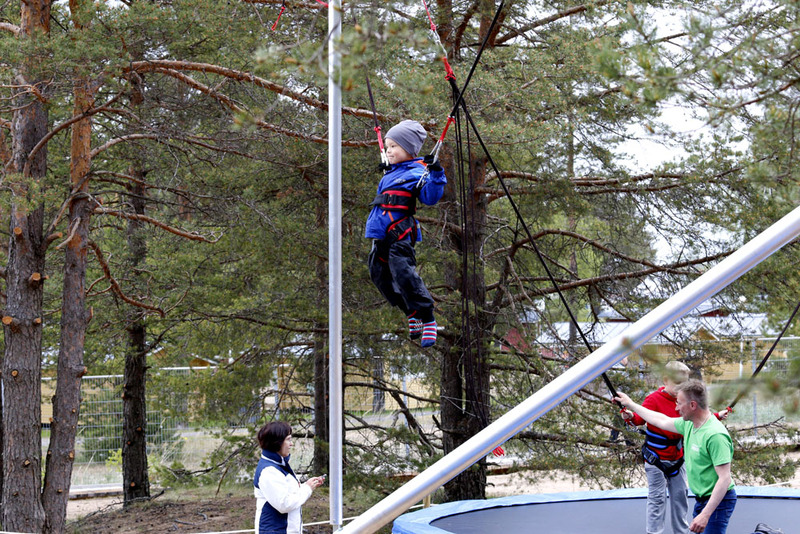 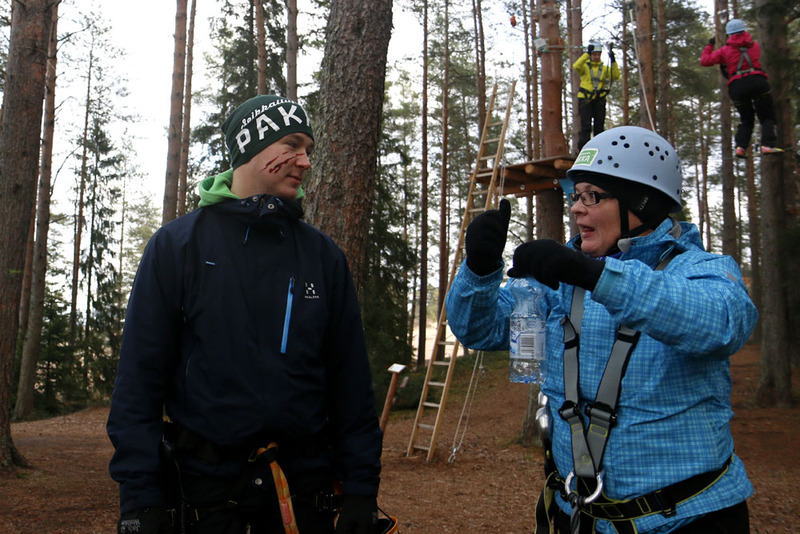 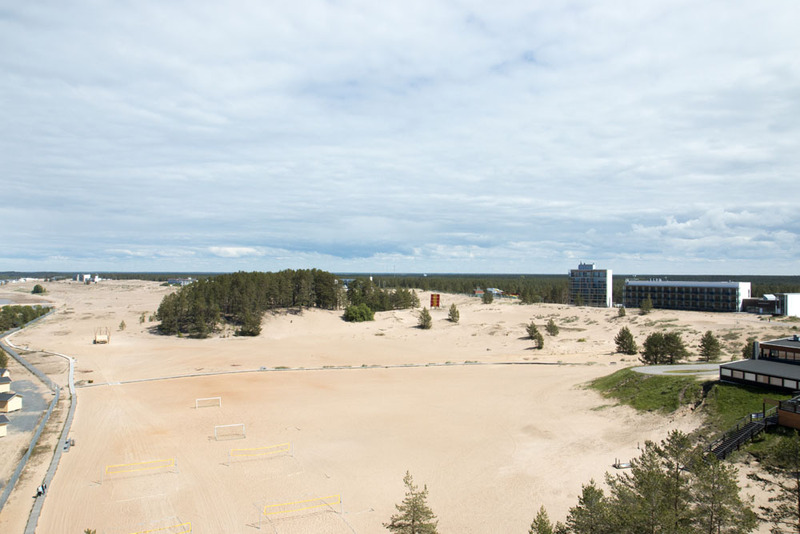 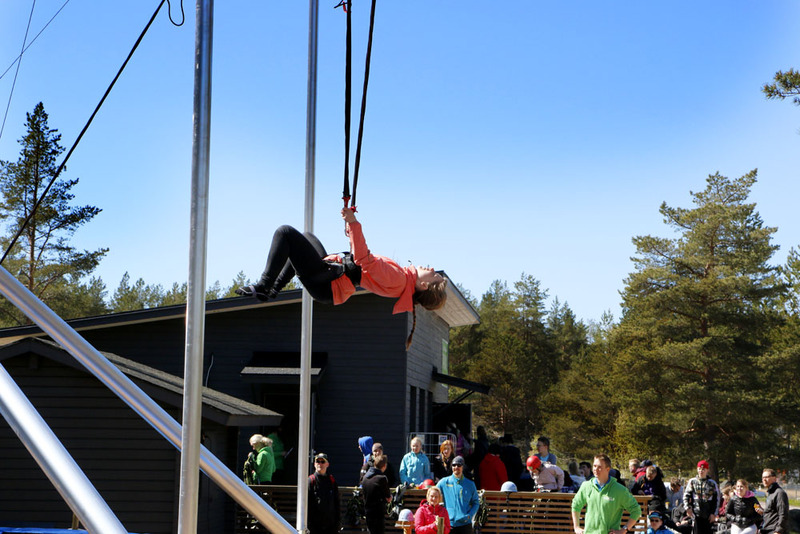 This adventure tower takes you to the height of 32 metres to marvel at a terrific view over the Kalajoki Sand Dunes and there’s plenty of time to take in the scenery during the 330 metres long zipline that starts at the top. 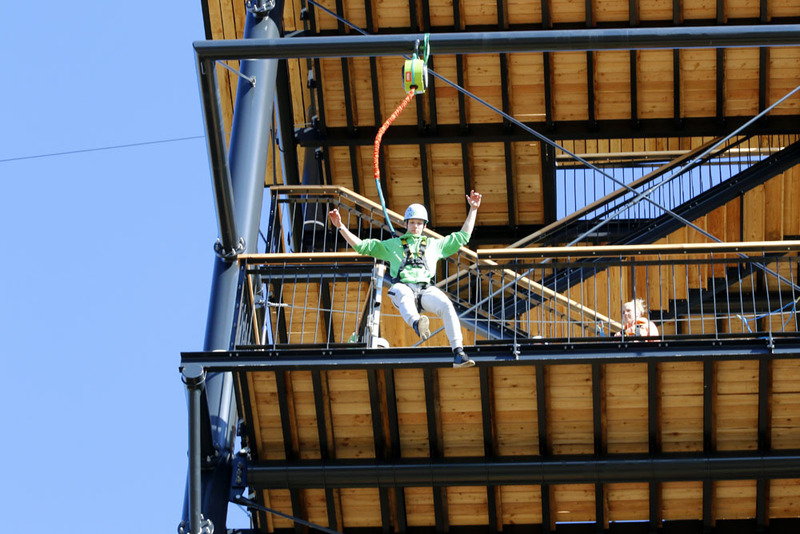 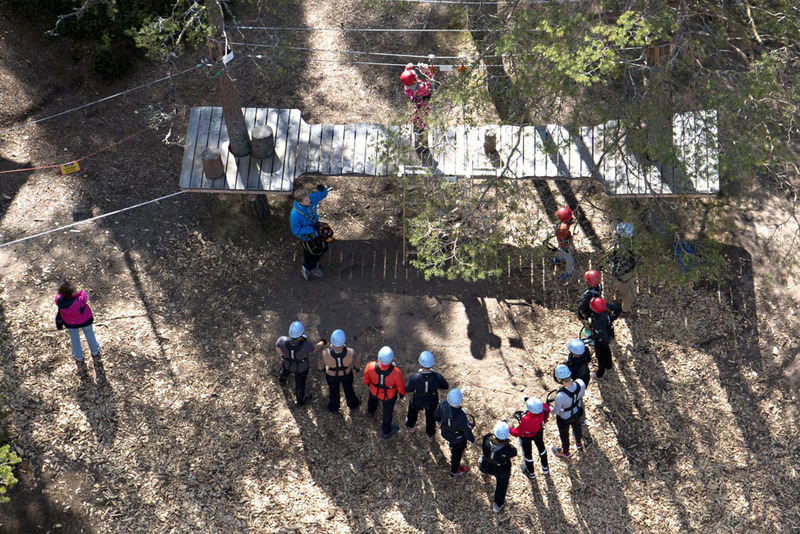 The X-Tower’s Freefall and Leap of Faith are wild and unforgettable extreme experiences. 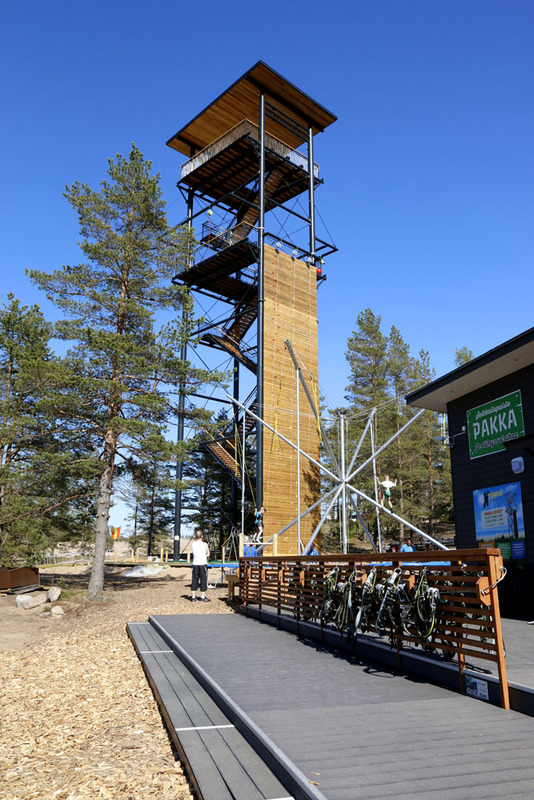 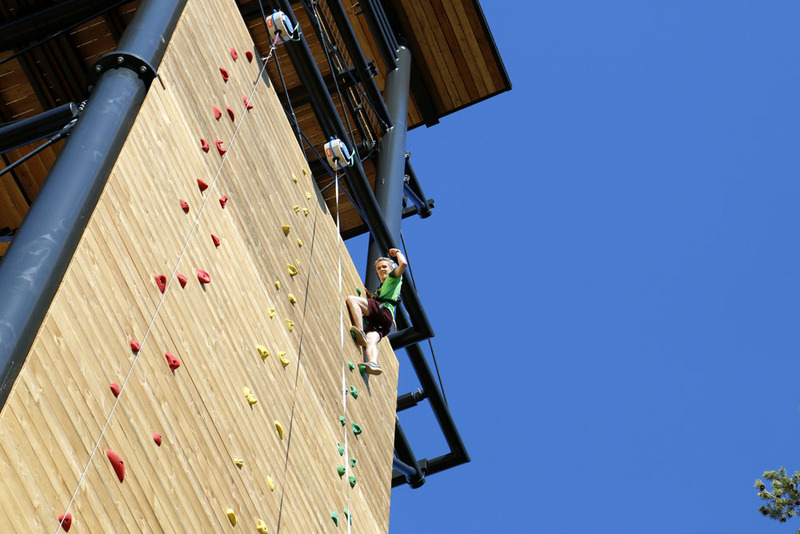 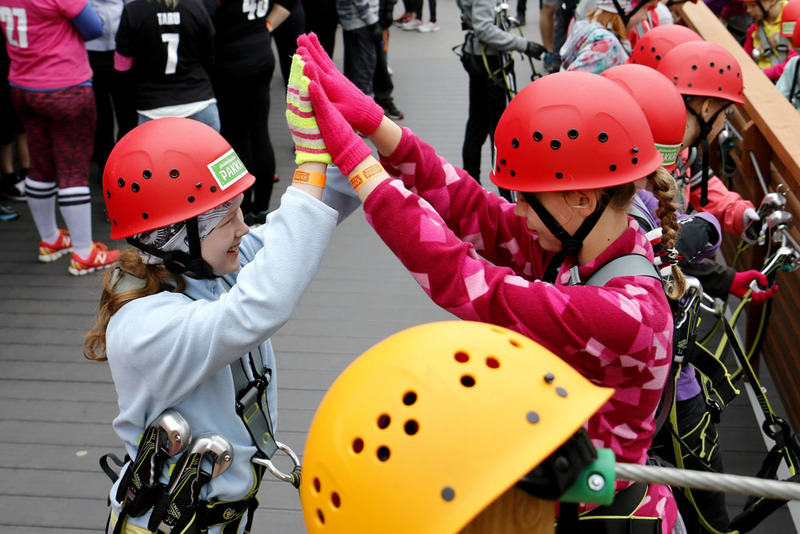 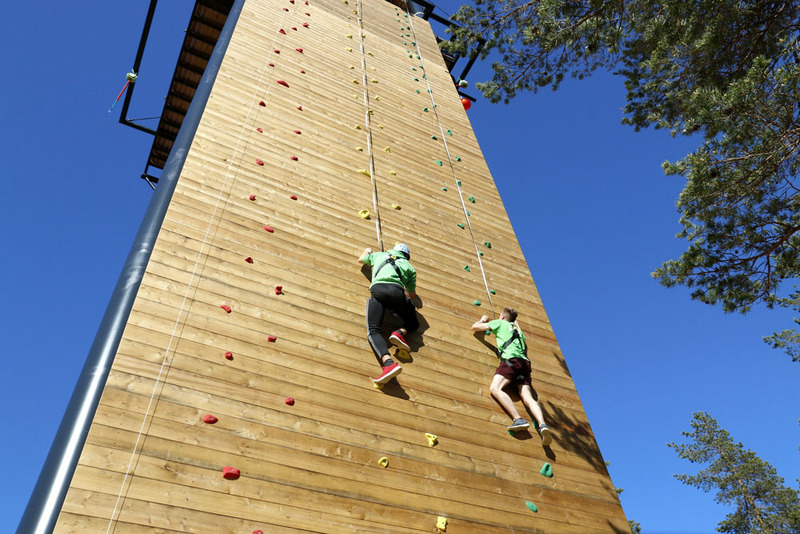 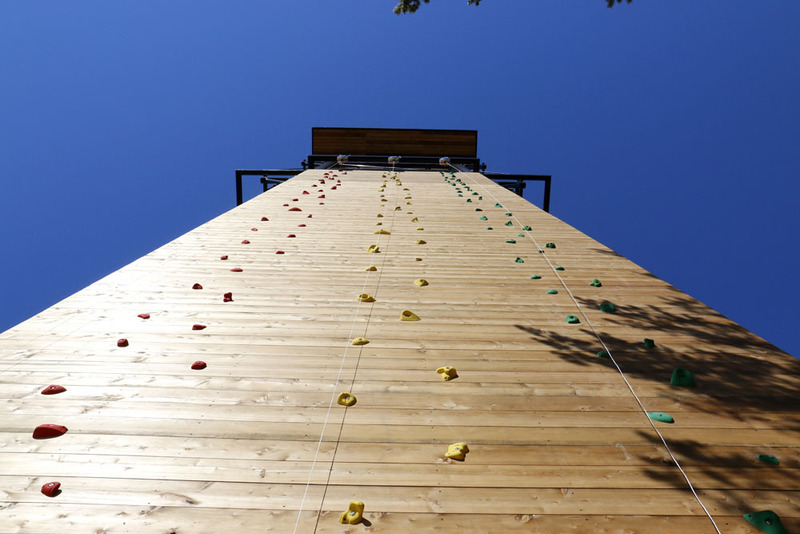 The climbing wall on the tower’s side allows you to test your skills on three different routes with different difficulty levels. 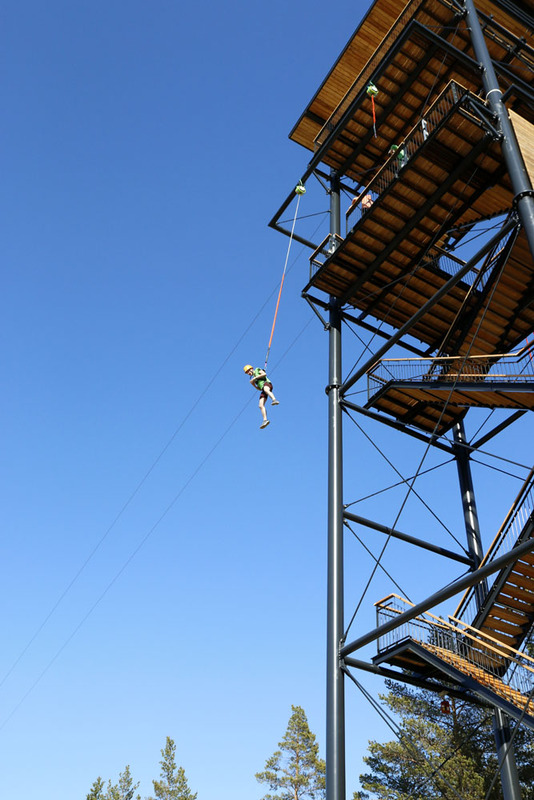 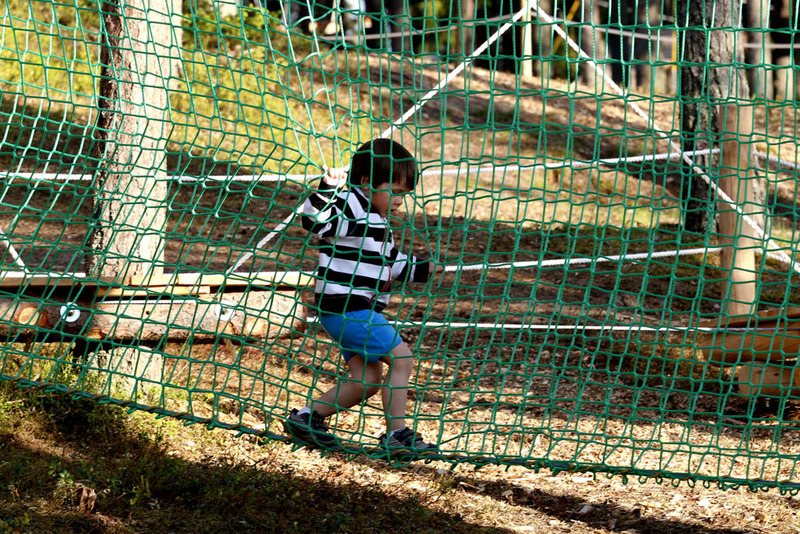 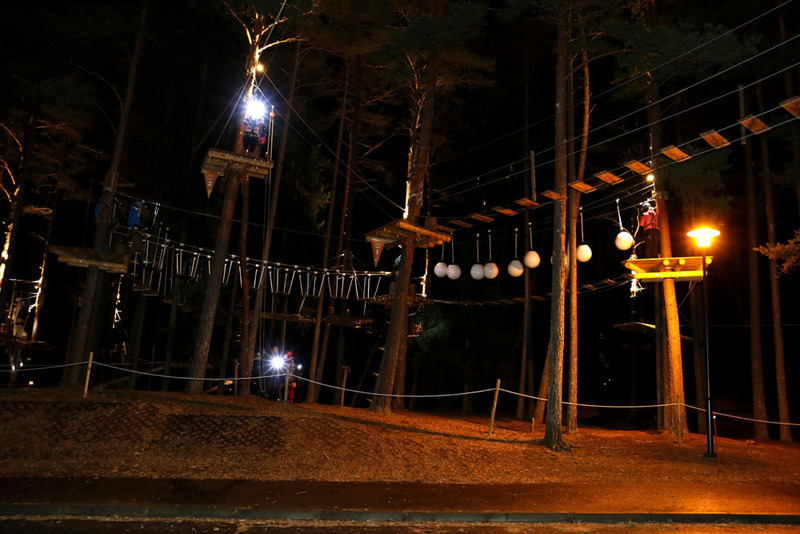 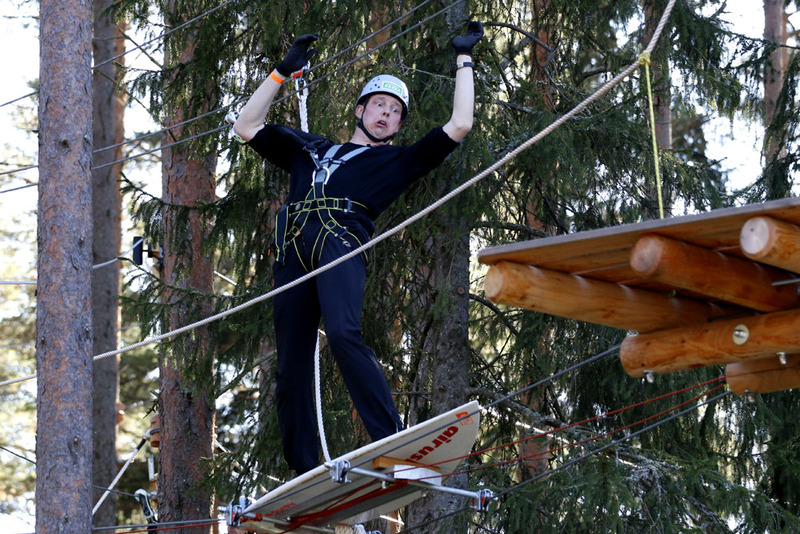 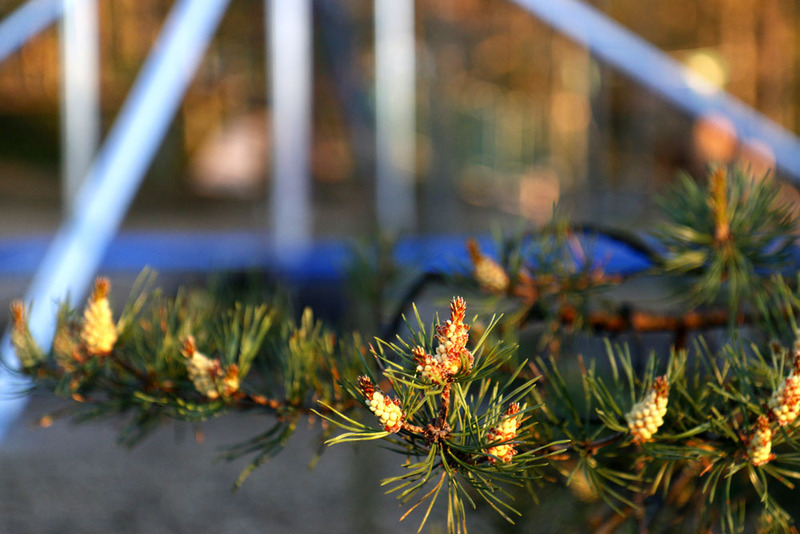 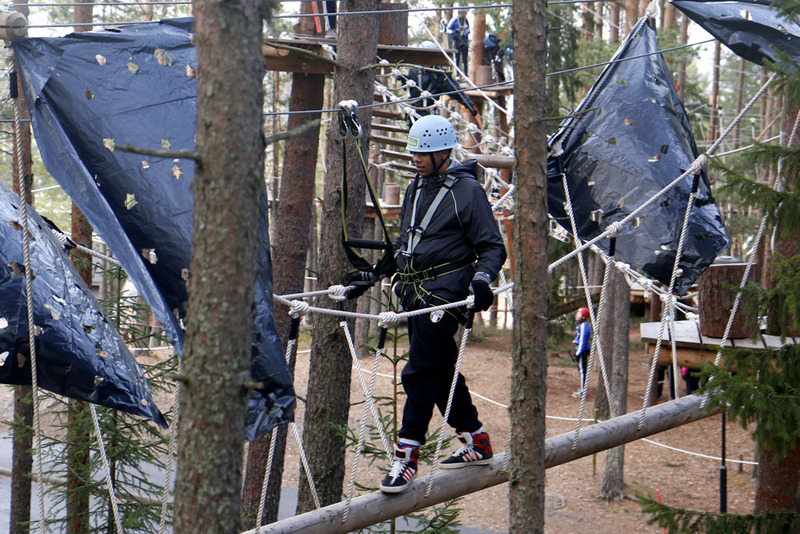 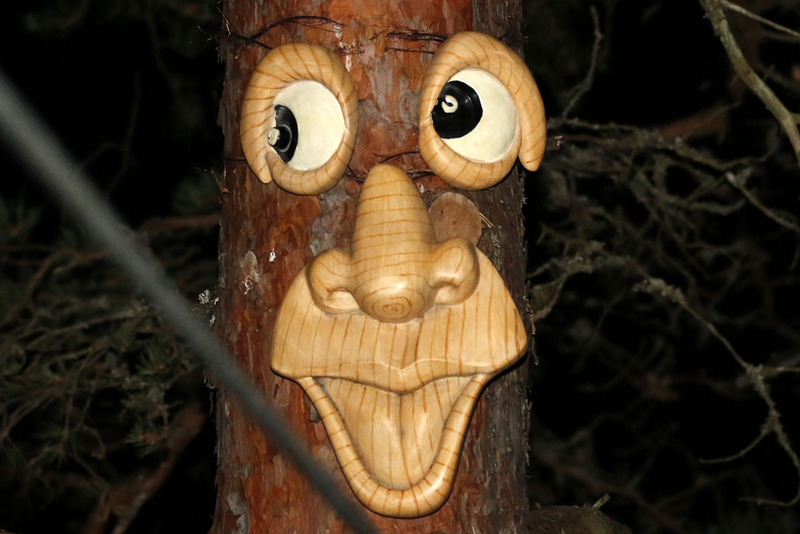 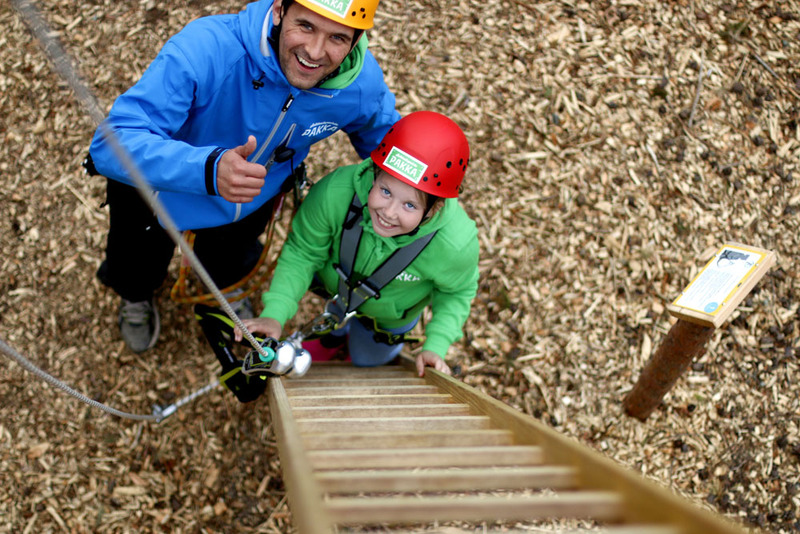 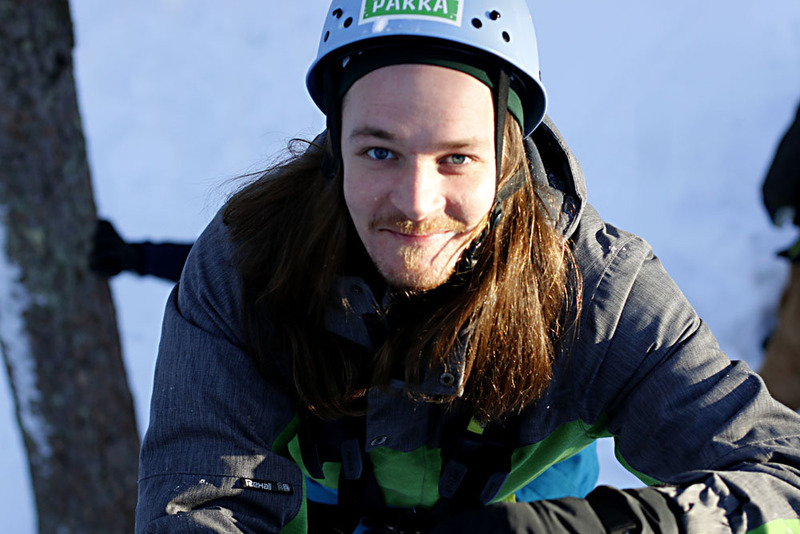 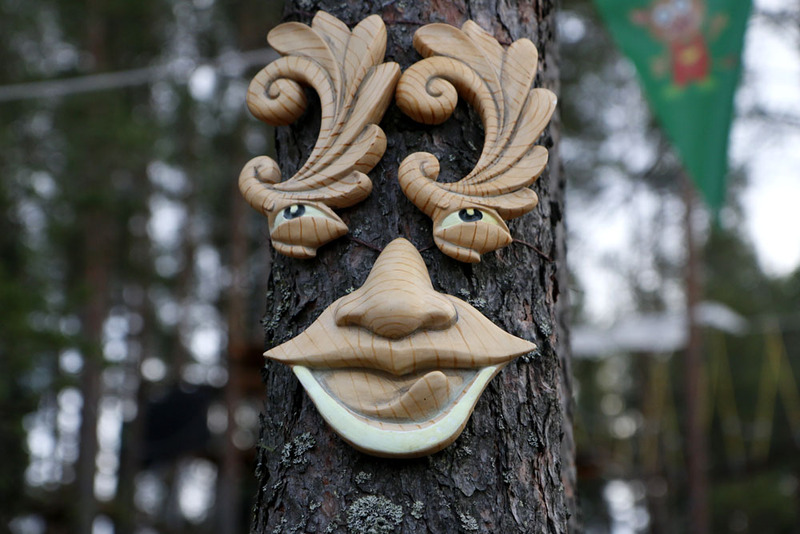 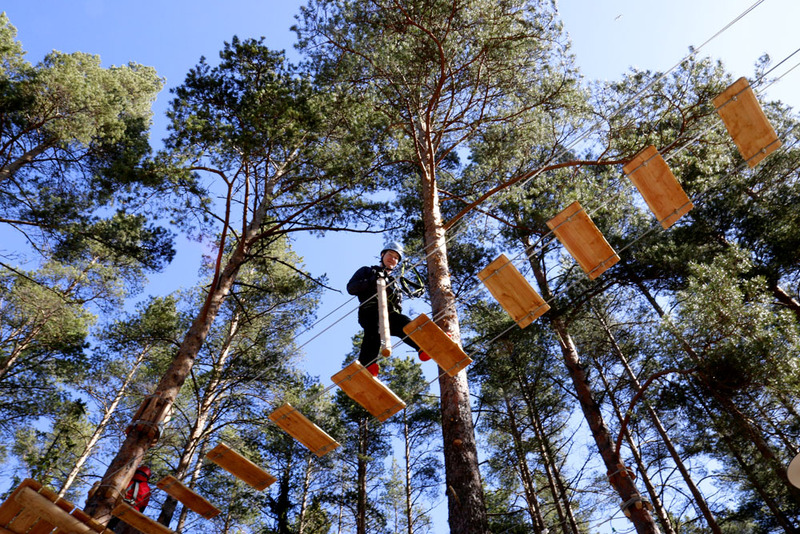 Busy days of adventuring have characterised the spring of 2016 at the Pakka Adventure Park. 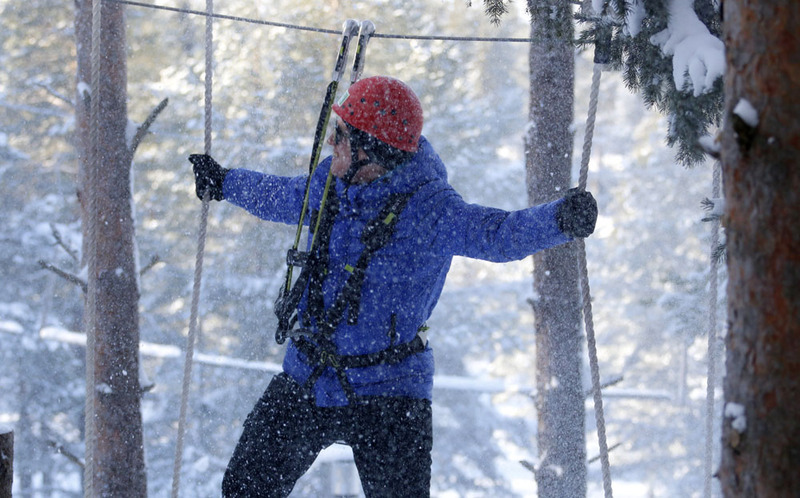 Winter adventuring is fun stuff indeed. 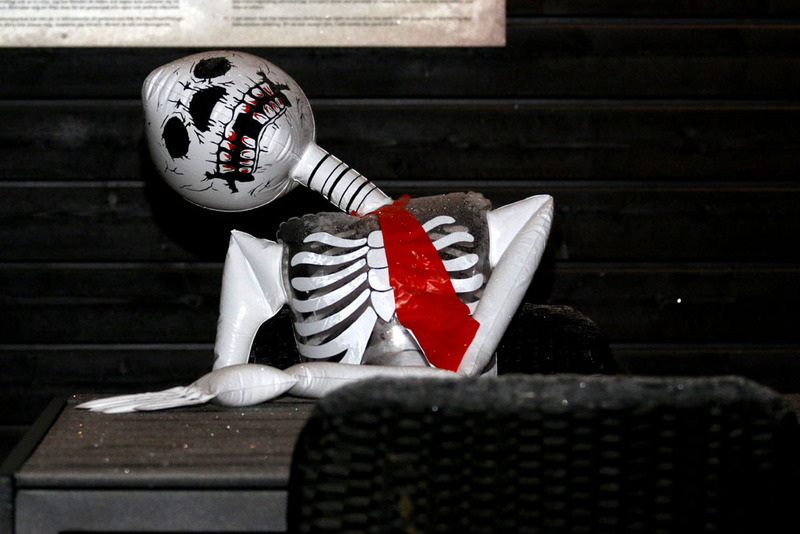 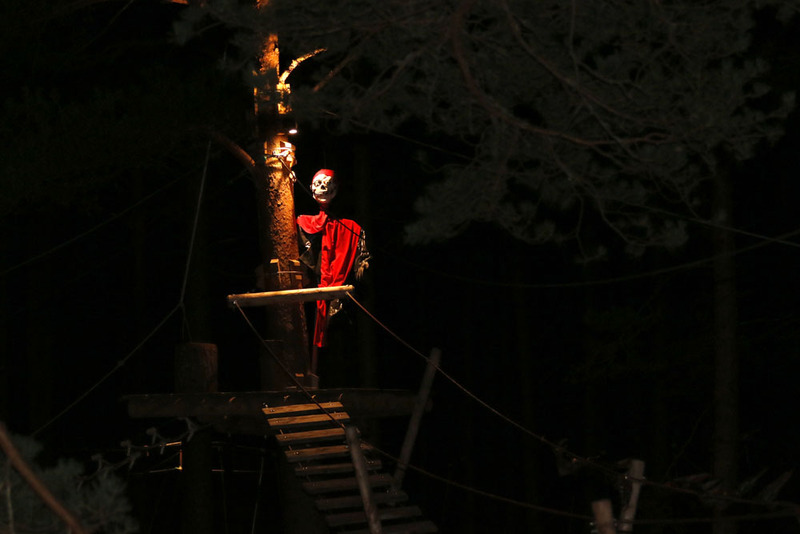 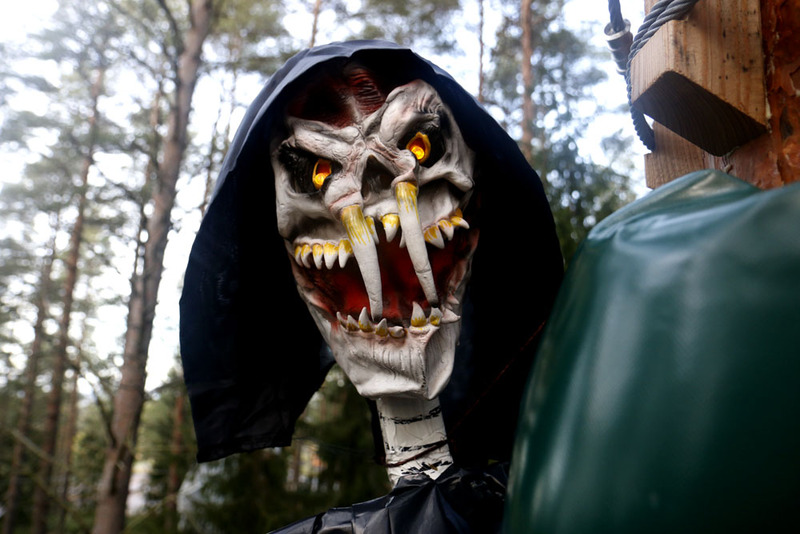 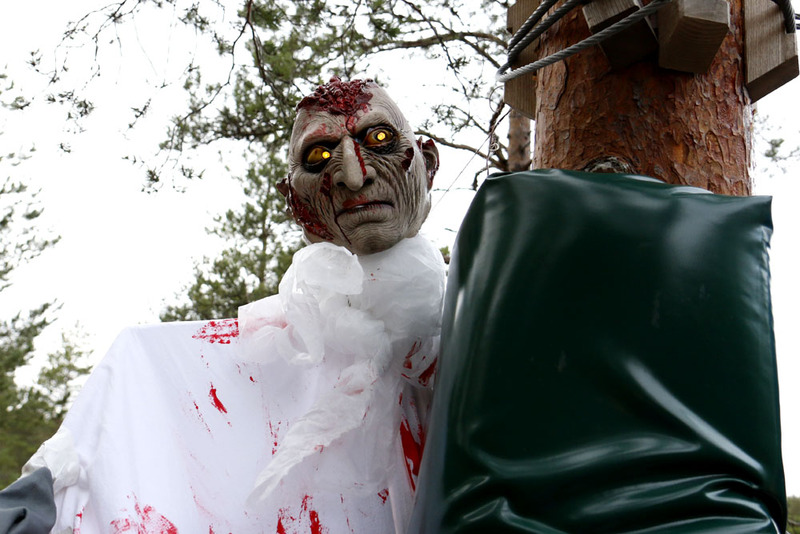 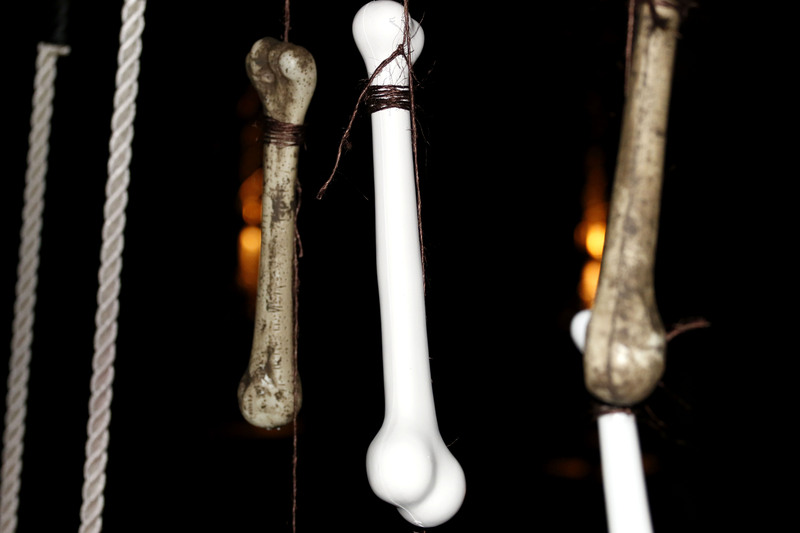 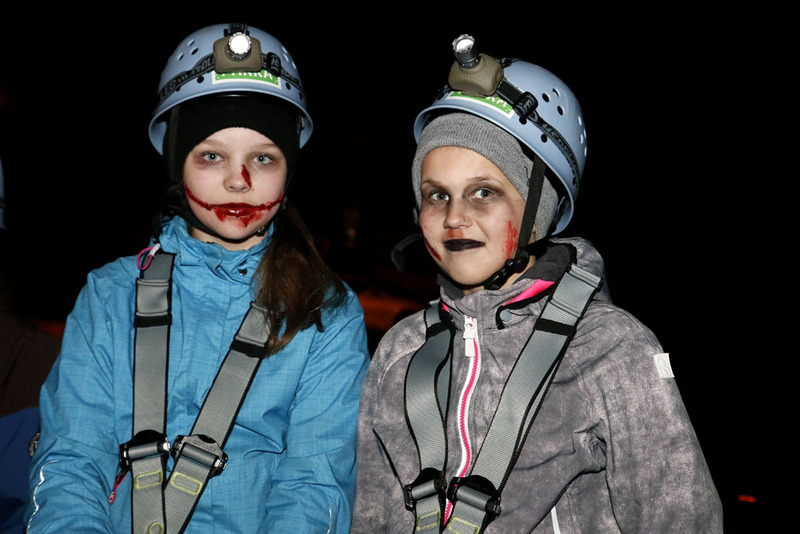 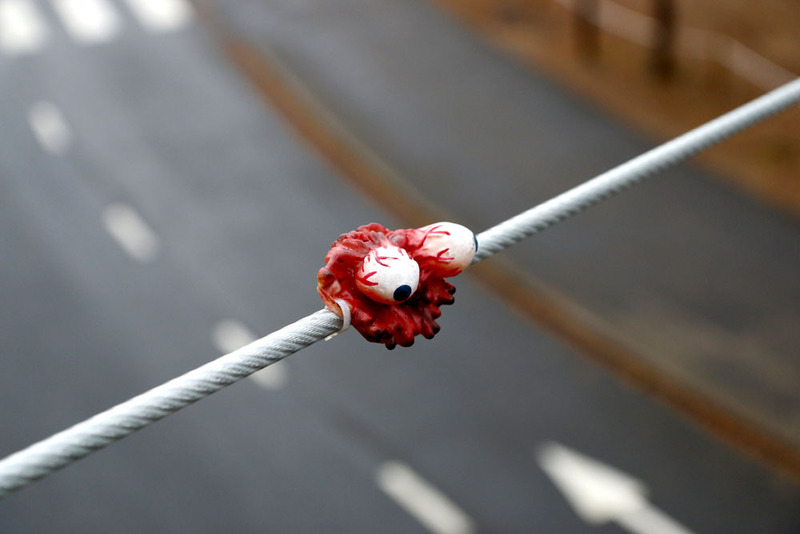 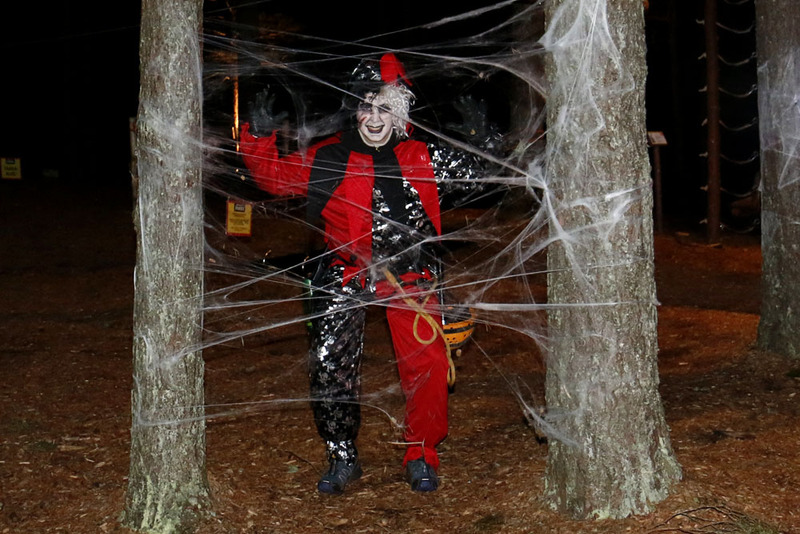 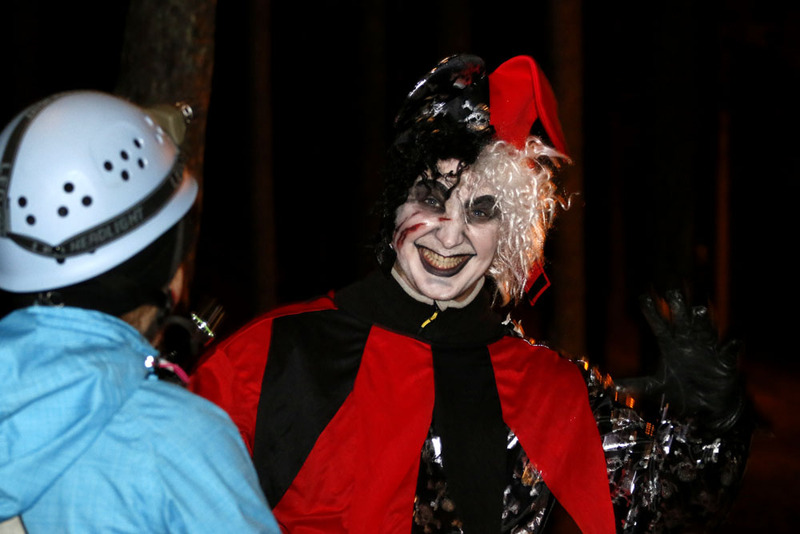 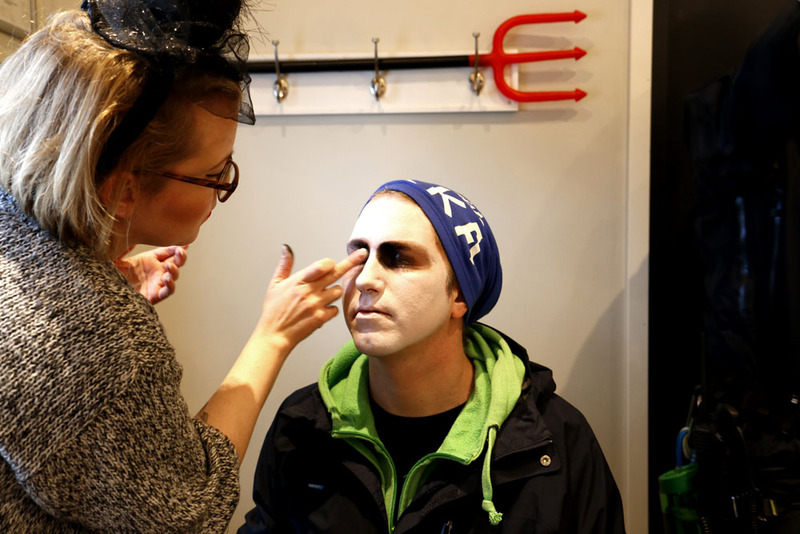 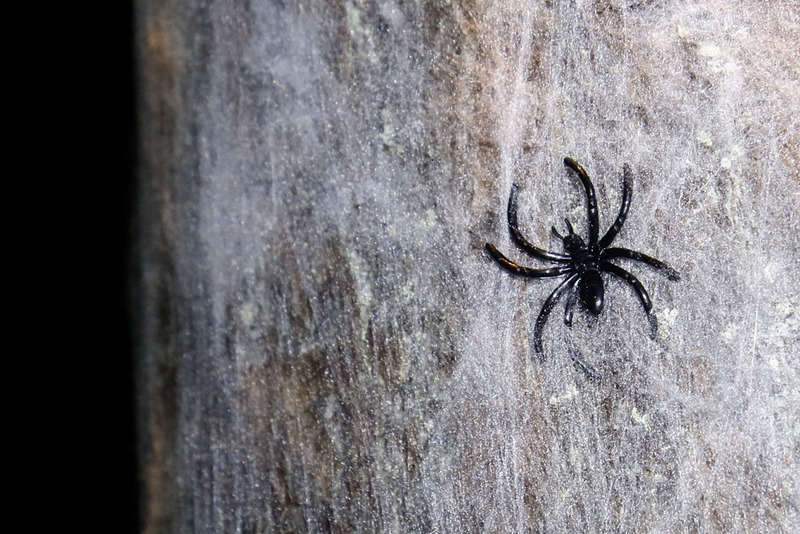 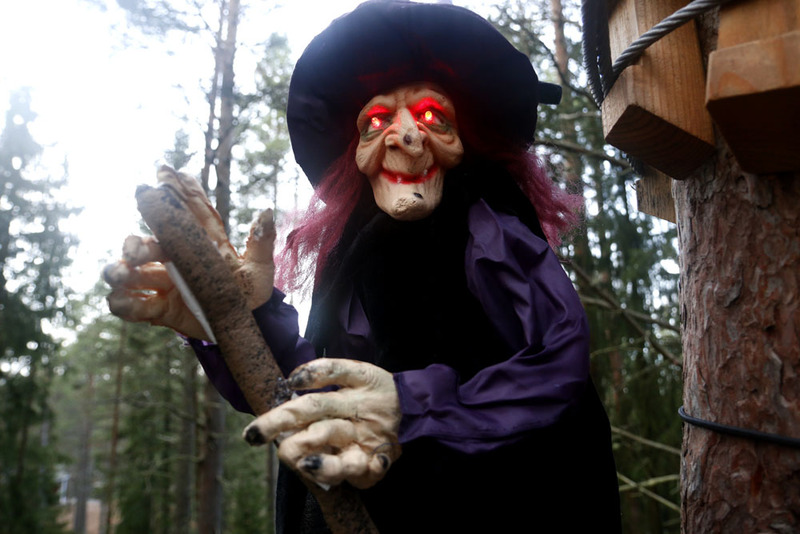 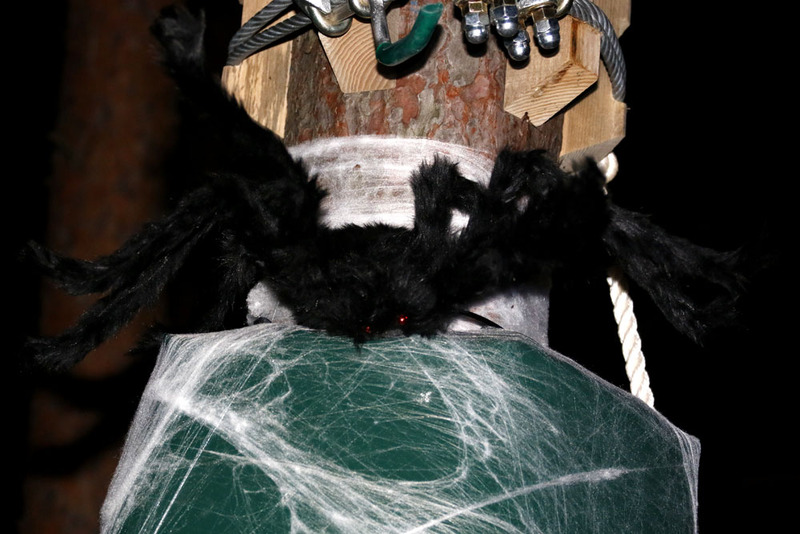 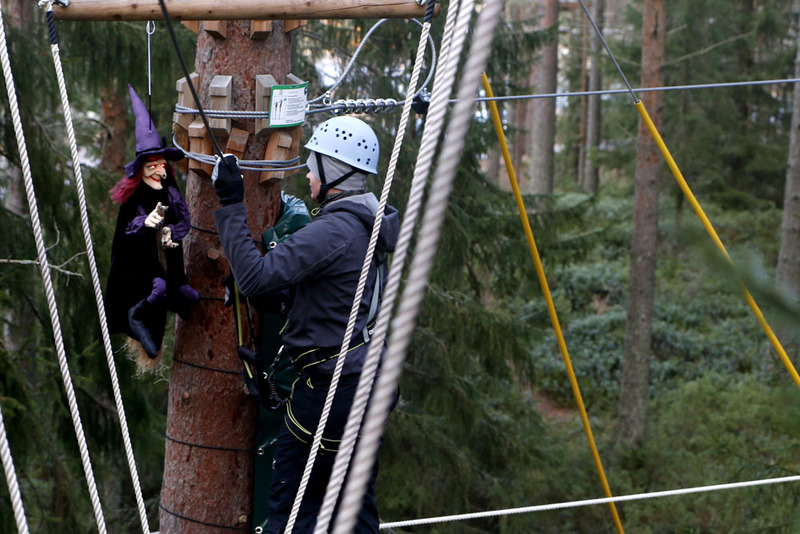 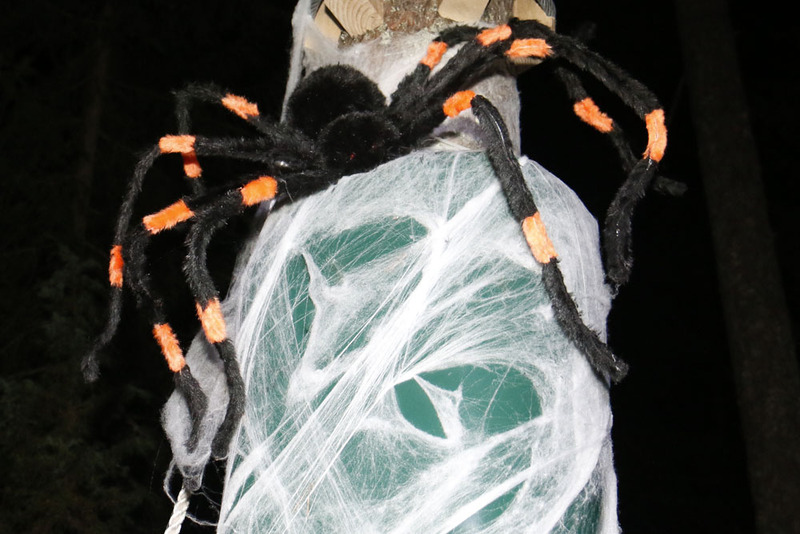 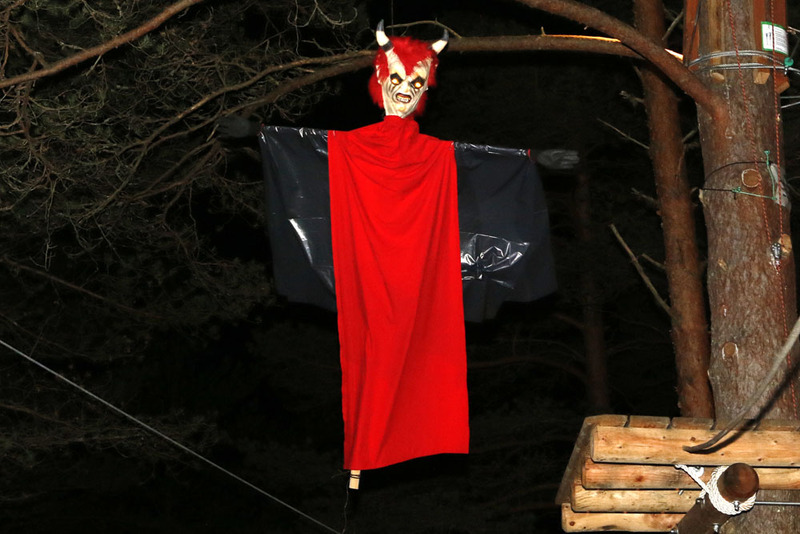 Halloween Adventures on 30 and 31 October. 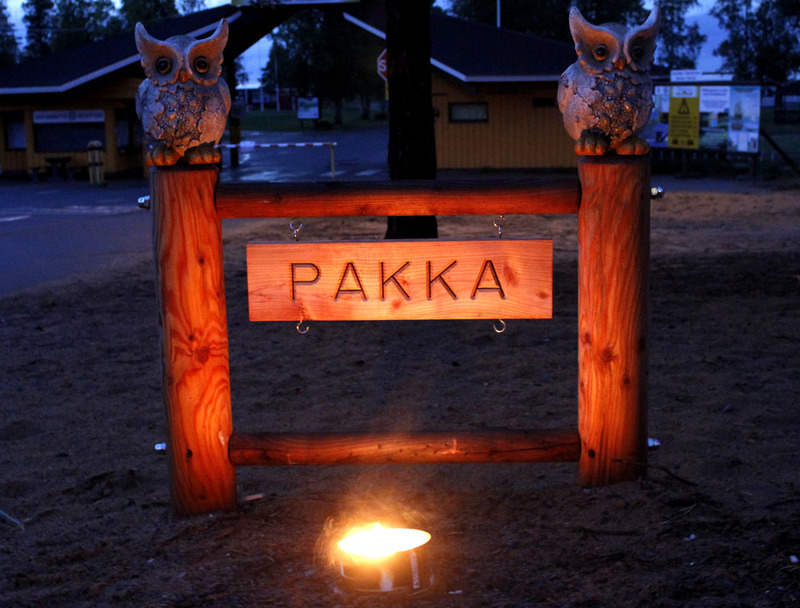 Jousipakka. 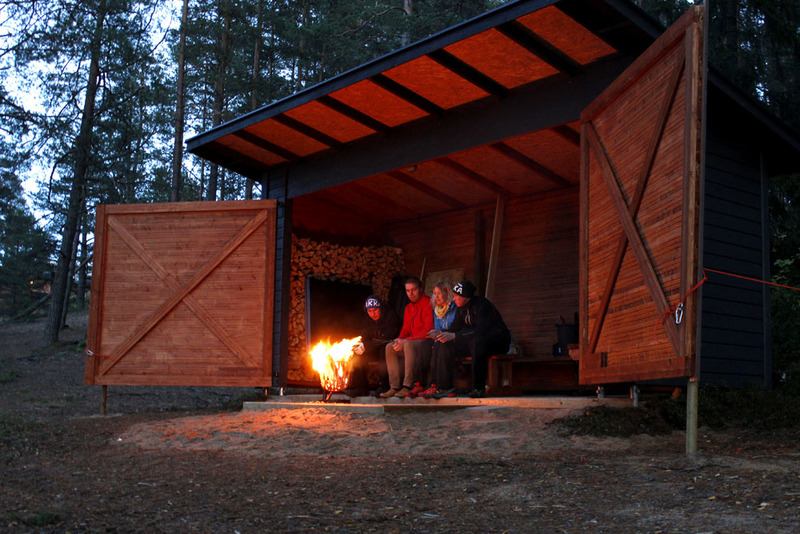 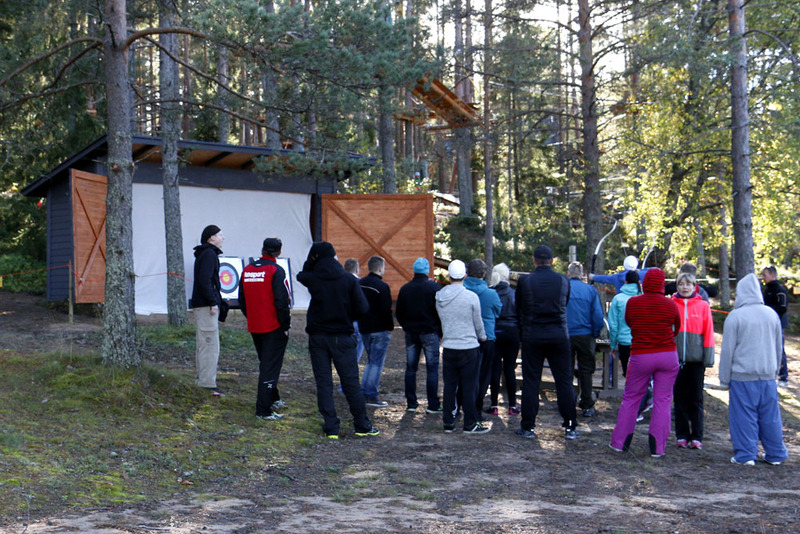 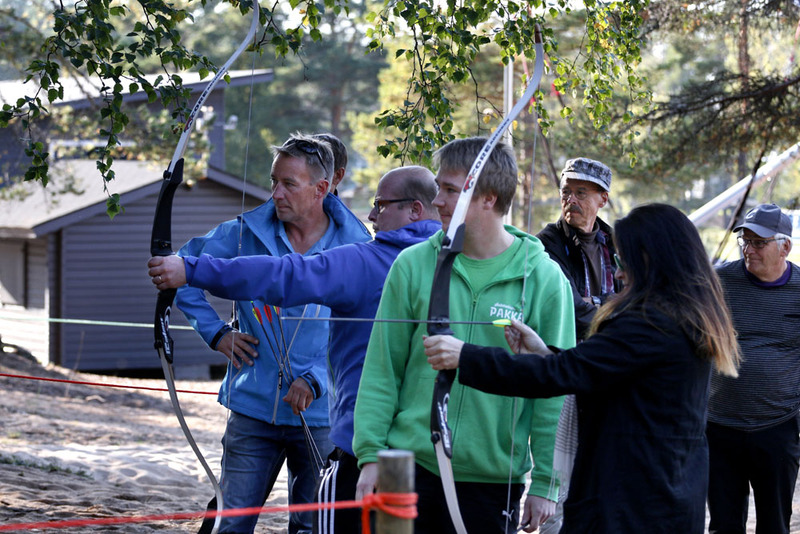 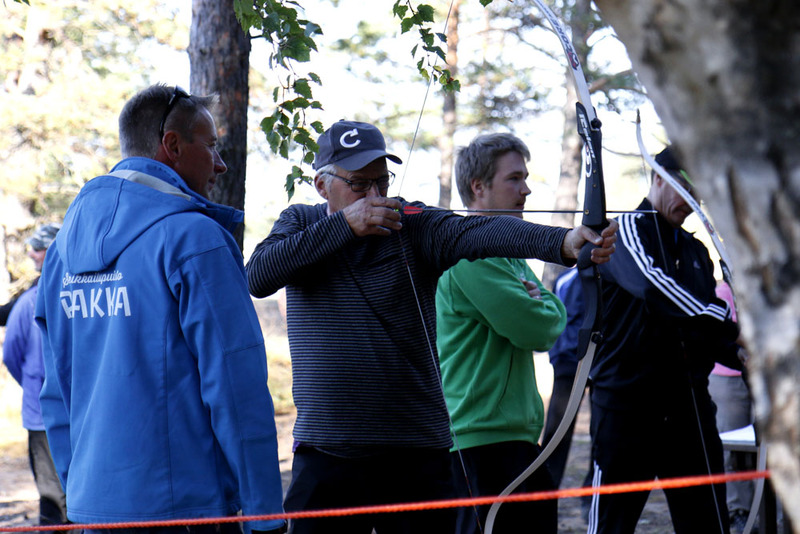 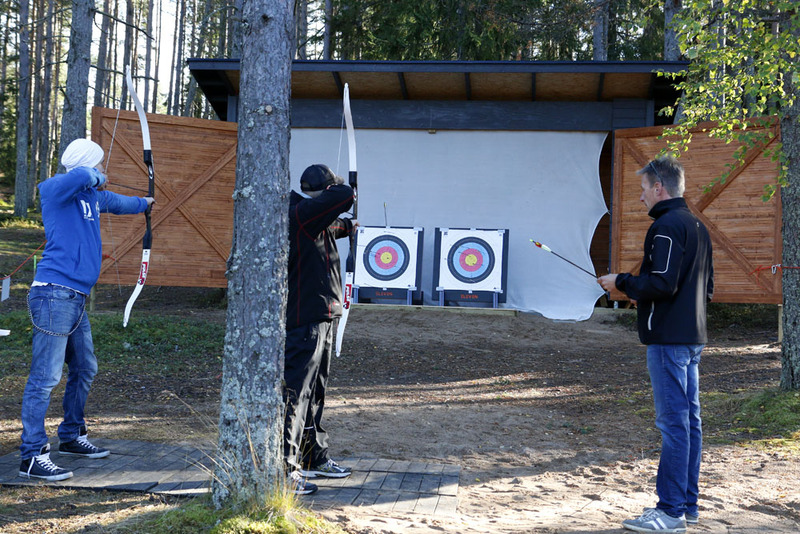 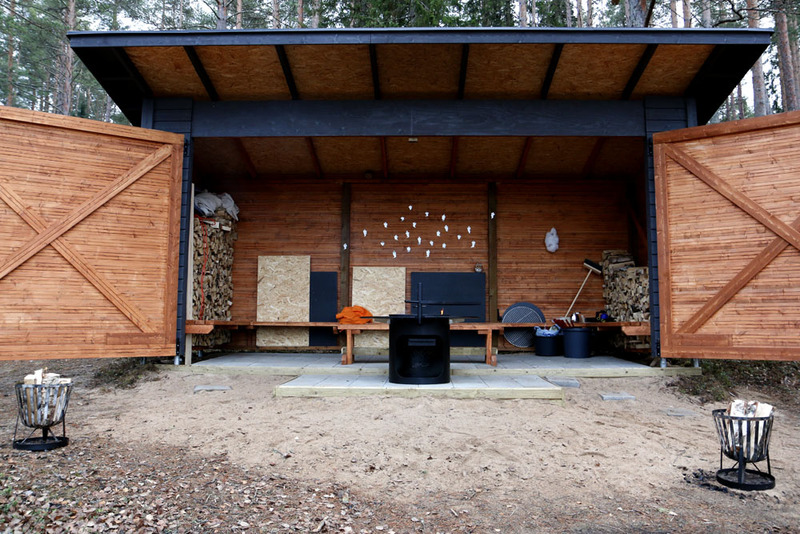 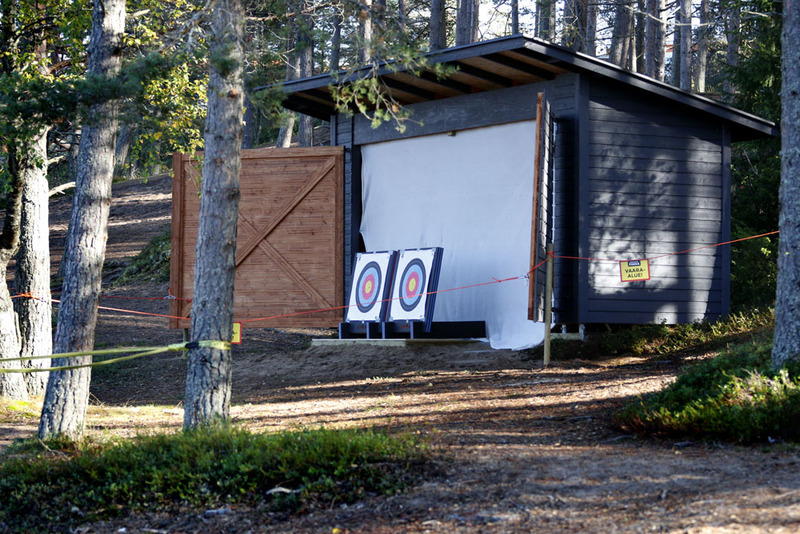 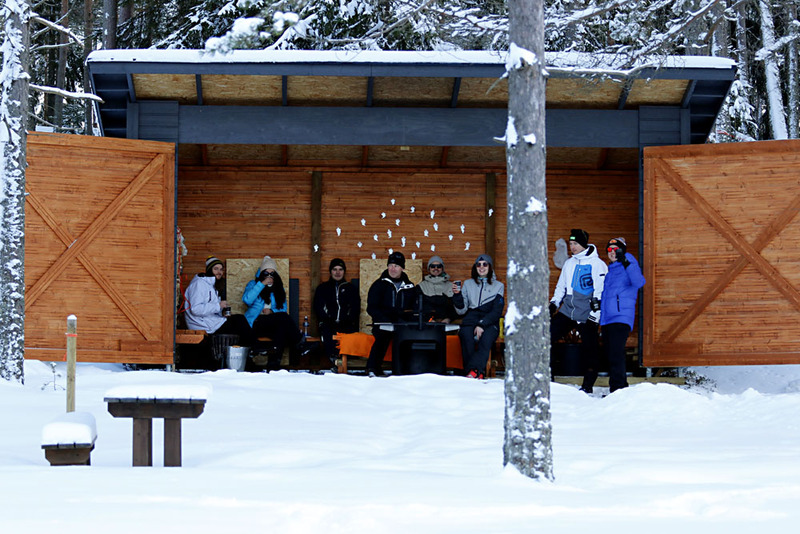 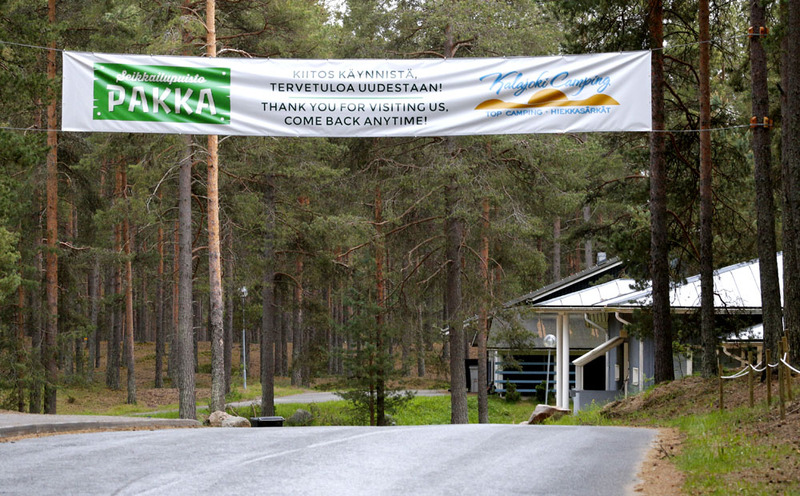 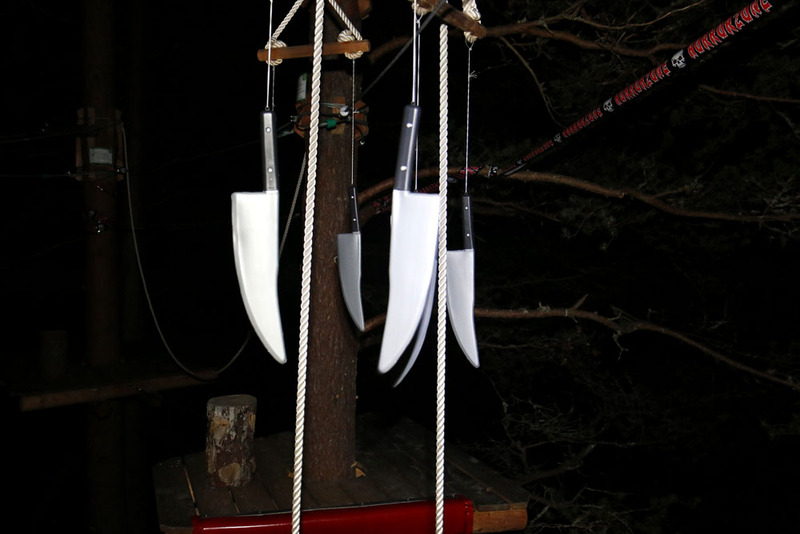 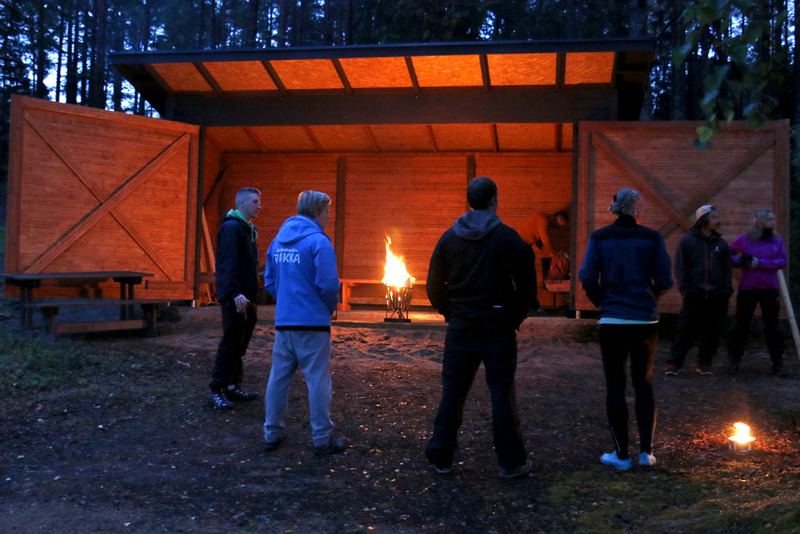 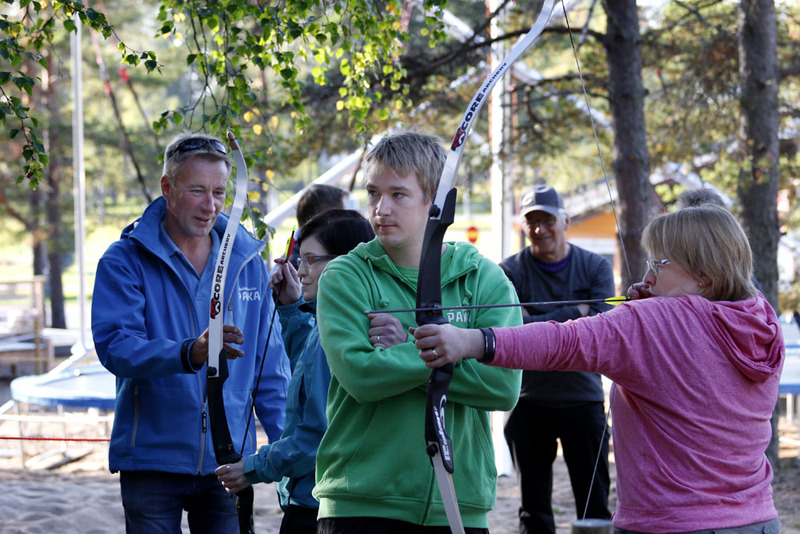 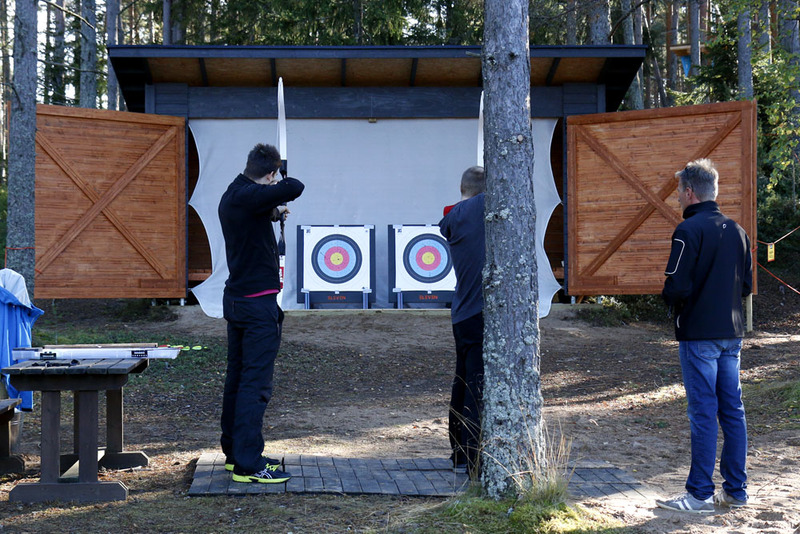 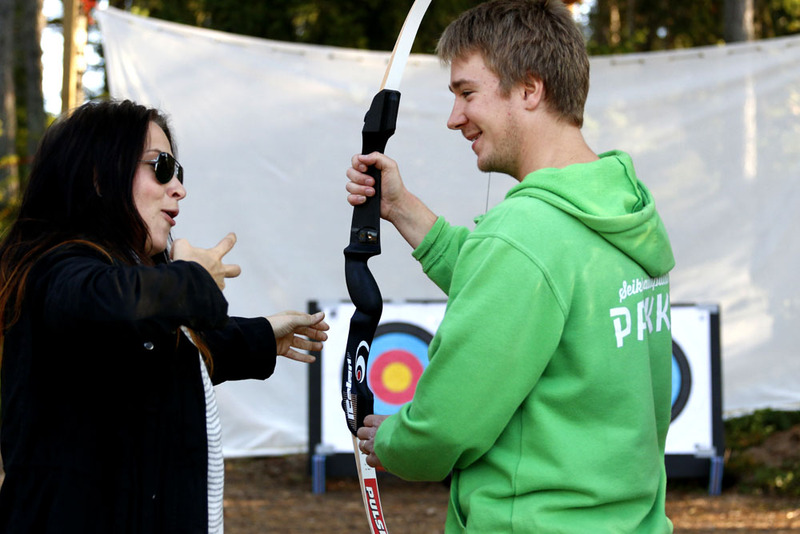 The Jousipakka Archery Centre serves as the venue for archery competitions by day and as an atmospheric lean-to shelter by night. 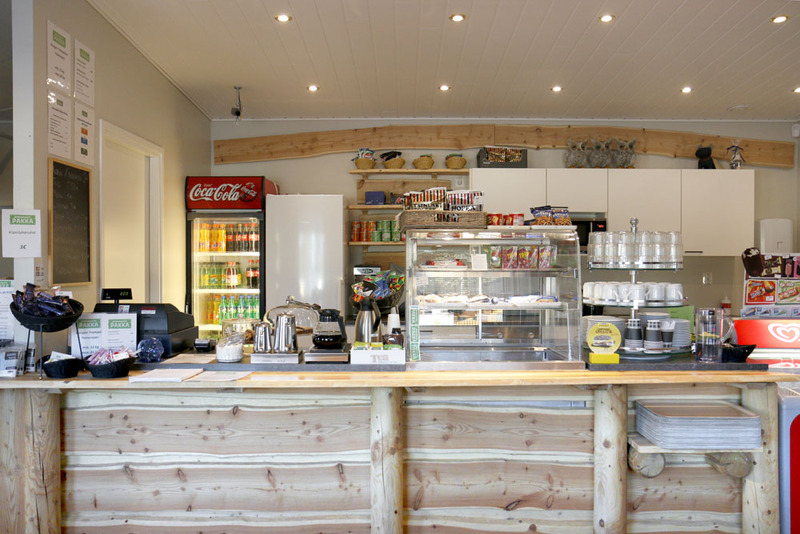 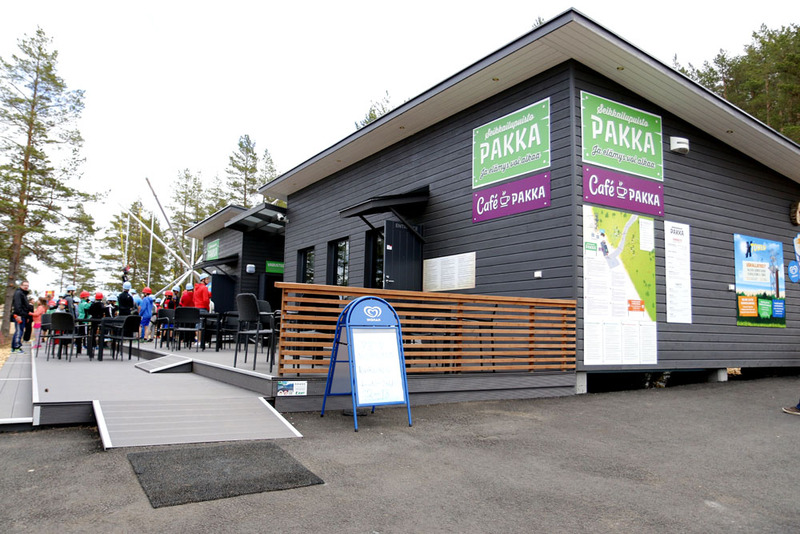 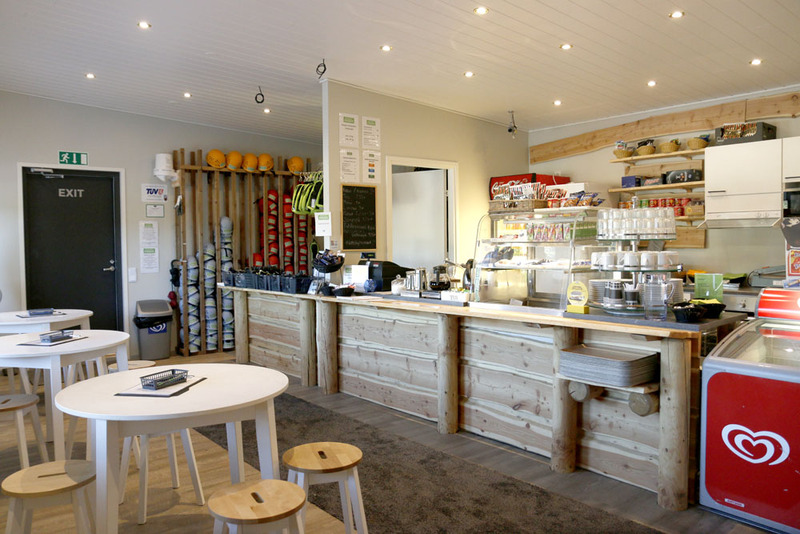 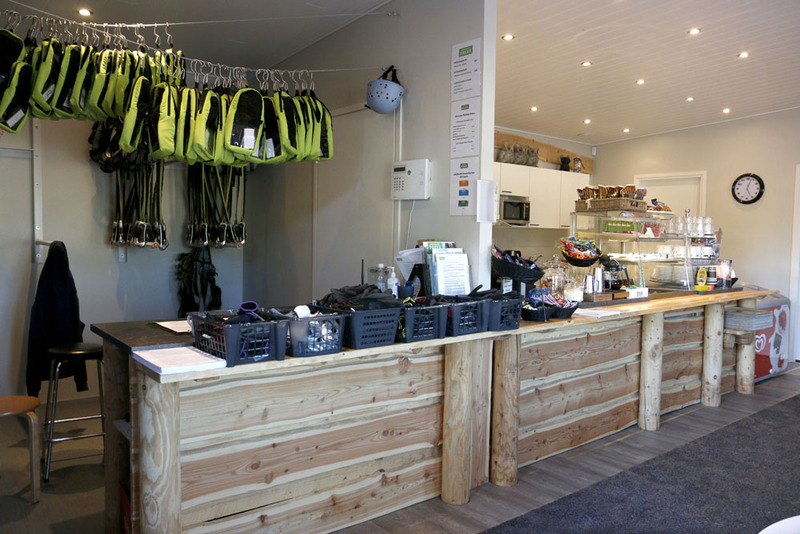 Cafe Pakka serves park visitors during the park’s opening hours. 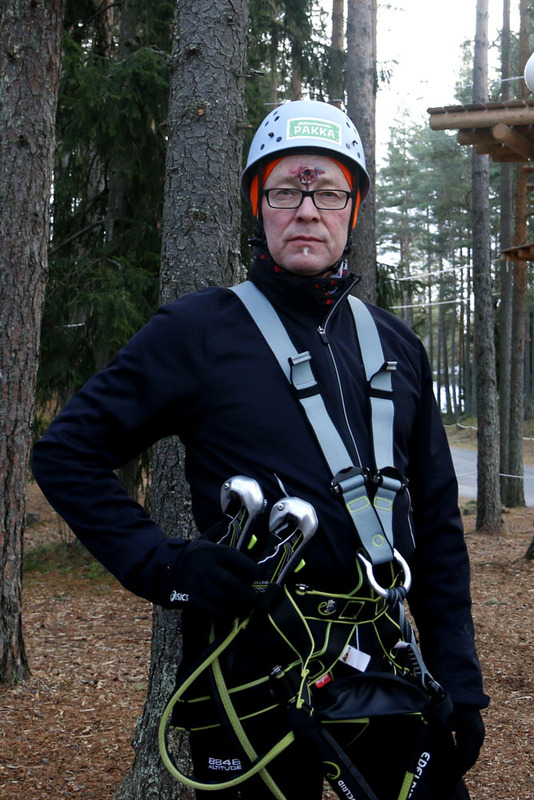 Adventures from the autumn of 2015. 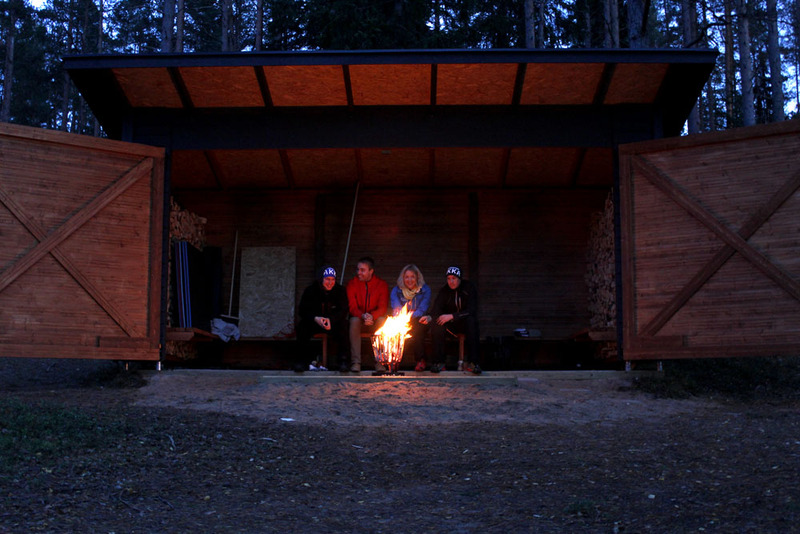 Midsummer adventures lasted long into the night. 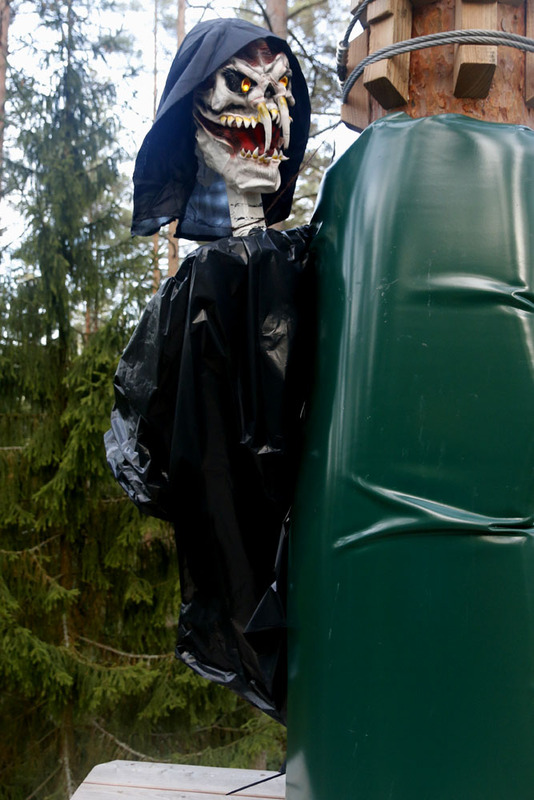 On Midsummer Day, the super popular pop star Robin visited the park to show off his adventuring skills. 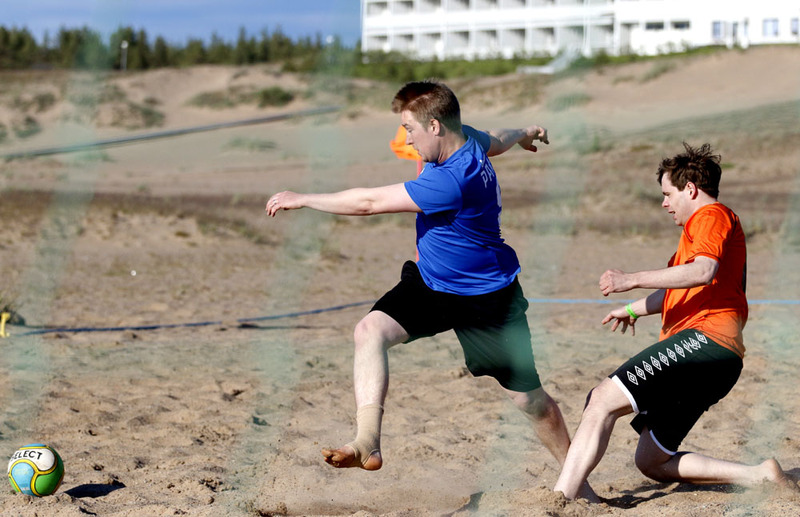 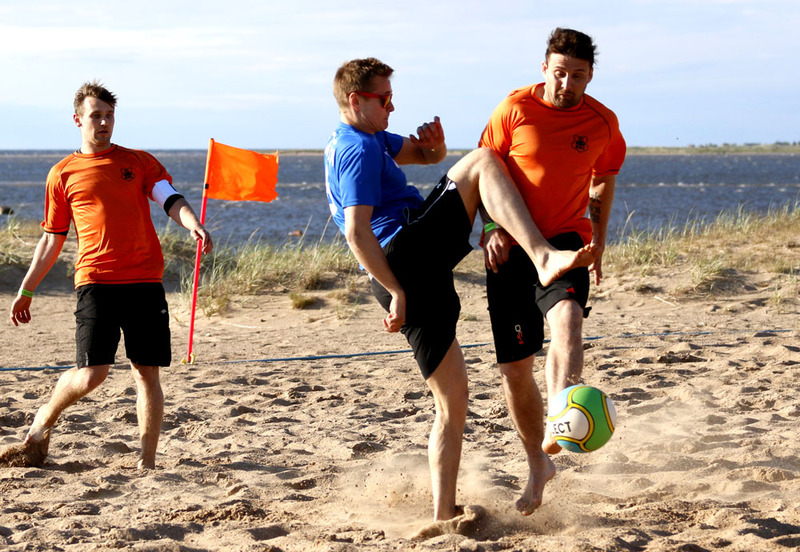 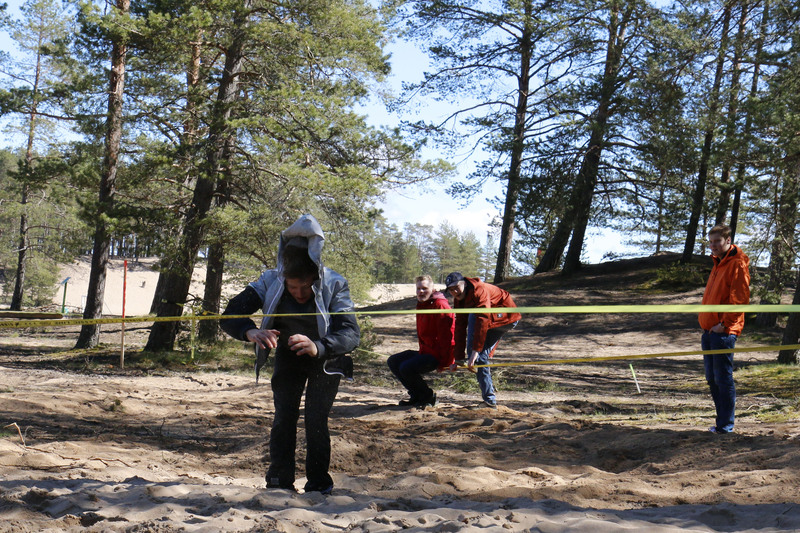 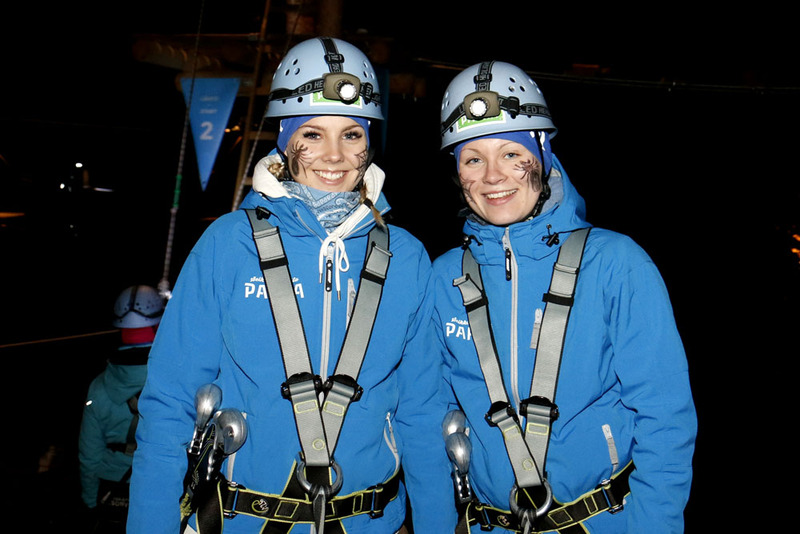 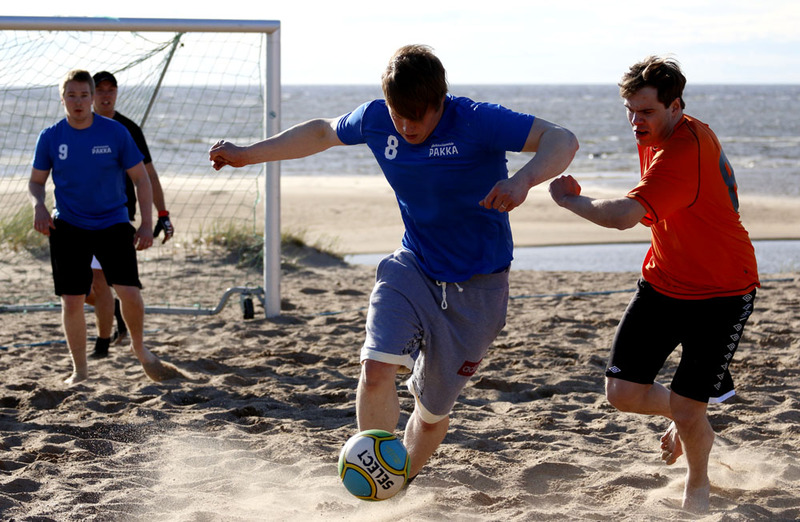 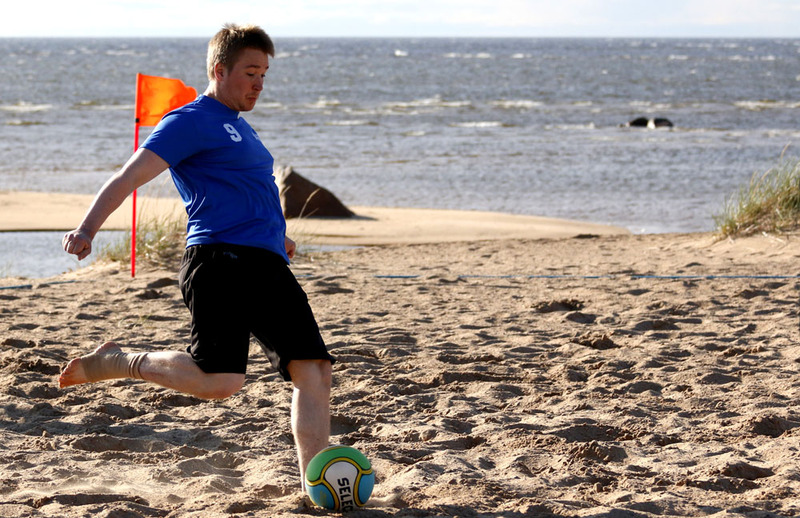 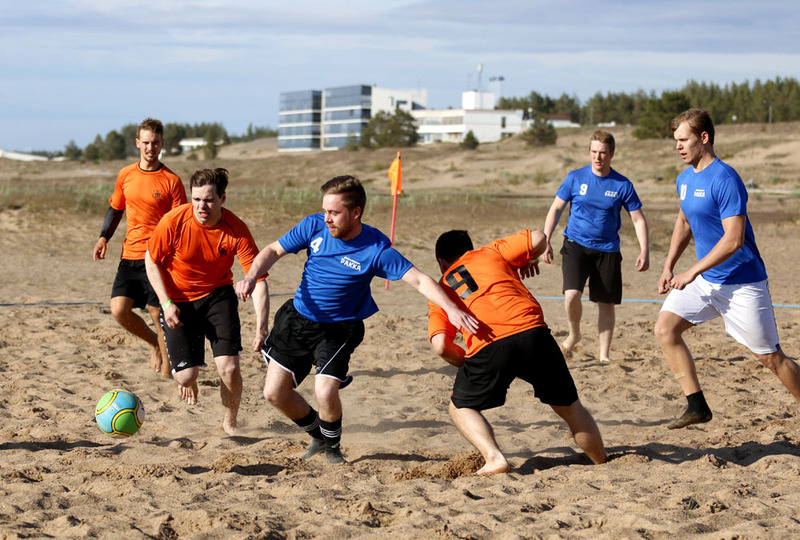 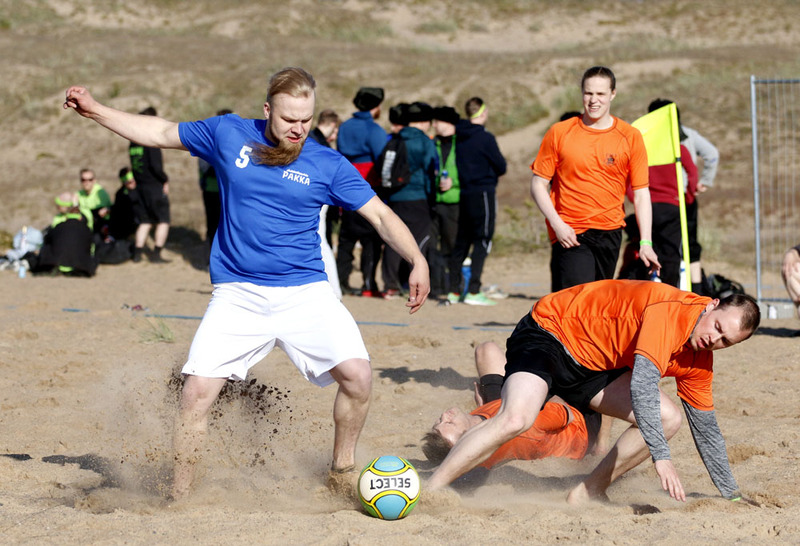 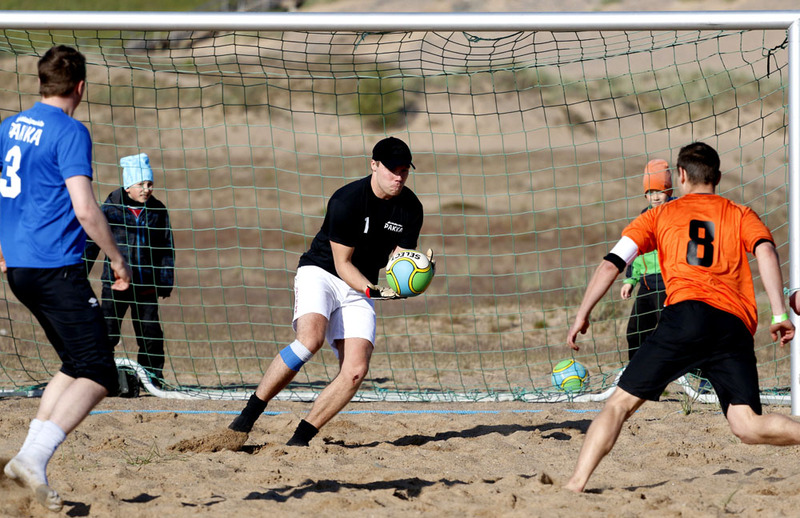 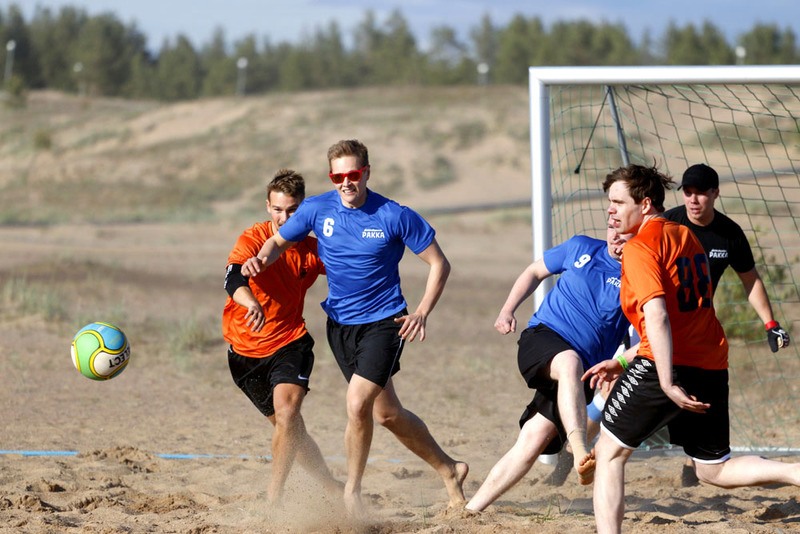 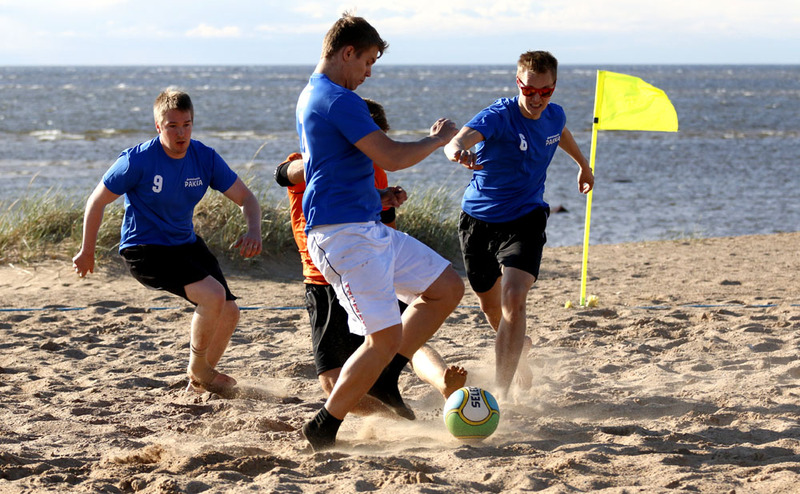 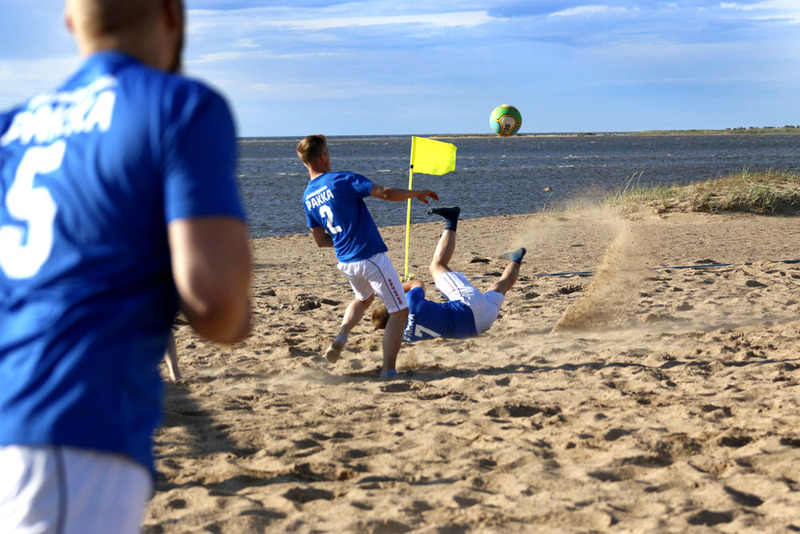 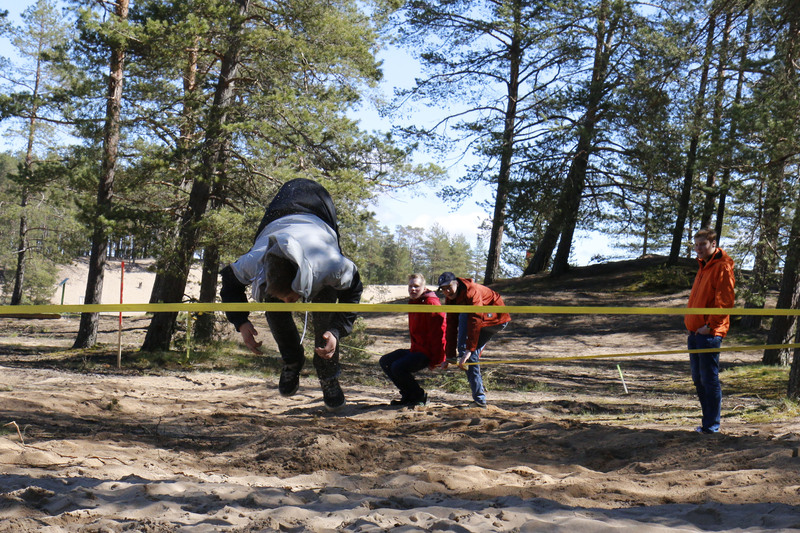 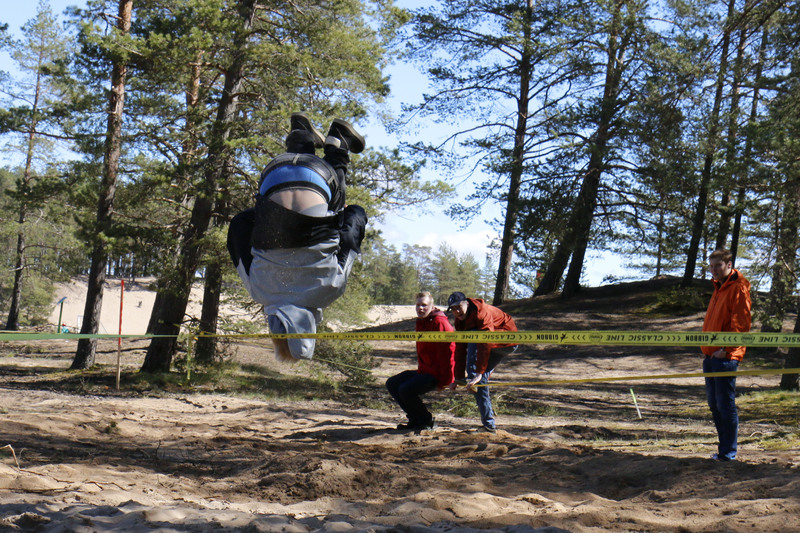 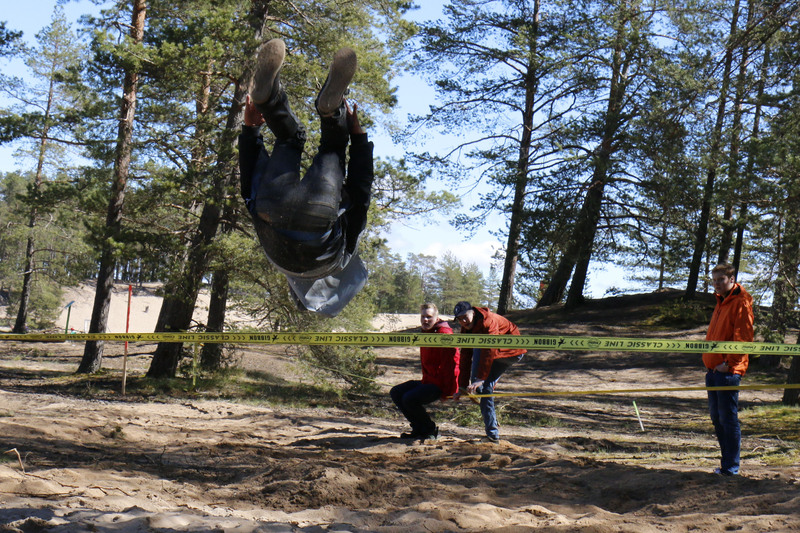 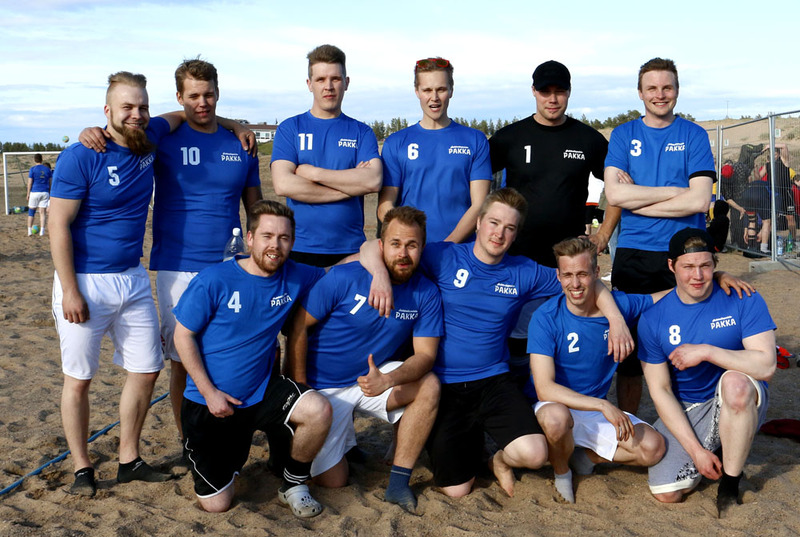 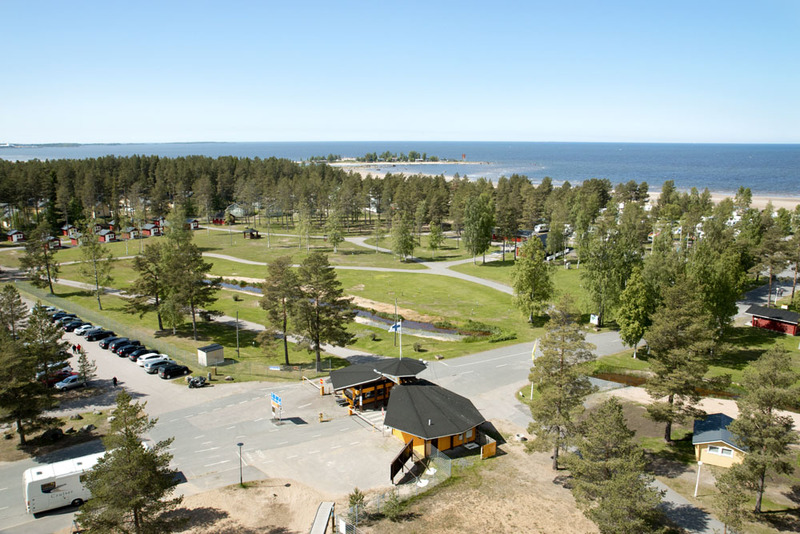 Team X Pakka represented the Adventure Park in the Kalajoki Beachfutis Open 2015 football tournament held in the Sand Dunes between 12 and 13 June. 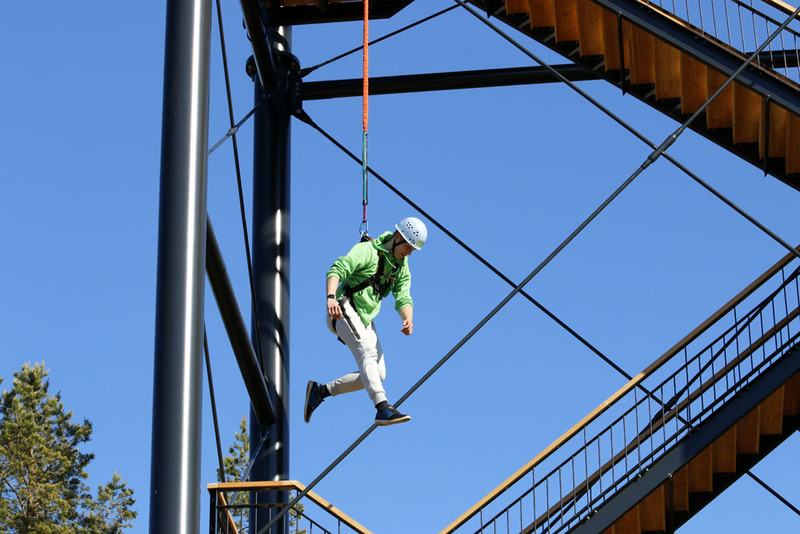 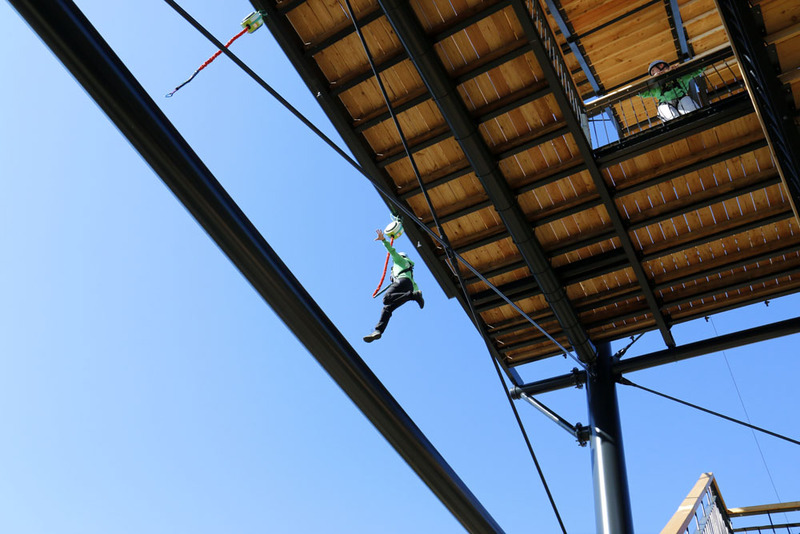 The official opening ceremonies of the Pakka Adventure Park on Saturday, June 6, were full of hustle and bustle. 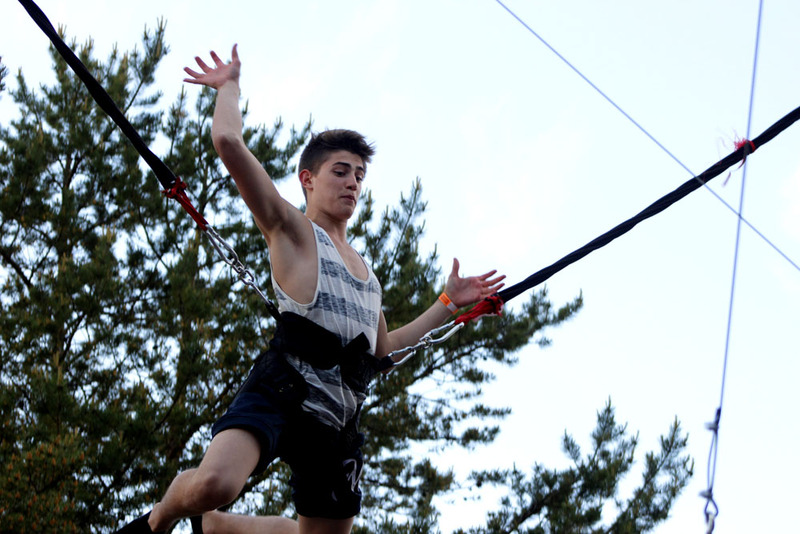 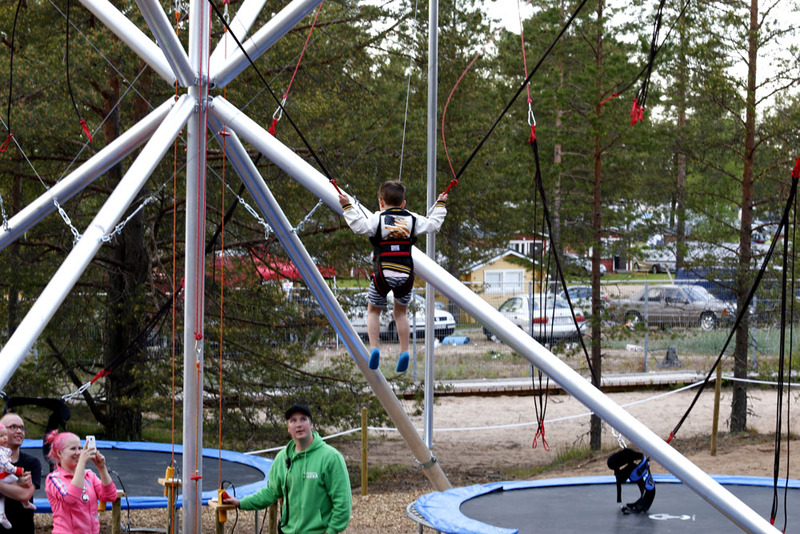 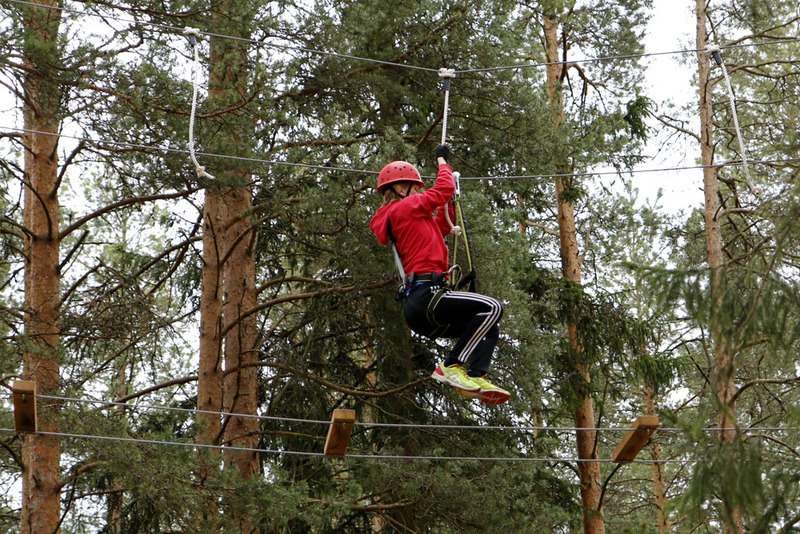 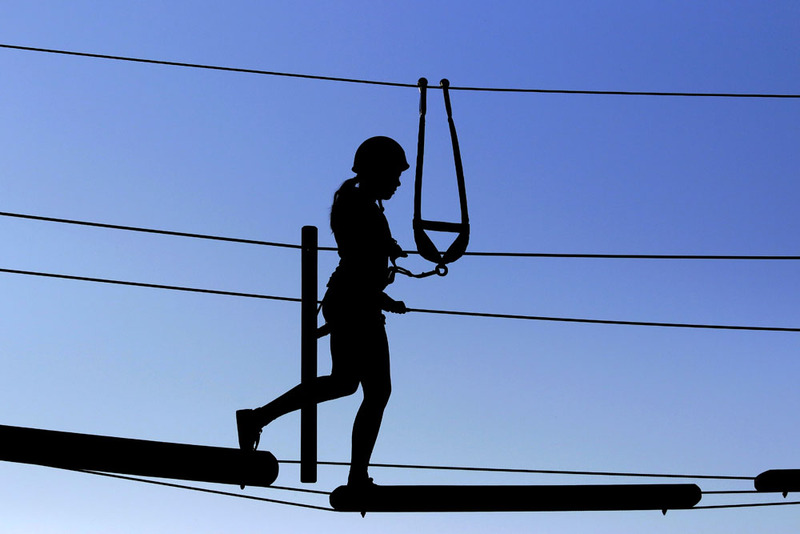 We also have a Bungee Trampoline at the Adventure Park!This trampoline allows you jump to heights of up to 8.5 metres, while wearing a safety harness of course. 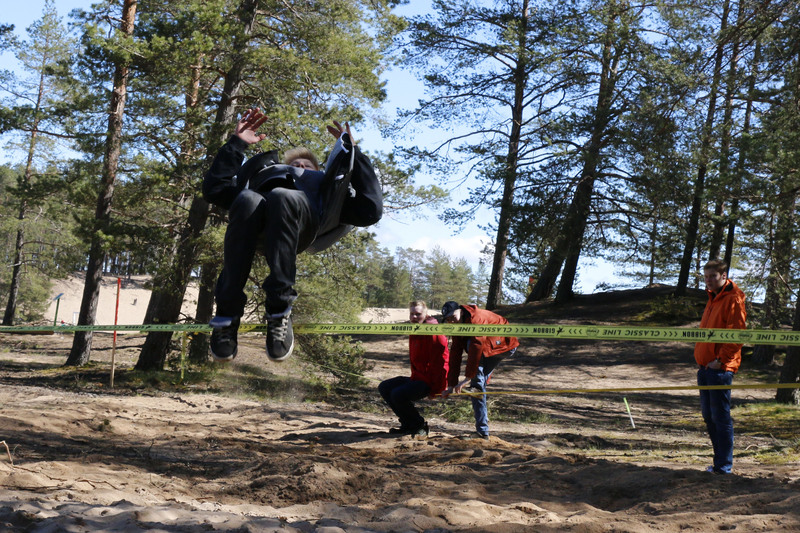 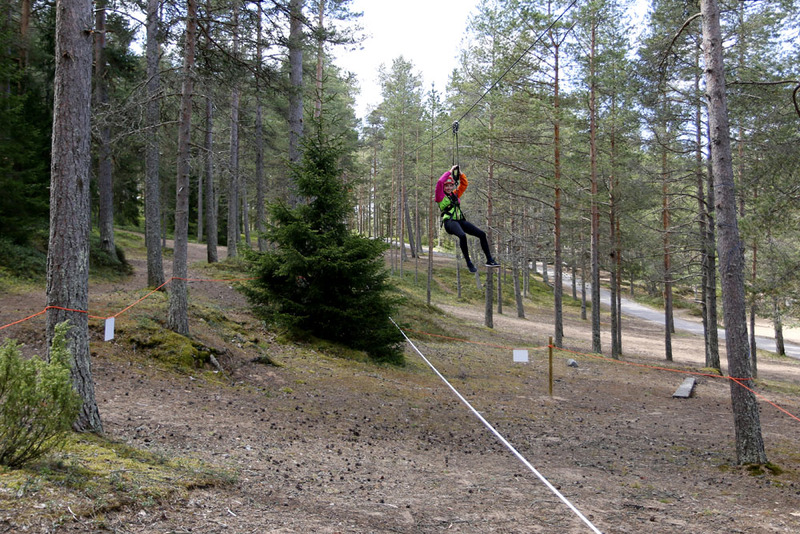 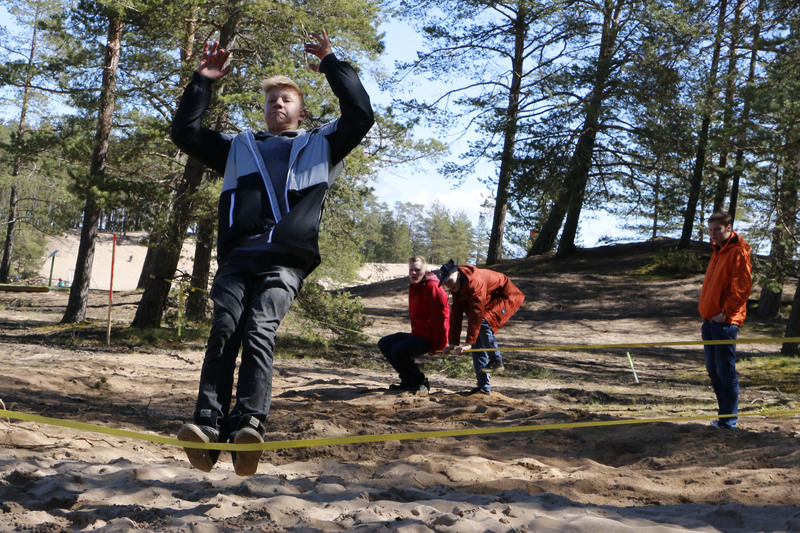 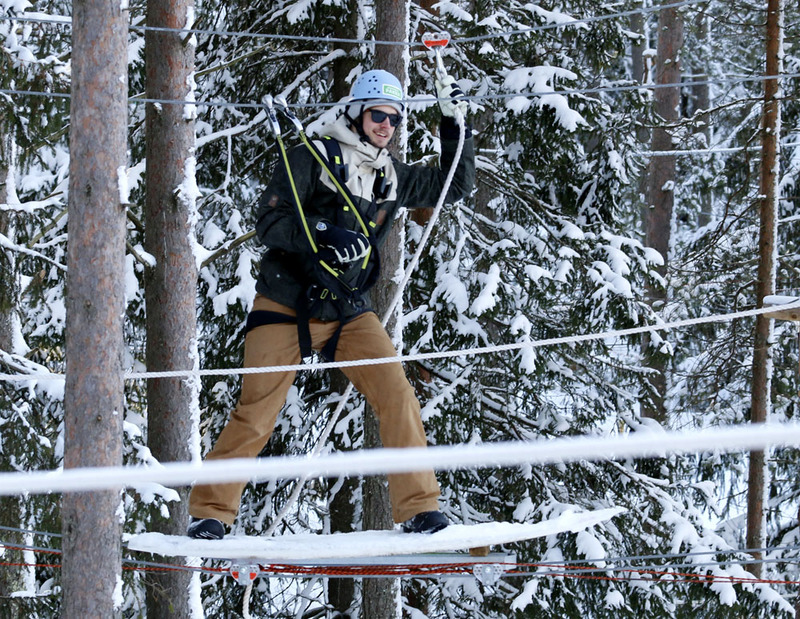 The Slackline puts your balance and ability to pull off tricks to the ultimate test.